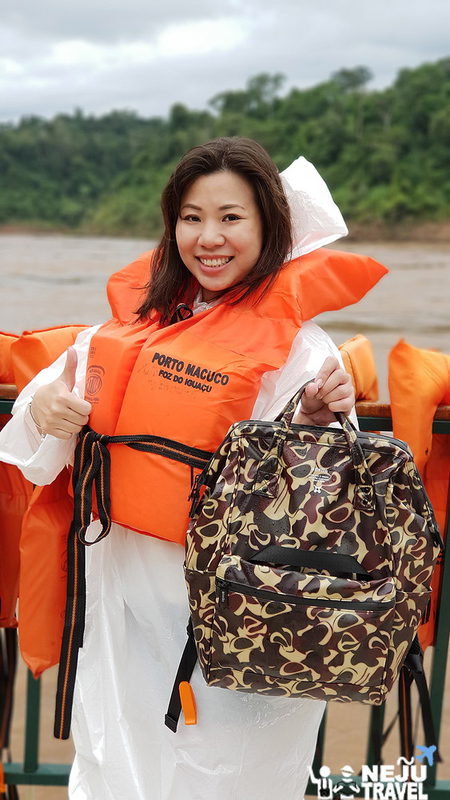 One thing that we concerned in this trip is the safety of our luggage and handbag that we use every day. Because many countries in South American are notorious in term of thief. 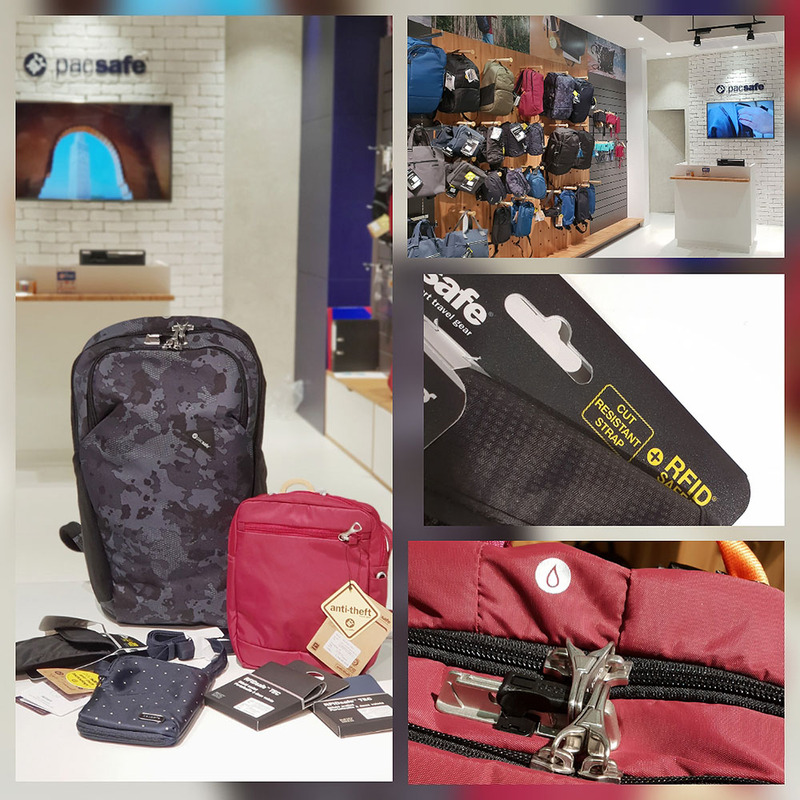 We chose bags from “Pacsafe” such as backpack, cross body bag, pocket light bag, wallet etc. Pacsafe bags are guaranteed that they are unable to be cut. The lock design is superb because you must do 5 steps to unlock. There is RFID space that helps you to prevent the electronic theft. Pacsafe bags are light and durable. For further information, please visit: -> Pacsafe. All countries we planned to visit (Brazil, Peru, Argentina, and Turkey) announced free visa for Thai tourists. But we must be injected yellow fever vaccine at least 10 days before travel. We can get the vaccine at the Faculty of Tropical Medicine Hospital for Tropical Dicsases, Mahidol University (BTS: Victory Monument station). Then we will get the International Certificate of Vaccination or Prophylaxis and must show it at the counter before immigration counter when we come back. You can book in advance in the website. -> Link pre-vaccination yellow fever. 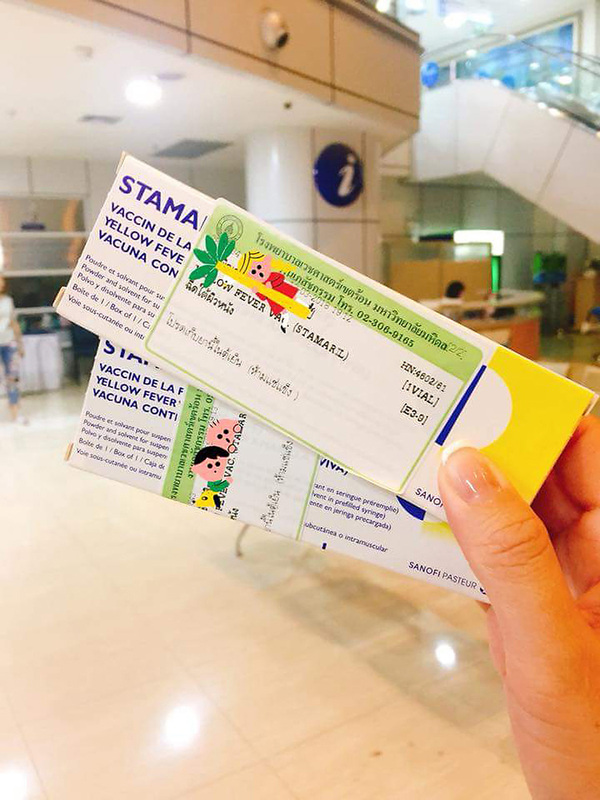 Do not forget to bring a copy of your passport when you go the hospital. You need to get this vaccine only once in a lifetime. You can either get the vaccine at Queen Saovabha Memorial Institute or other general hospitals. 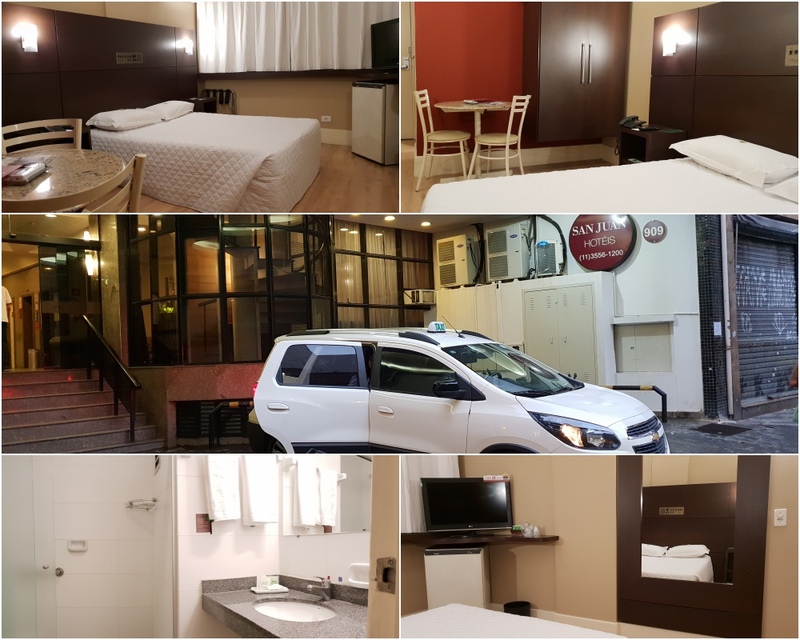 Advance booking for the accommodation is very important because we can easily plan trip in each day and no need to take risk of random find the hotels in some risky areas. 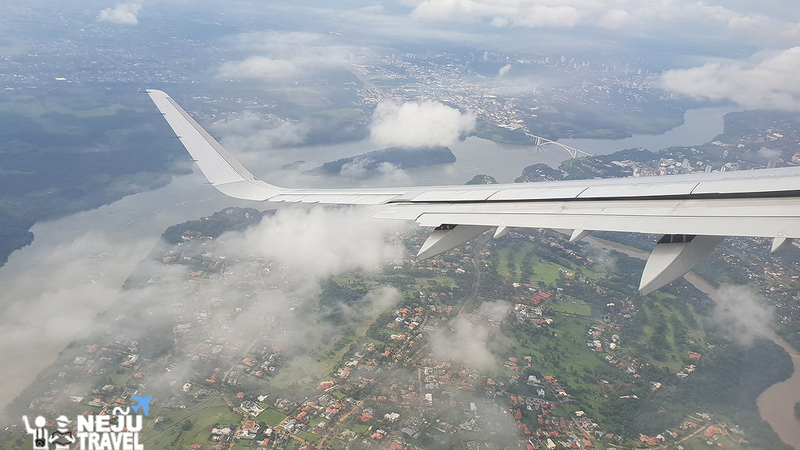 This time we chose to use service of Traveloka which we can book flights, hotel, flight + hotel, and airport transfer. You can choose to book via Traveloka website or Traveloka mobile application that is very convenient. 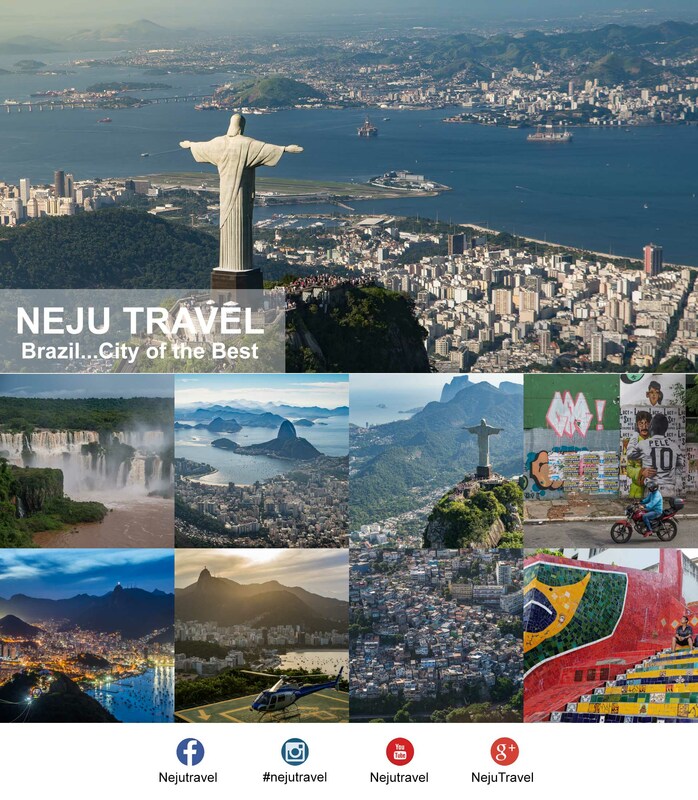 All our travels in South America, we booked through Traveloka only. That’s mean it has service in many countries around the world. 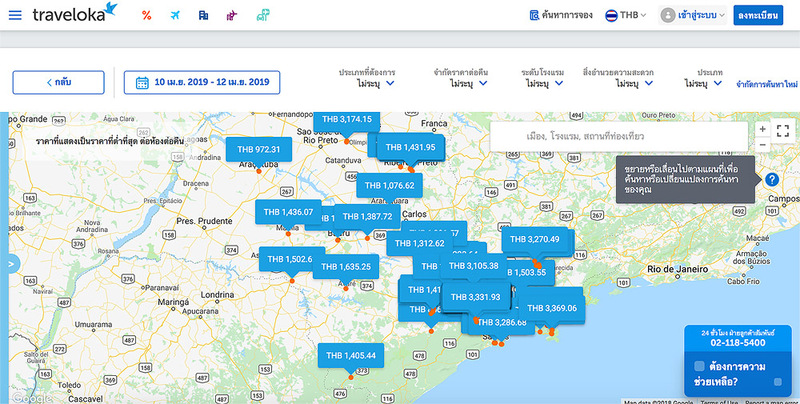 Before blaming me that I overstated that Traveloka offer services in many countries around the world, let’s see the example of the hotel I chose and booked (details of each accommodation will be shown at the end of this review). Start by entering the name of the town you will go. If you have the name of the hotel in your mind, you can specify. Then select the date(s) of your stay and press Search button. 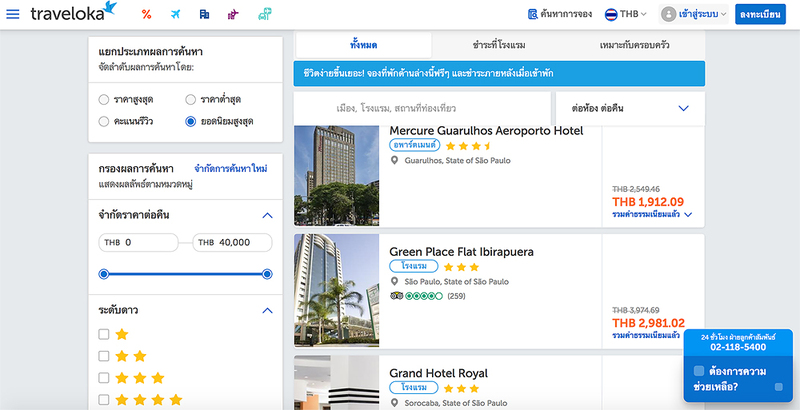 After that, there will be the lists of the hotels that you can filter out what grade that you want or click Map to see whether the hotel is near the train station or not. 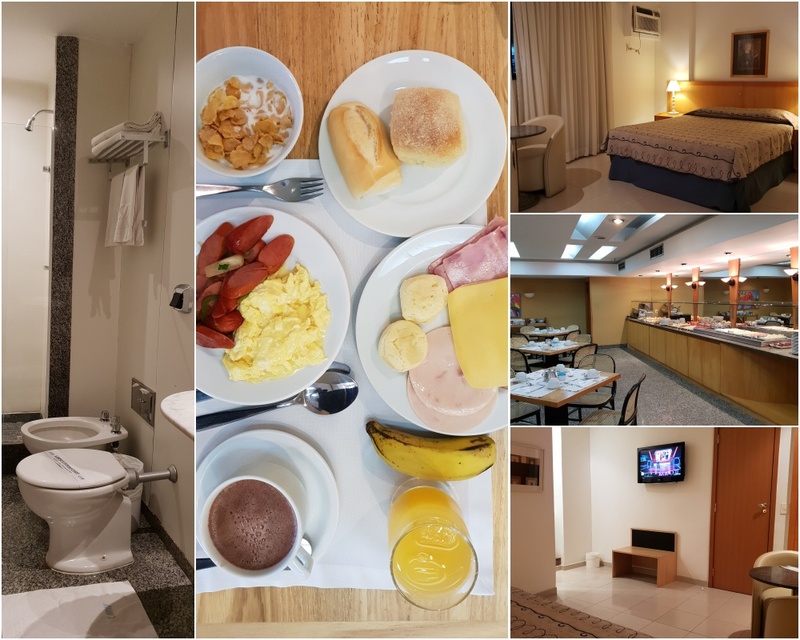 At Sao Paulo, we stayed at San Juan Business Sao Paulo which cost around 1,9xx THB (include breakfast for 2 persons) Link to reserve hotel in Sao Paulo. 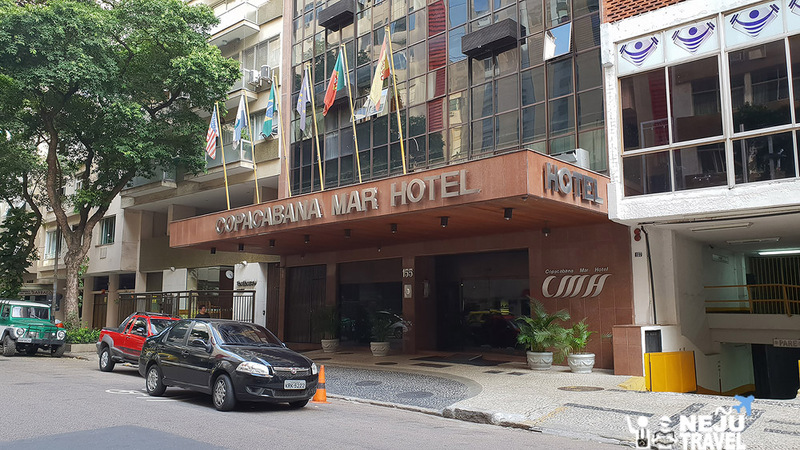 At Rio de Janeiro, we stayed at Copacabana Mar Hotel which cost 2,6xx THB (include breakfast for 2 persons) Link to reserve hotel in Rio de Janeiro. When you already selected the hotel, you can select the room type and other details. If everything is ok, you can reserve immediately then you will get booking number via your mobile. That is very convenient way. 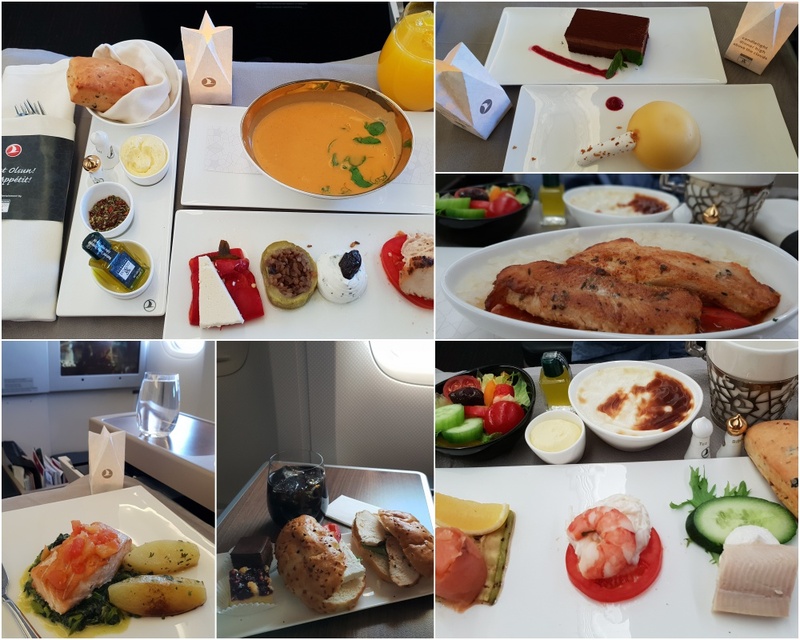 This time we have a chance to travel in the business class of Turkish Airlines, a European airline that has been awarded the Best Airline in Europe for six consecutive years and guaranteed good quality at all levels by Skytrax. So, no need to worry about the quality and service. After checked in at the counter at the airport, we relaxed at the Lounge before departing. The model of the airplane is A330-300. The seats of business class is 2-2-2 with totally 28 seats. After we seated, the flight attendant came with welcome drinks and introduce herself to us. 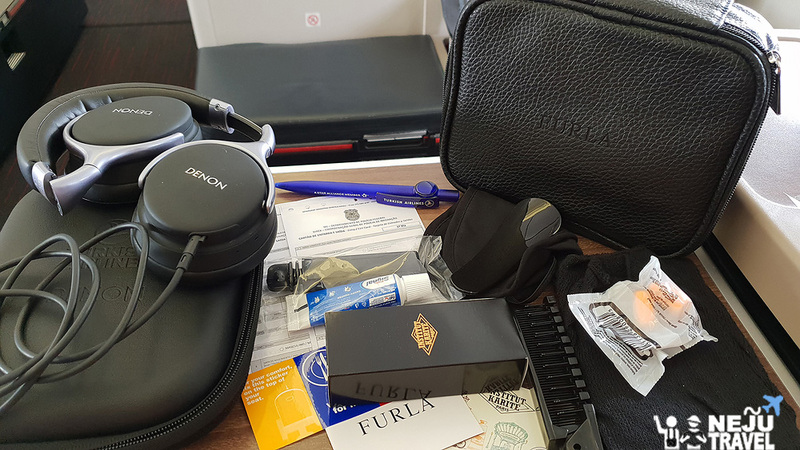 Then they serve the newspaper, amenities bag of the Bentley brand, and Denon headphones which the quality of the sound quality as good as in the cinema. But this headset must be returned to the staff before landed. They also gave us the menu. There are both alcohol and non-alcohol beverages that we can request throughout the flight. 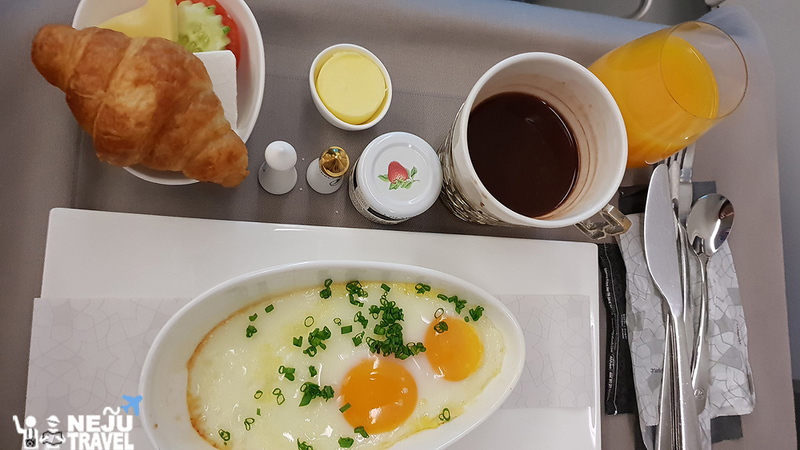 After takeoff for a while, they serve snack i.e. various nuts and drinks that we selected. Followed by the first meal that we chose including Creamy Mushroom Soup / Grilled Prawns and Pomelo Coconut Salad / Grilled Chicken Breast / Linguine with Parmesan Tomato Sauce. End up with the dessert that served in the cart. We can select as much as we want. 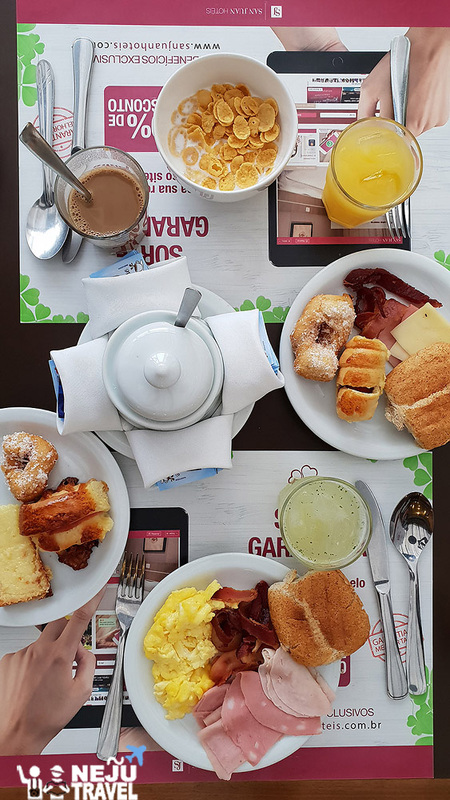 Another meal is a light breakfast that are omelet / fried egg served with bread. 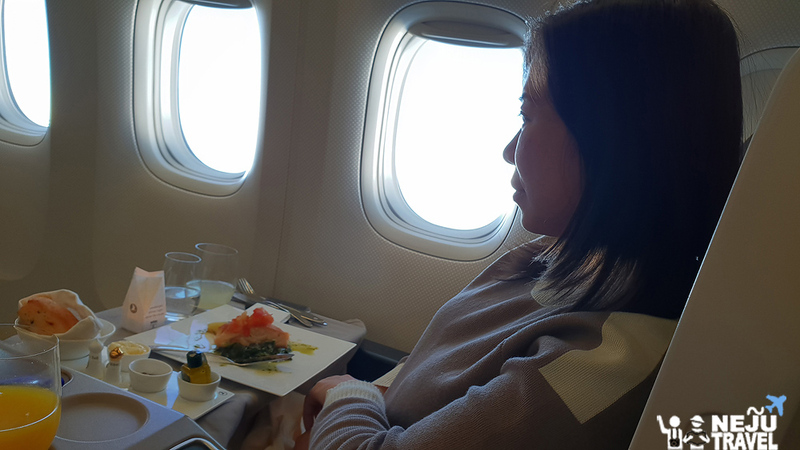 Food is very delicious because there is Flying Chef cooked for us on the airplane. Thus, food is fresh every day. 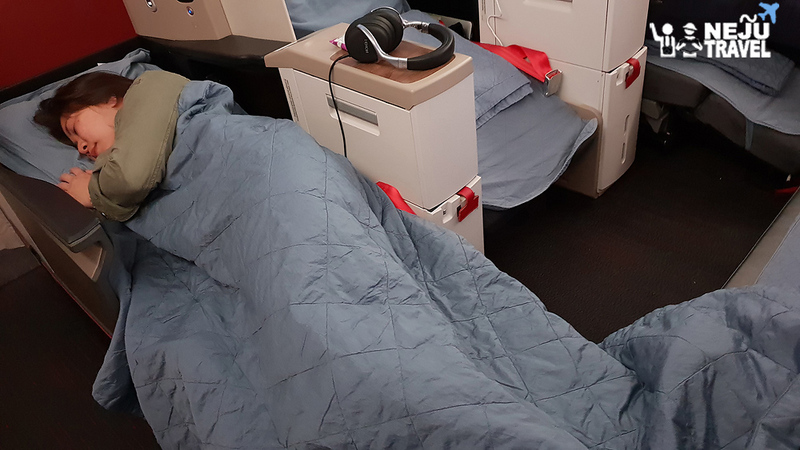 When we already full, flight attendant will come the set the bed for us and give pillow and blanket. All staffs are very nice and smiley. 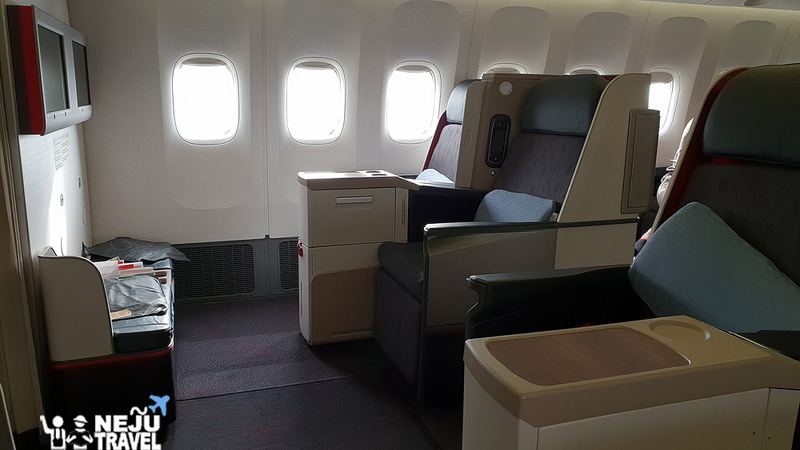 The seat can be adjusted for 180 degrees and has massage function that is very good choice for a long flight. There is a large personal screen. 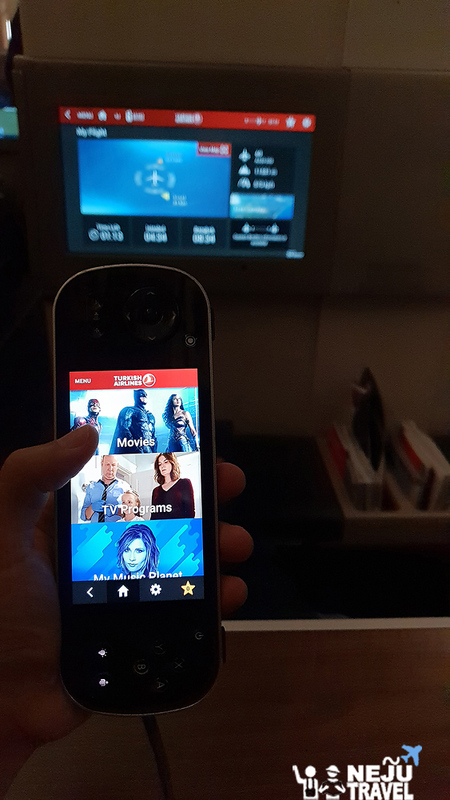 The remote is touch screen and very easy to use. 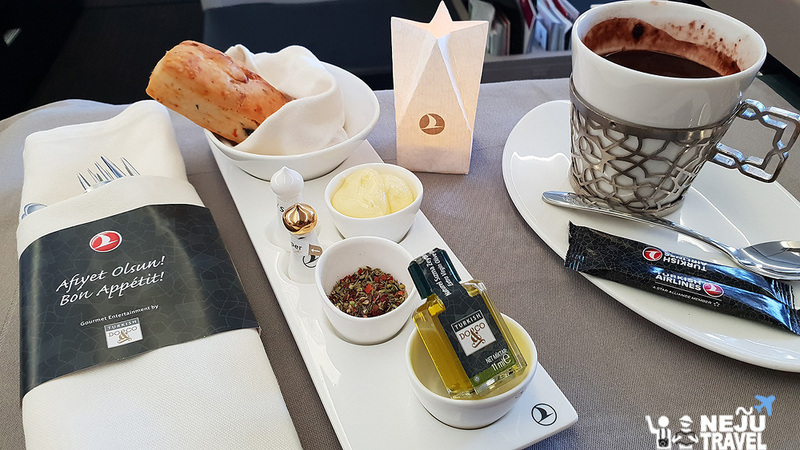 Snacks and drinks are served throughout the flight. There are a lot of new movies and games. 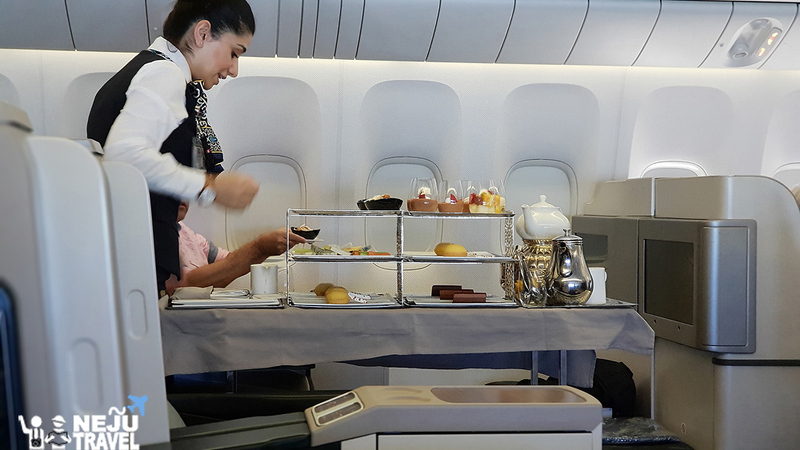 There is unlimited free Wi-Fi for business class passengers. 10-Hour flies so fast. We realize again when the captain announced that we are reaching Istanbul O_0. We waited for 4 hours during the transit, so we went to take a rest at CIP Lounge. This huge lounge is awarded as the best lounge in the world. (the details of the lounge will be described in the part when we come back). 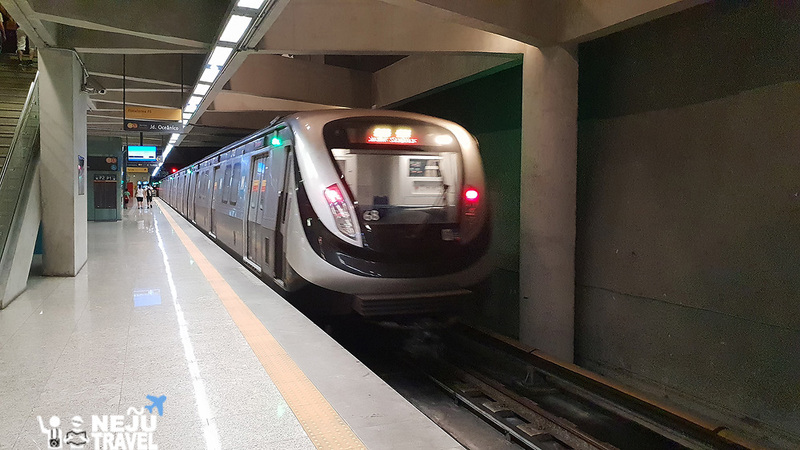 Travelling from Istanbul to Sao Paulo (Brazil) takes 13 hours. Our airplane is Boeing 777-300 ER. The business class seat is 2-3-2 with total 7 rows. 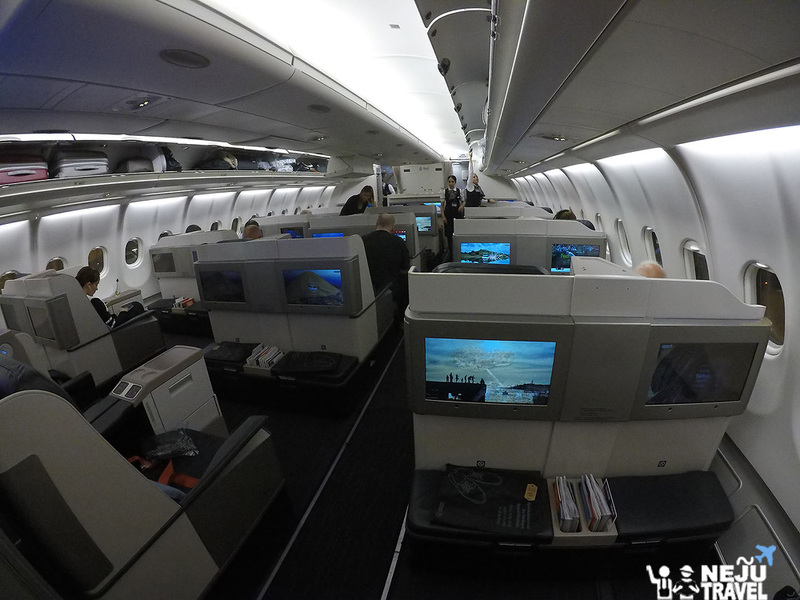 The seat is a big larger than the seat of A330-300 that we used in the first flight. The footrest is a built-in storage compartment that can keep shoes, bags, etc. inside. The amenities bag is Furla leather bag that is very soft. 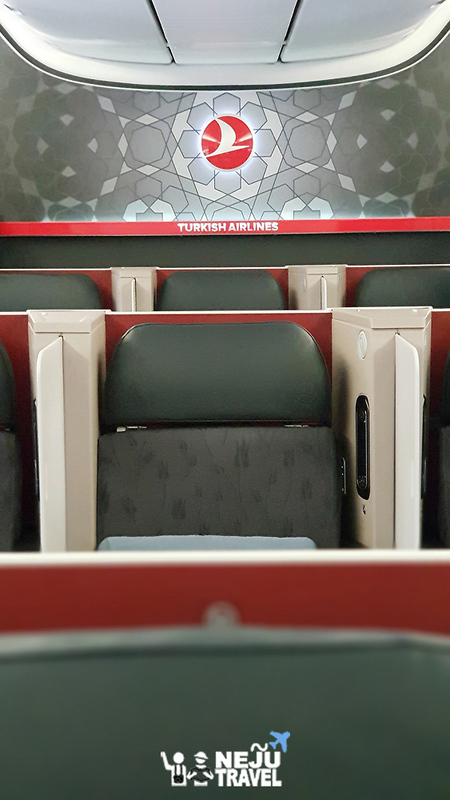 Other services are compliant with Turkish Airlines’ standards. 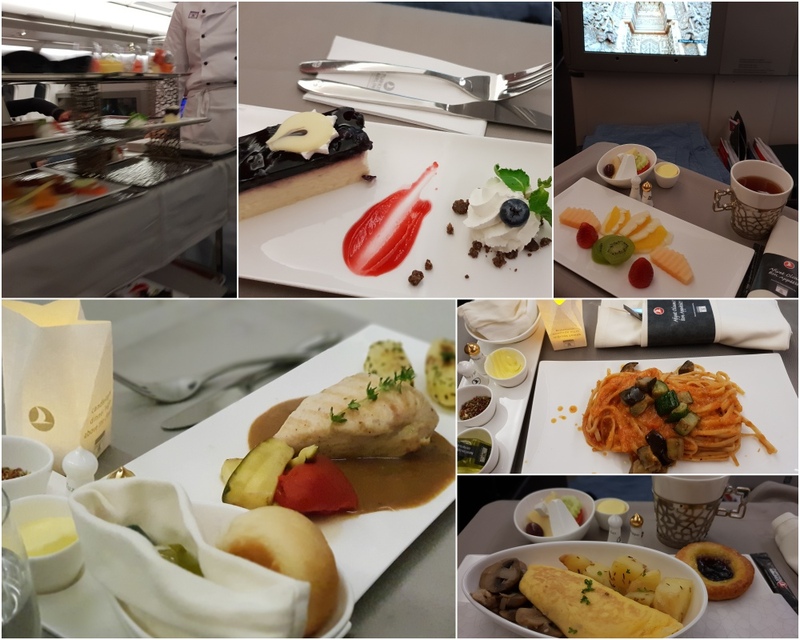 In this flight, there are 2 meals served. 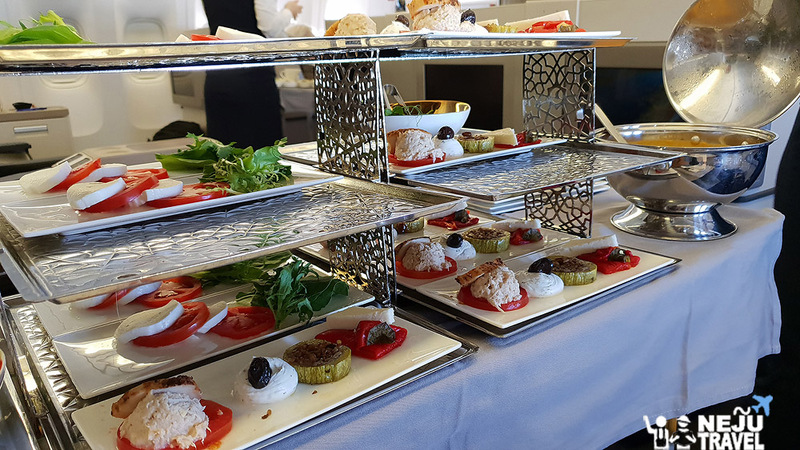 Our first meal is Sweet Pumpkin Soup, Best of Turkish Meze Grilled Fillet of Salmon, Homemade Lemonade with Mint, Hot Chocolate, Double Chocolate Nougat, and Lemon Tart. 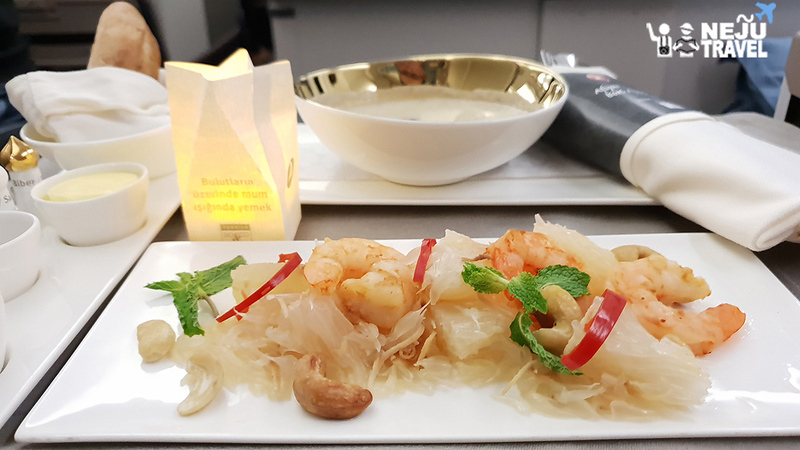 The second meal that served before landing is Potpourri of Seafood, Seasonal Garden-Fresh Salad, and Fresh Herbal Grilled Baby Chicken. We have a lot of time to play games, search information in the internet, sleep, and wake up to have some snacks. 13-Hour journey seems so long, but time has passed very quickly. 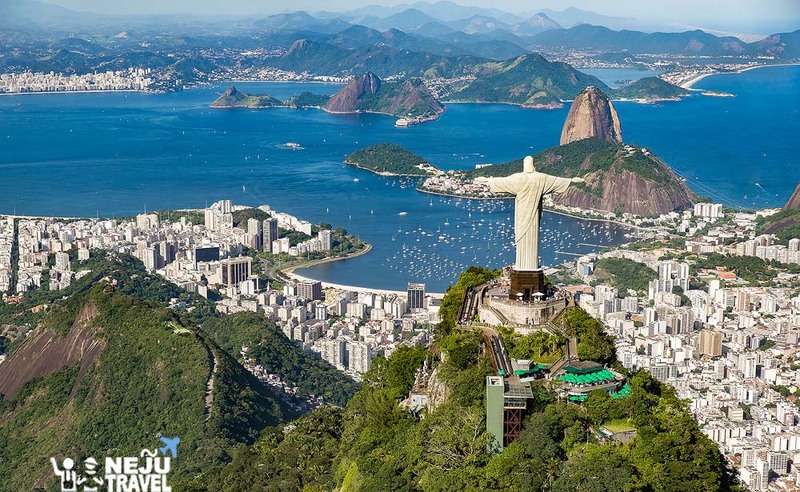 I heard the captain announced to prepare for landing that means we are reaching our dream destination…Brazil. Hello Samba! 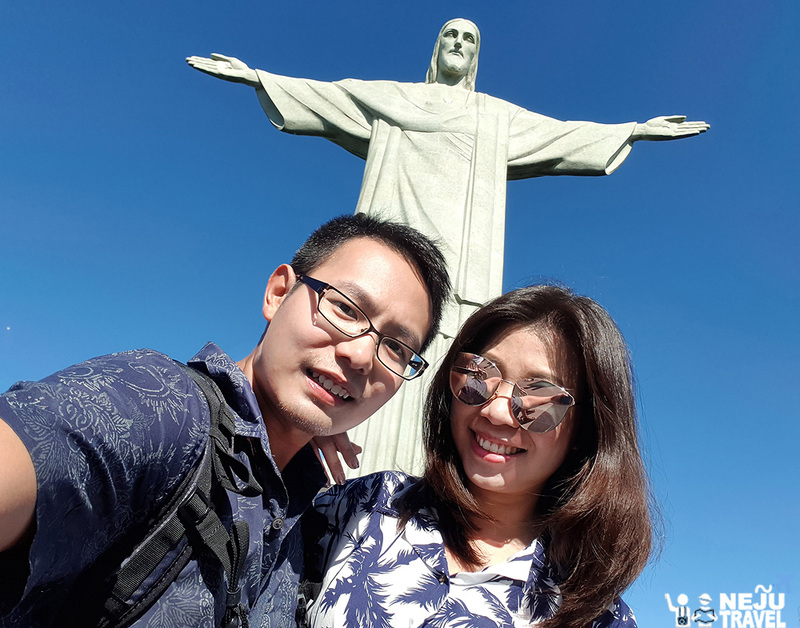 Thai tourists who visit Brazil not more than 90 days are not required to apply for visa and not too difficult to pass the immigration.!!! !!!Tips!!! We recommend to exchange money at the airport because money exchange in the city or at the hotel is quite difficult. You should find out the exchange counter in a small room with fence. 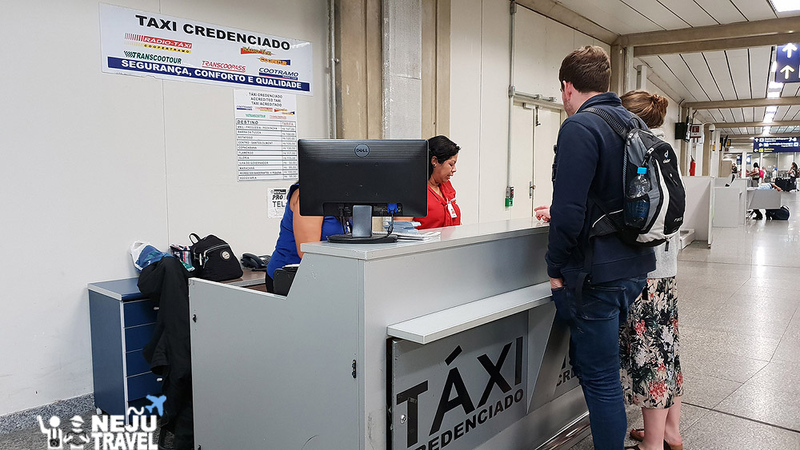 When compared with exchange at the airport, the rates do not differ too much. 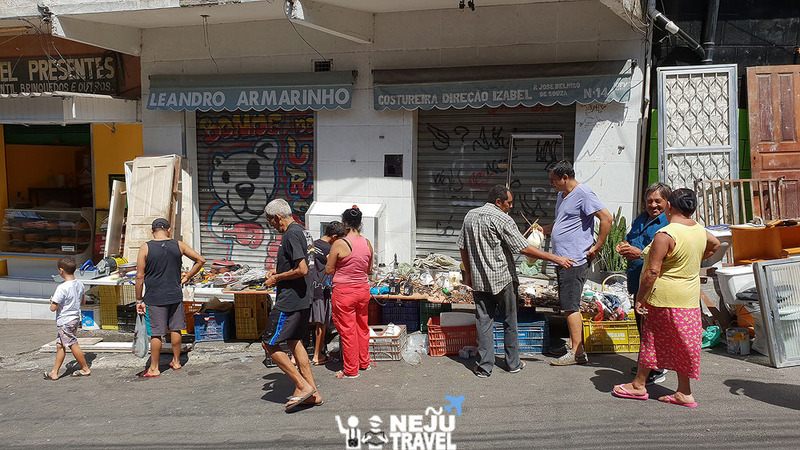 Another difficulty of money exchange here is the communication because most of the people in Brazil cannot speak English. 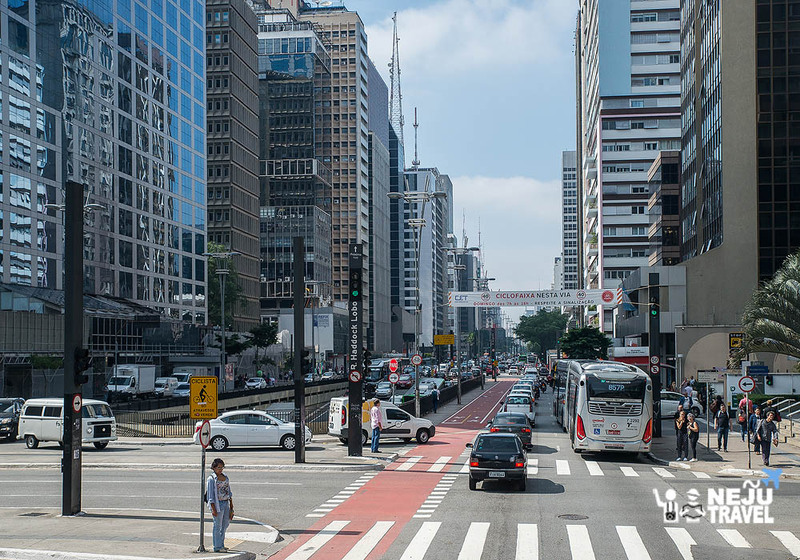 If you think to exchange at the bank, you will disappoint because the banks in Brazil will serve their customers only. Our accommodation is near Republic station. 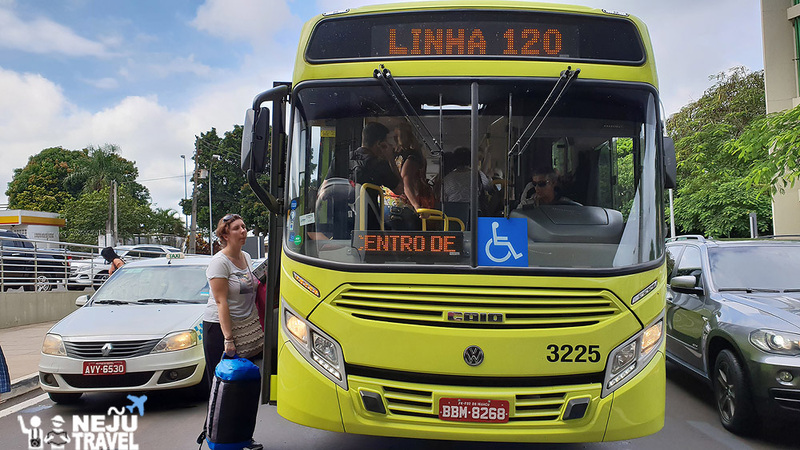 There are two ways to get here from the airport: Taking shuttle bus that costs 45 BRL (1 BRL is around 9 THB). 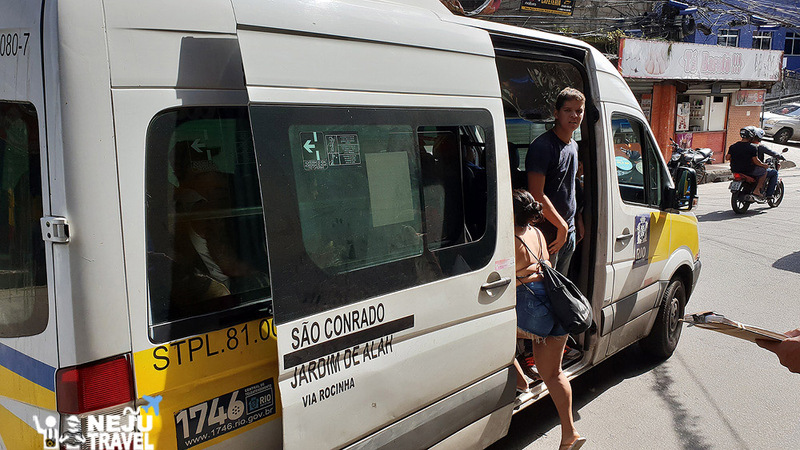 There is no shuttle bus when we arrived, so we have to take taxi that costs 129 BRL. 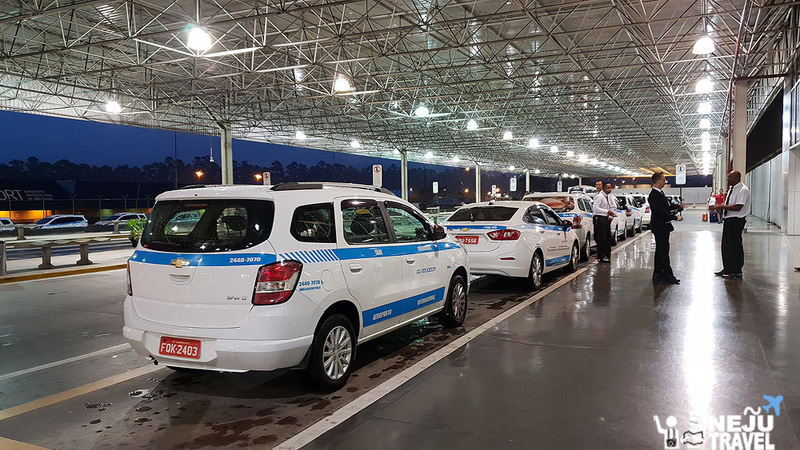 Both shuttle bus and taxi are able to found at Terminal 1. 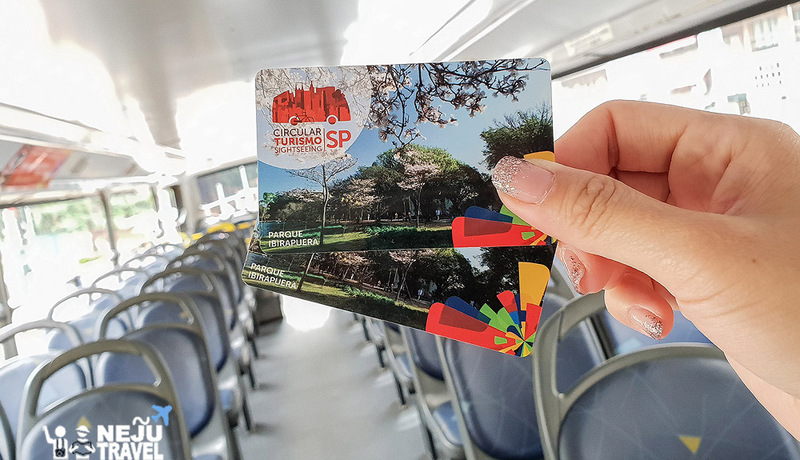 We started our trip in Sao Paulo by taking Circular Turismo Sightseeing Bus (SP) which is 2-storey Hop-On Hop-Off bus. The upper story is open air, so you can enjoy the view of the city. 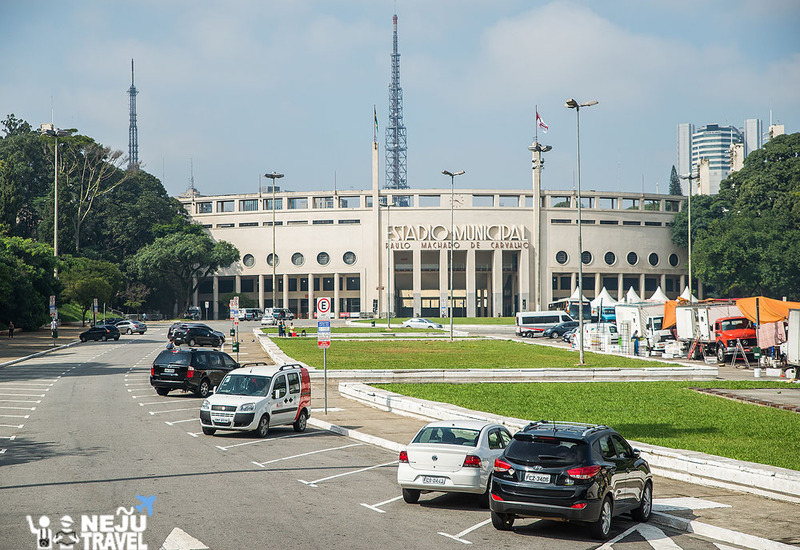 The nearest bus stop is at the Praça da República (República Square) near the Tourist Information. The ticket can be purchased on the car either by cash or credit cards. เวลาเดินรถ: วันจันทร์-ศุกร์ เวลา 9:00 น., 11:20 น. และ 14:10 น. / วันเสาร์ เวลา 8:00 น., 10:30 น. และ 13:30 น. / อาทิตย์และวันหยุด เวลา 10:00 น., 11:40 น., 13:20 น., 15.30 น. และ 17:10 น. 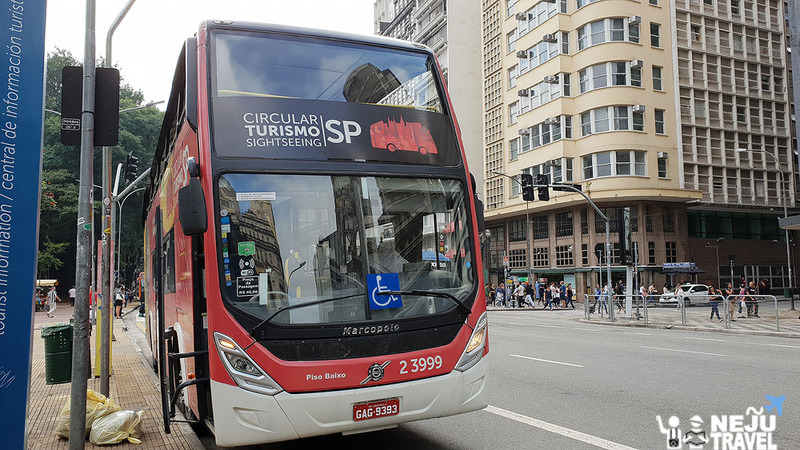 The bus takes about 3 hours to go around the city and stops at the main tourist points i.e. church, museum, park etc. Some places can be visited for free. The bus stops for 5 minutes at each place, so we can stop by to take some pictures. 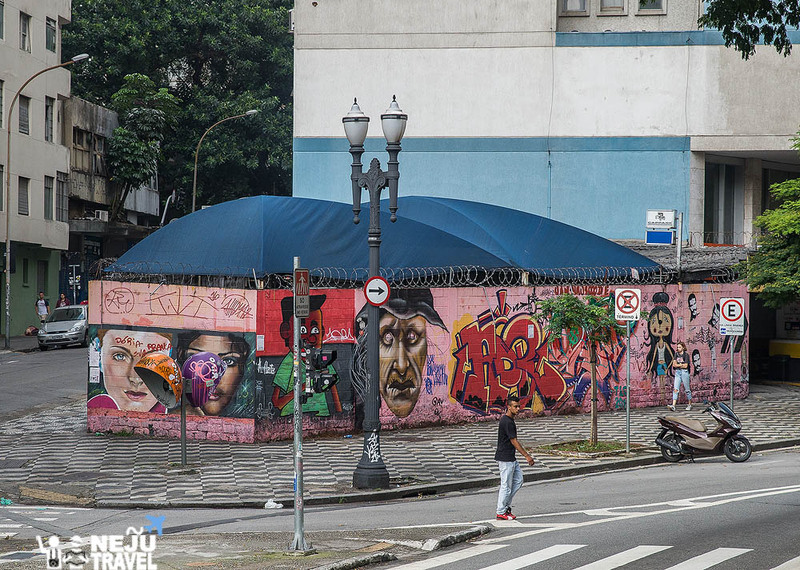 On the way, we saw many graffiti on the walls that reflect the love in the art of the people here. Bus schedule: Monday – Friday 9 a.m., 11.20 a.m. and 2.10 p.m. / Saturday 8 a.m., 10.30 a.m. and 1.30 p.m. / Sunday and Holidays 10 a.m., 11.40 a.m., 1.20 p.m., 3.30 p.m., and 5.10 p.m. 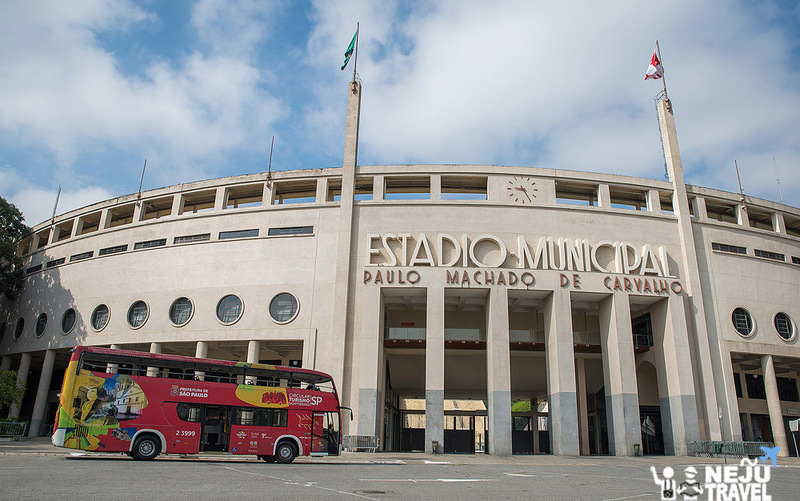 The first place we stopped to take photo is at Pacaembu Stadium but we did not go inside. 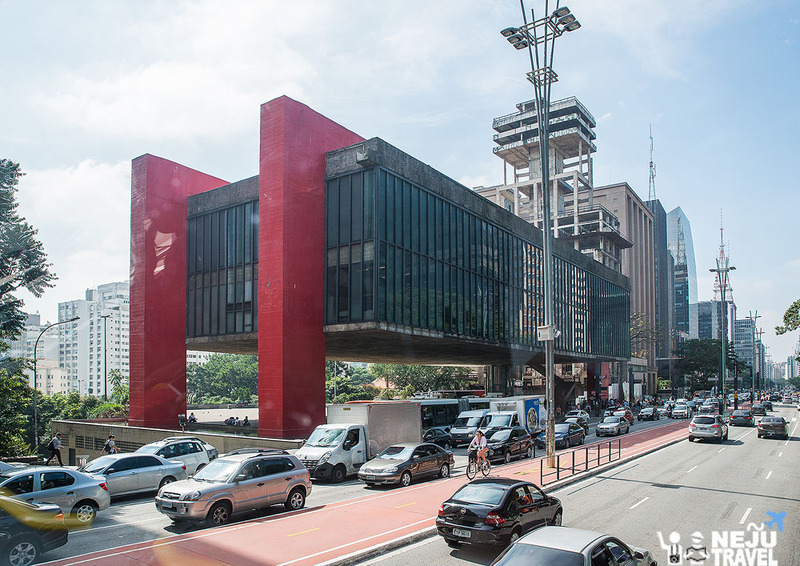 The next visiting places are Paulista Museum – MASP, Casa das Rosas, Ibirapuera, São Paulo Cultural Center, Liberdade, Pateo do Collegio and Municipal Theater. When the bus come back to the starting point, we went to take Metro at Republica station and stop at Se station. 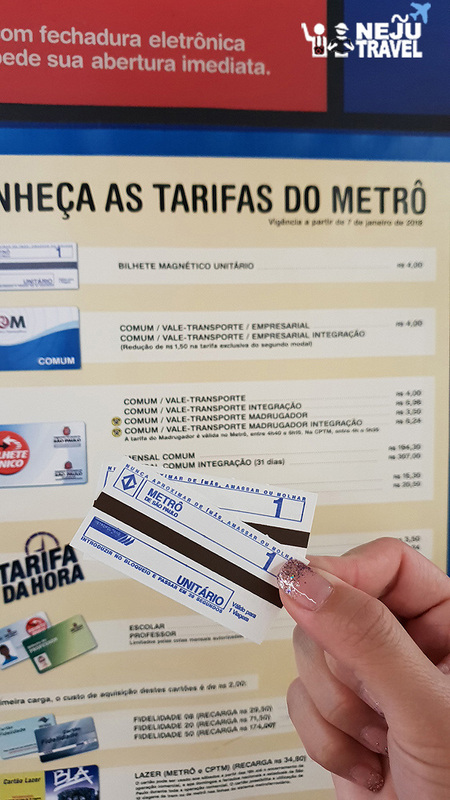 The fare is 4 BRL per person. 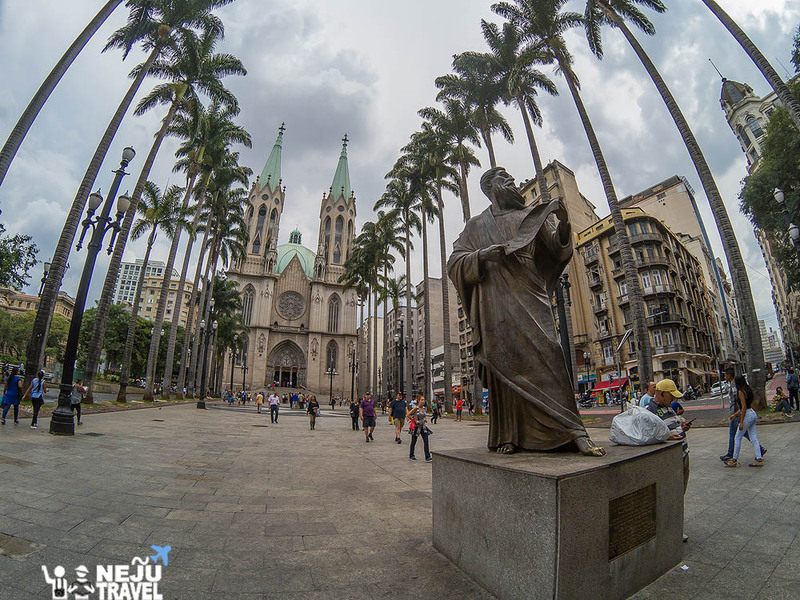 We came here to see the beauty of Sao Paulo Cathedral which is the old church of Brazil. 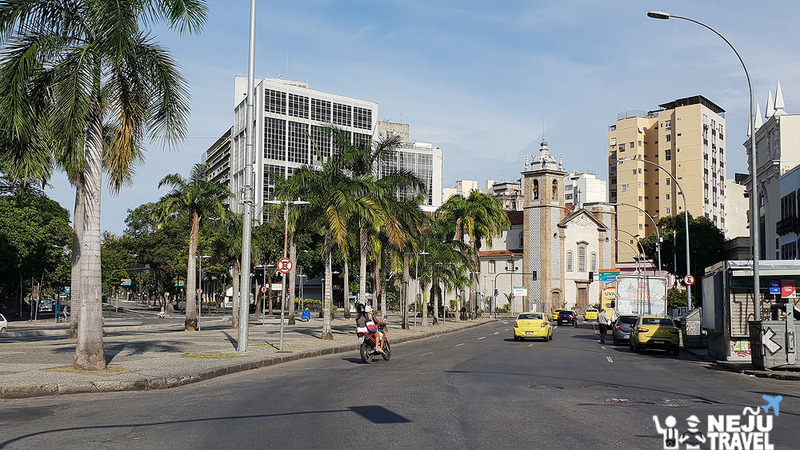 The front of the church is Praça da Sé road that full of palm trees. While taking pictures here, we should keep our valuables and beware all the times because there are a lot of homeless. This cathedral is the largest church in the city and be the home of Archbishop. 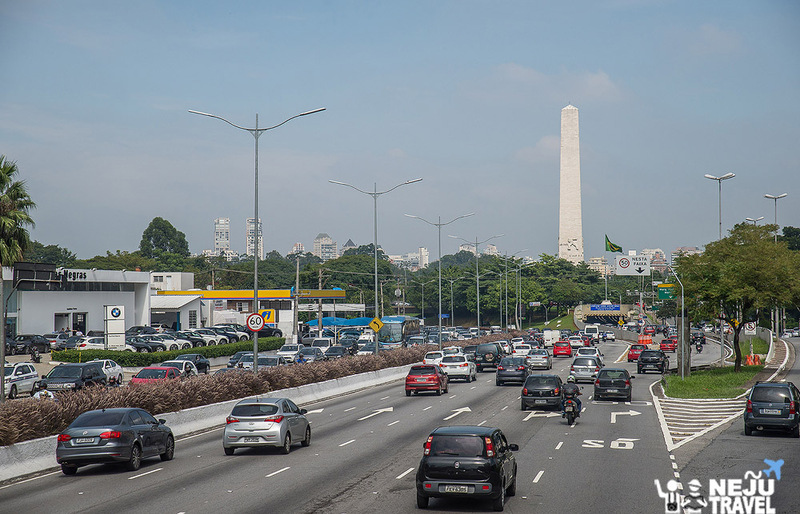 It was completed in 1954 to celebrate the 400th anniversary of Sao Paulo city. 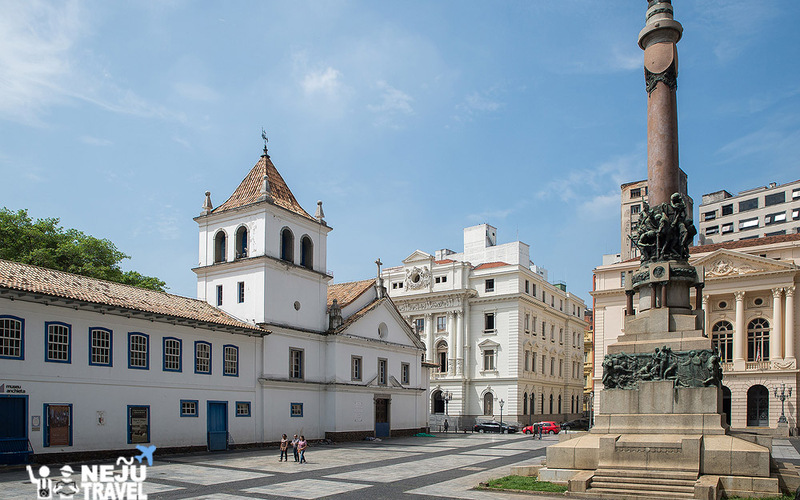 It has been the center of the Catholic community since the late 16th century. Originally it was a worshiping place built by mud walls, but today it has become one of the largest neo-Gothic cathedrals in the world. Opening hours: Opens every day and Free of charge. 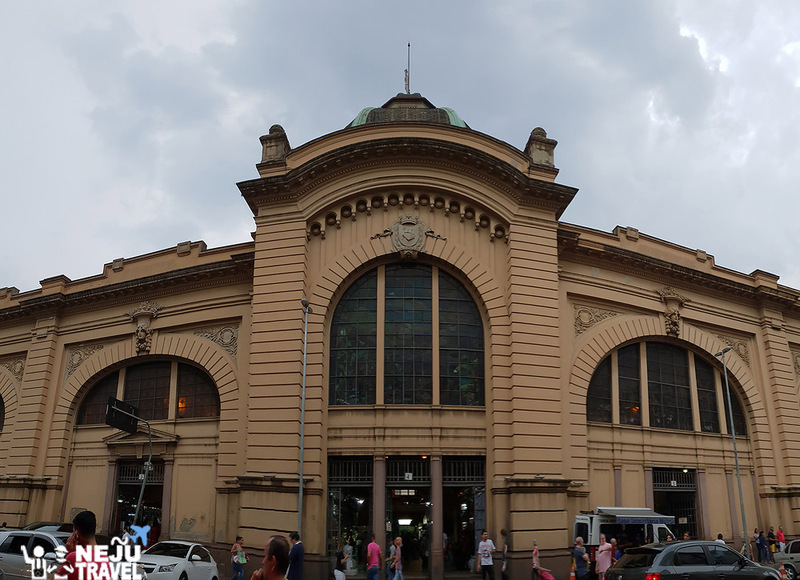 Then we take the Metro to Sao Bento station to get to the municipal market. 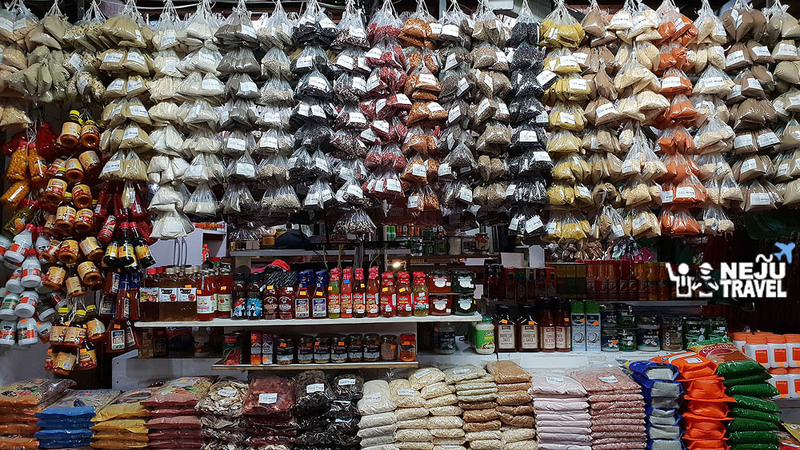 We have to walk through the R25 which is the area that people sell a lot of miscellaneous things look like Sum-Peng in Bangkok. A lot of people come to shopping here and there are many policemen standing along the way. We keep walking until find the yellow building with the dome on top which look likes Hua Lum Phong. 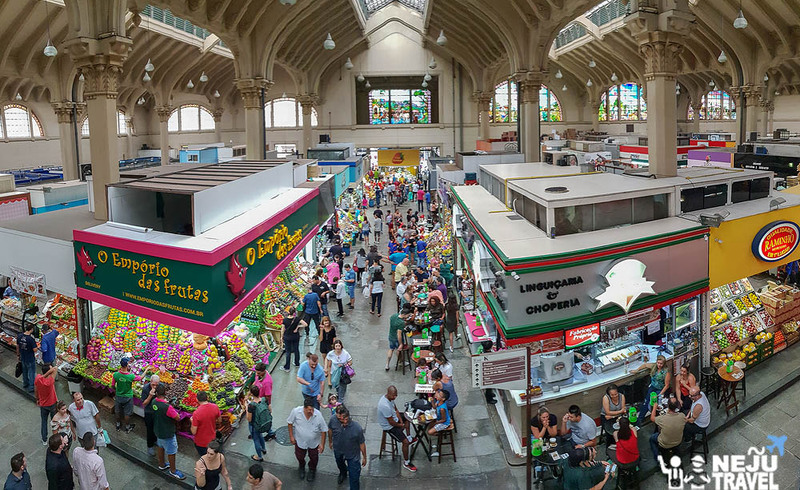 Inside this building is Mercado Municipal Market which there are a lot of shops that sell fresh/dried food, fruits, vegetables, nuts and spices. The restaurants and bars are also available here. 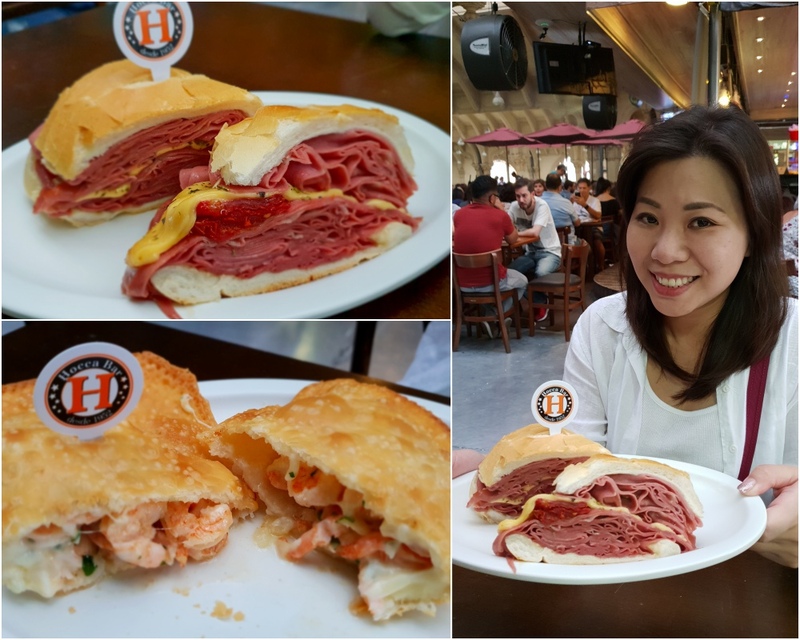 We recommend Hocca Bar that located on the second floor of the market. It is a traditional bar that opened in 1952. You will see a lot of people waiting in the queue. The popular menu is Mortadela which is sliced bread filled with a lot of Bologna sausage, cheese, and tomato. Its taste is a bit spicy. 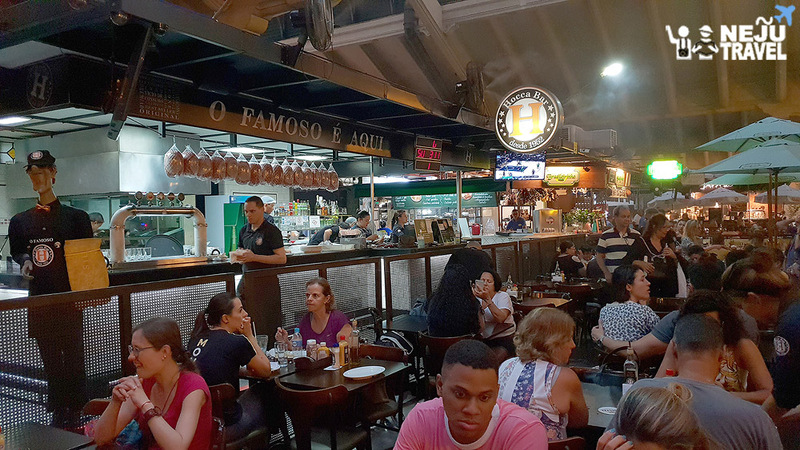 Moreover, there are Belissima (salted pork with cheese served with bread) and O Famoso (shrimp puffs with onions). The best seller drinks is beer. The staffs serve all the time. Opening Hours: Open daily from dawn to dusk. There is a parking lot nearby. The next morning, we checked out of the hotel and head to the airport. The hotel staff called Taxi for us. 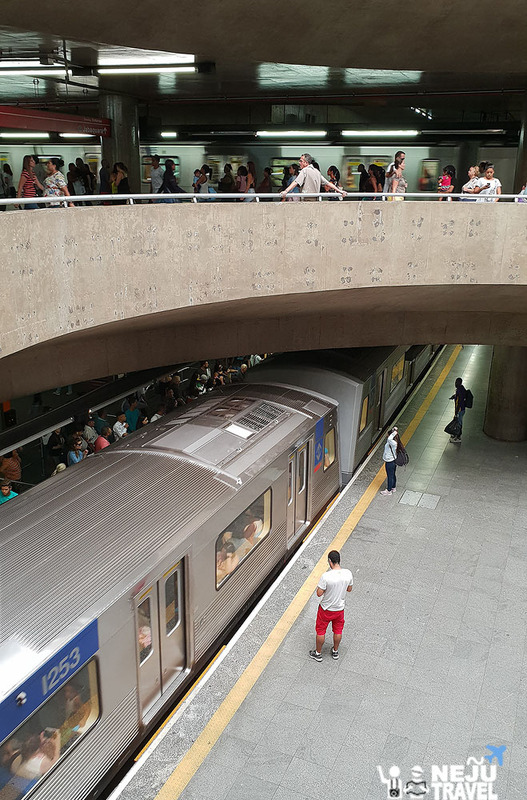 Its fare is 120 BRL and takes about 40 minutes to get to the airport. 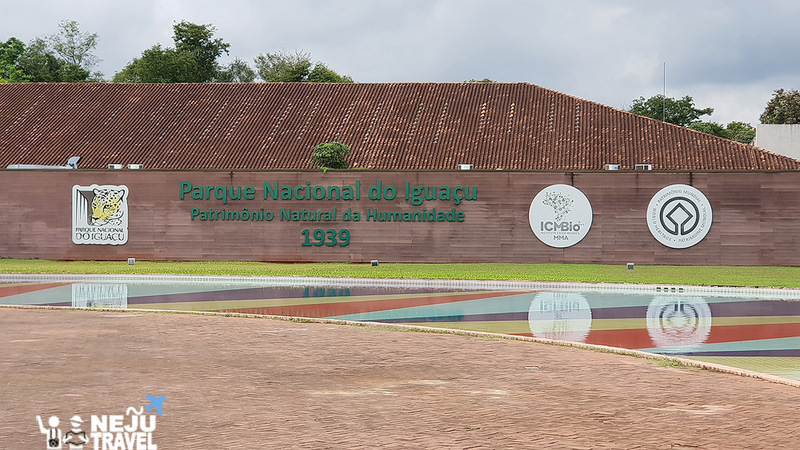 We are going to visit Iguazu Falls. 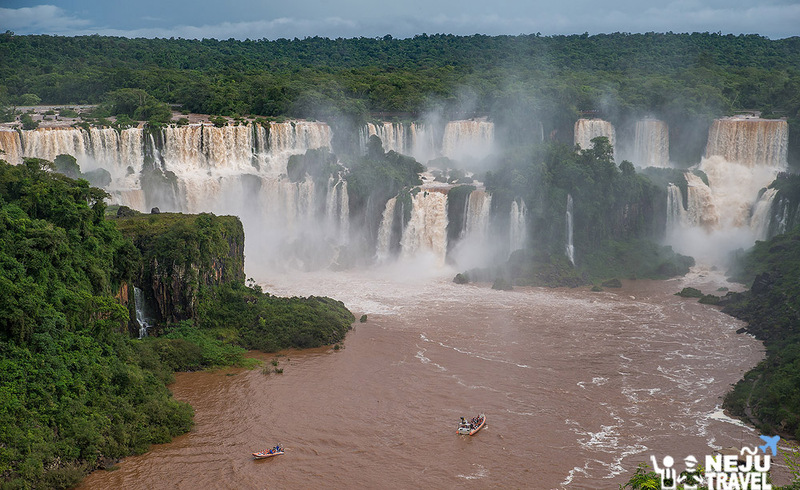 Let’s try to sit on the left-hand side, so you can see the falls from the airplane. 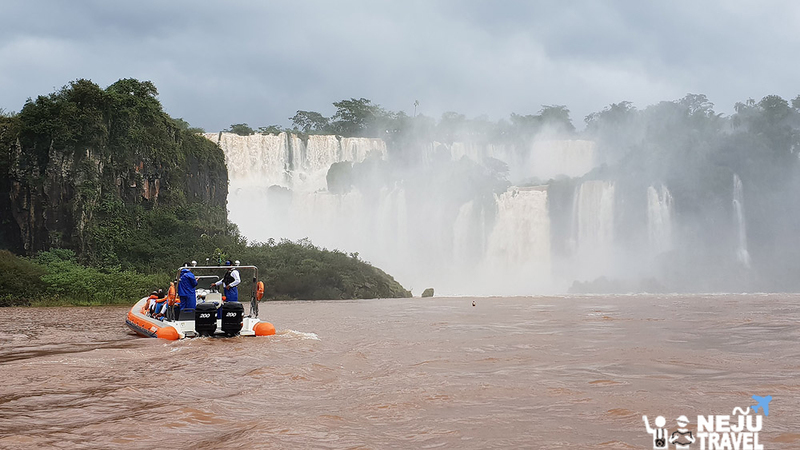 It takes around 1.5 hours to reach at Iguazu Falls Airport. 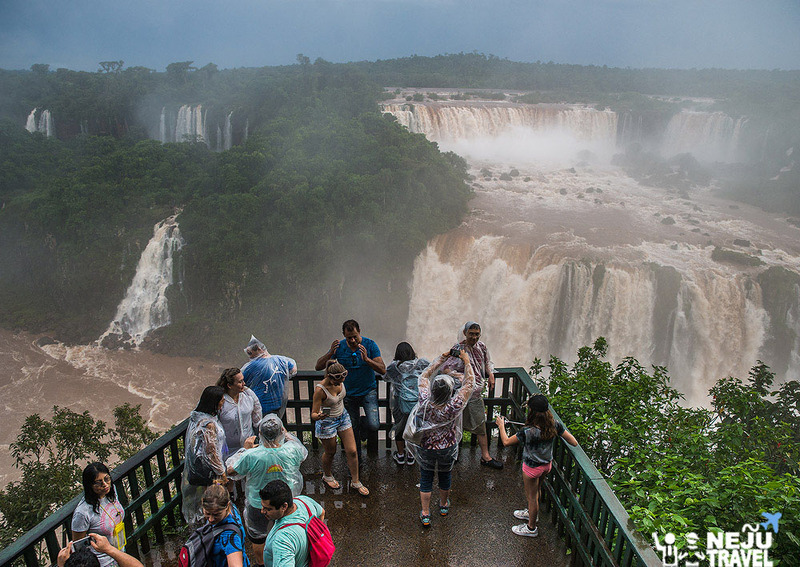 Iguazu Falls is voted to be 1 of the 7 natural wonders of the world. 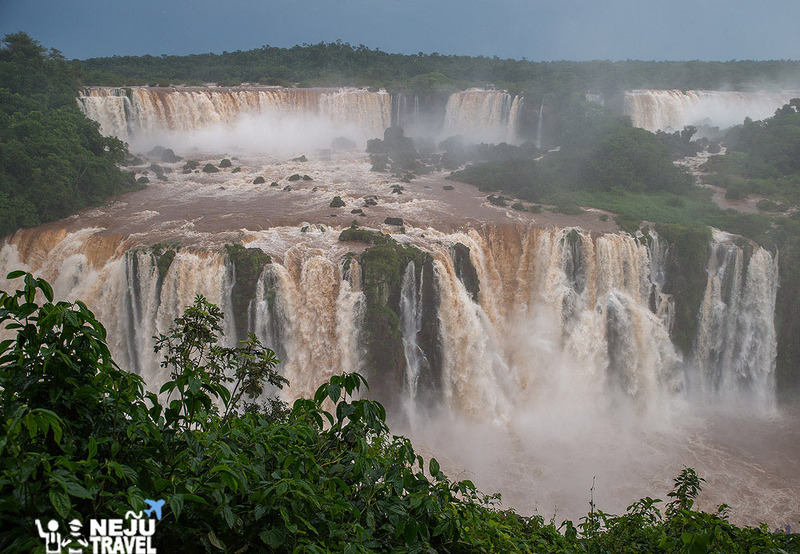 It is the second largest waterfall in the world. 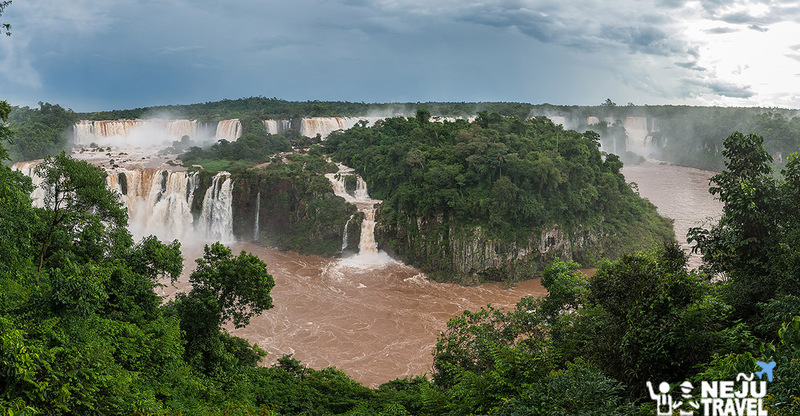 Its cover the area of both Argentina and Brazil (The falls in Argentina is larger). It can be seen on both sides liked Niagara Falls that we can visit in USA and Canada. 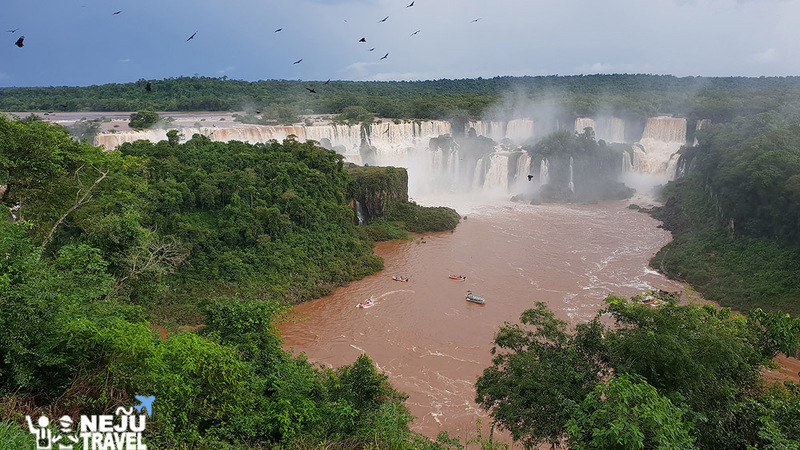 We felt double amazed when we see Iguazu Falls. When we arrived at the airport, we deposited our luggage in the locker located in front of the airport. 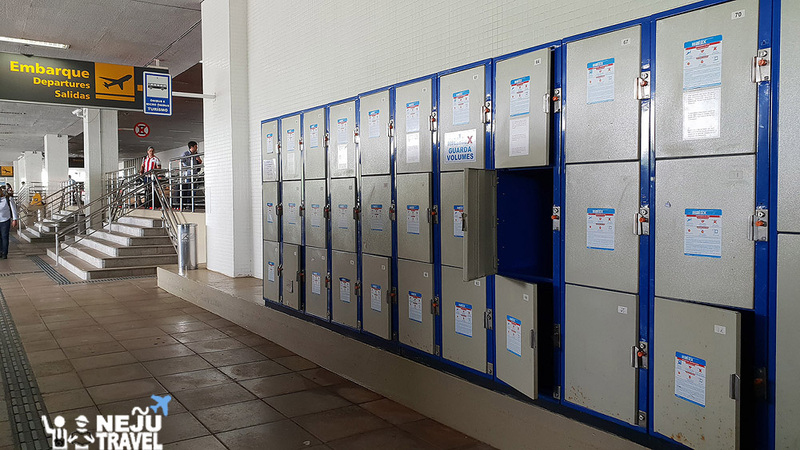 To rent the small locker (up to 24 hours) we have to pay 1 Token. The bigger locker is required 2 Tokens. 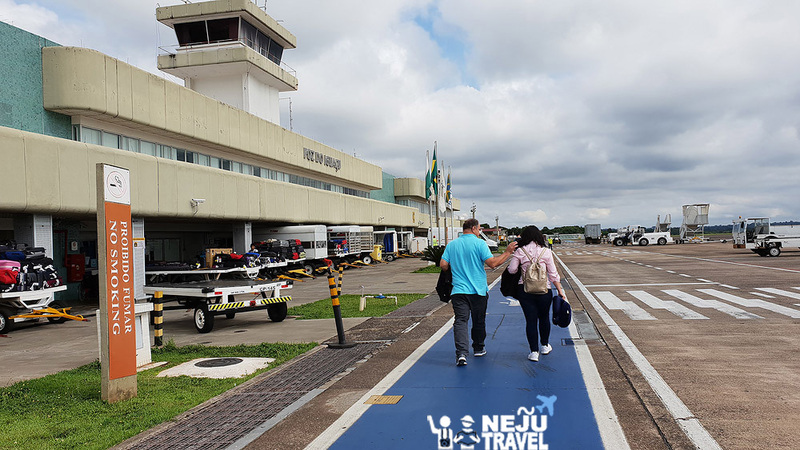 The Token can be exchanged at the Food Court located on the 2nd floor of the airport (1 Token = 30 BRL). 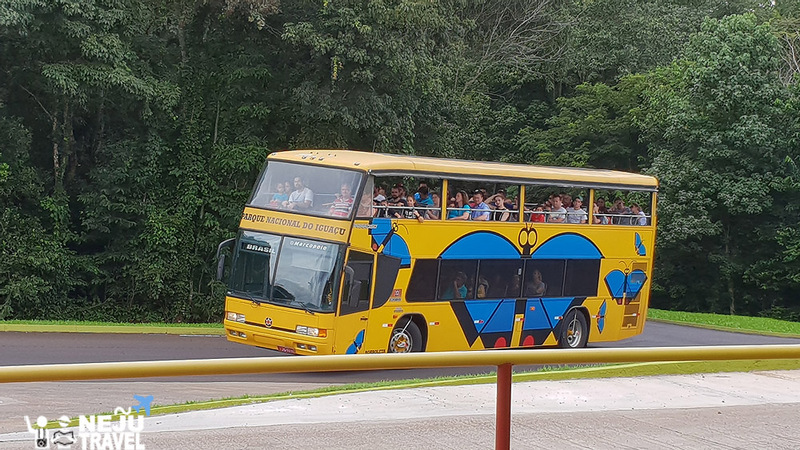 Then we take bus number 120 to go the entrance of Iguazu Falls. 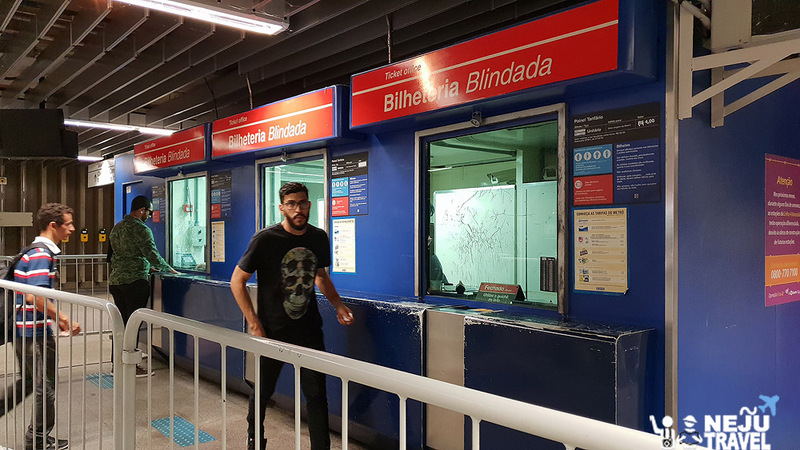 At the entrance, we have to buy tickets at ticket machines. The machines accept debit or credit cards only. After that, we must go in the line and wait to go inside. 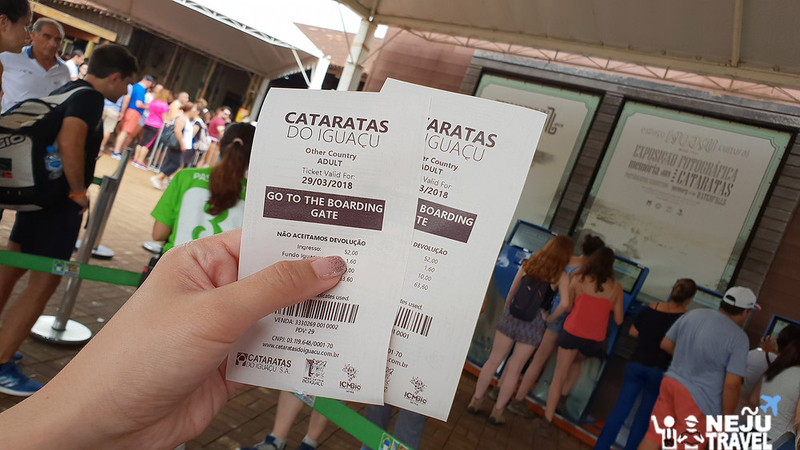 While waiting in the queue staff recommend that if we want to take the cruise, we can buy the ticket at another counter inside. And we can take VIP bus to go inside without having to wait long queues. 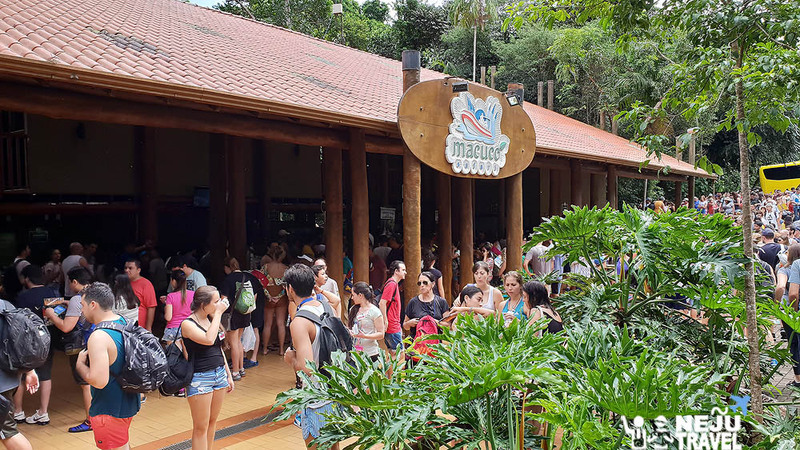 So, we decided to follow the staff immediately because the price is same as buying at normal counter (215.40 BRL per person). The bus takes us to the point that we can get the cruise so fast. Due to the day we visit is holiday, there are a lot of people. We spent nearly 2 hours waiting in the queue. 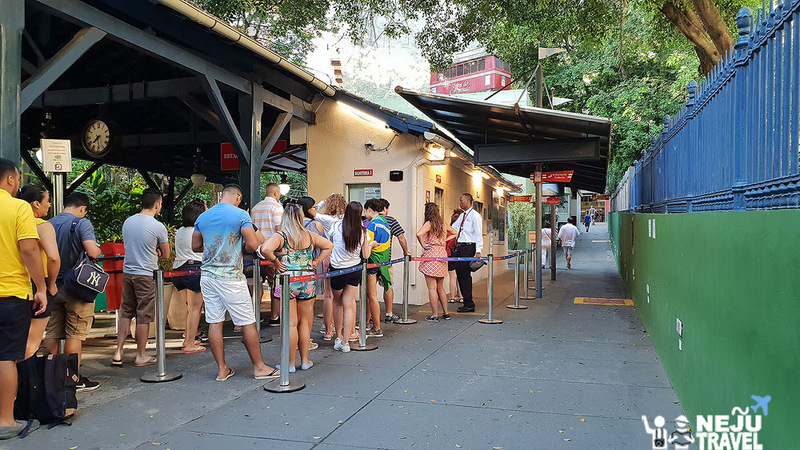 The queue management is not so good because both tours and individual tourist are mixed up in the same line. 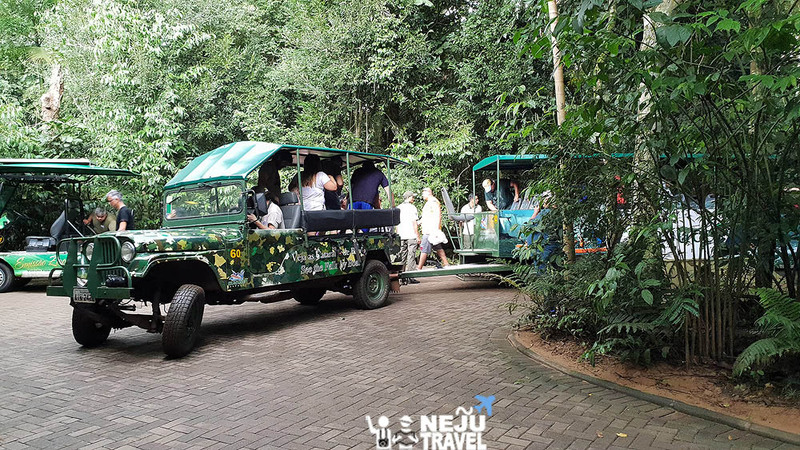 When it is our turn, we take tram and then Jeep to get to the point of the cruise taking. At this point, lockers are available. 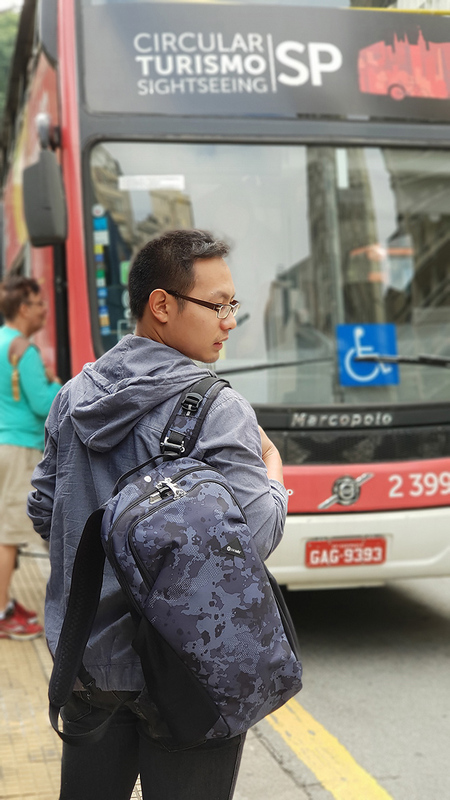 We did not rent any locker because we have a new version of the Anello bag. We put all our stuff inside the Camo bag and put it in the cruise with us. The raincoats are available at the souvenir shop which costs 10 BRL. We must wear life jacket before getting into the cruise. The front of the boat is a rubber bumper. The driver is very skilled. Even water is rapids and rapids because of a lot of the rock, but he can drive very smooth. 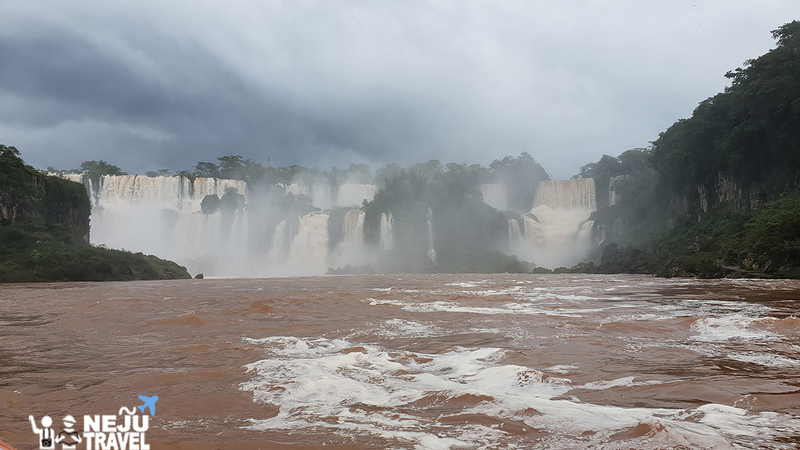 For a while, the driver took us into the embrace of Iguazu Falls. We try to sit in the front row to get beautiful pictures. 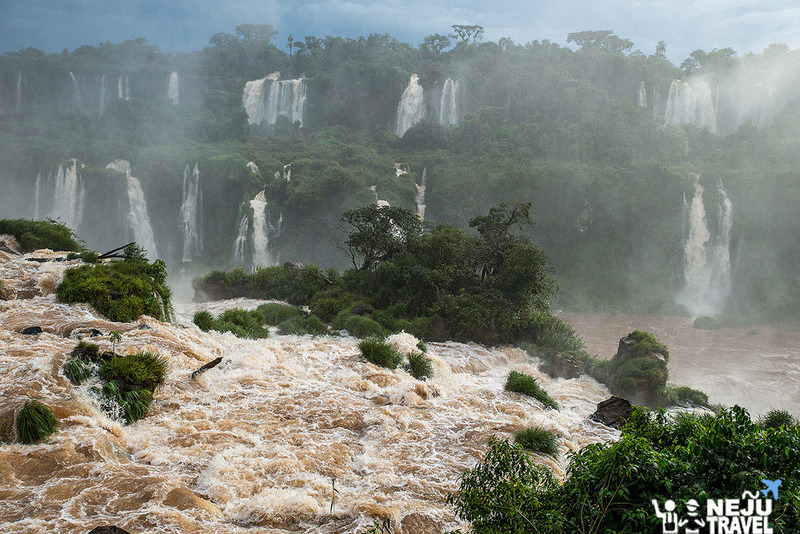 Even we get wet, but the pictures we got are gorgeous and impressive. Afraid you will not see the picture clearly, I will serve you this short VDO as an appetizer. 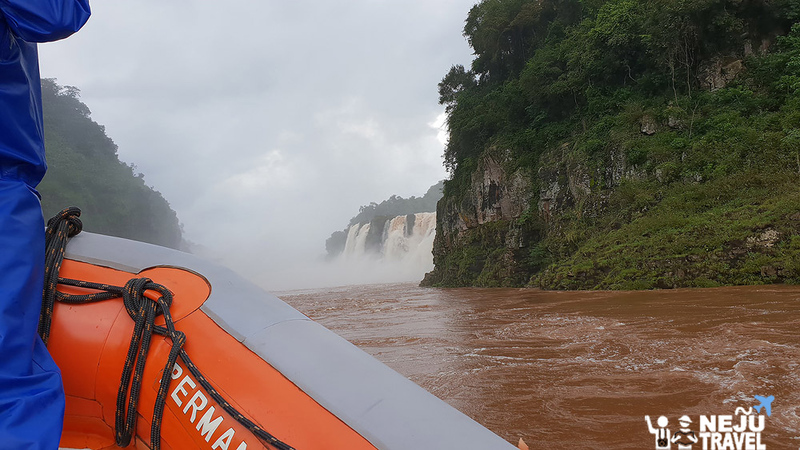 After finished the cruise, we take the bus to go inside in order to touch the waterfall closely. We walk about 1 kilometer to go to the highlight point called Devil’s Throat. The walkway is very good and easy to walk. 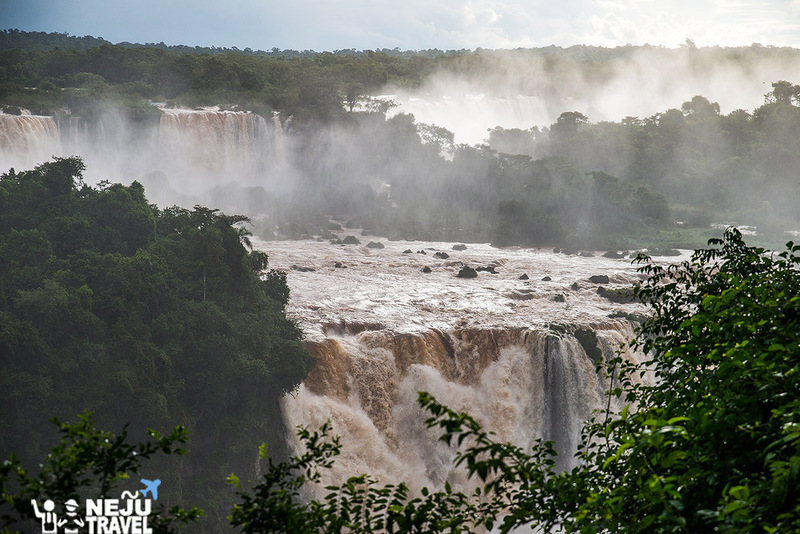 On the way, we can see a lot of waterfalls and there are many points to take a picture. 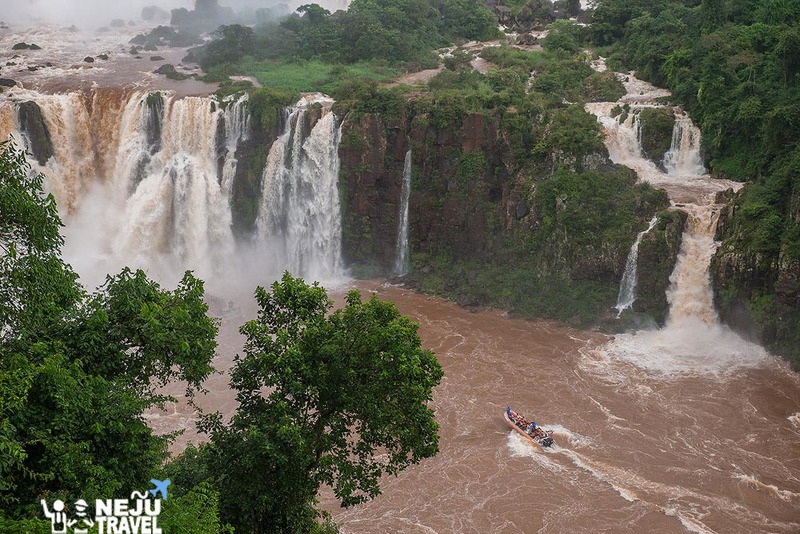 The beauty of this waterfall has appeared to the eyes of people around the world in Black Panther movie. At Devil’s Throat, we can touch waterfall closely. 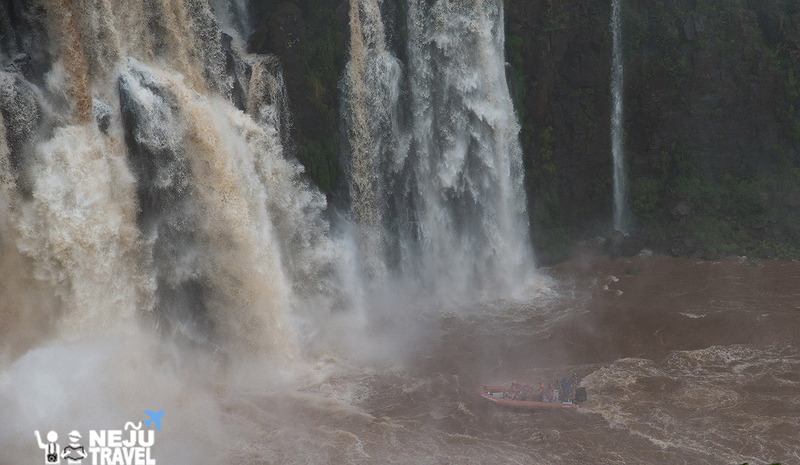 Please be careful that your camera and mobile phone might be wet. Walking along the way, we find many split points. 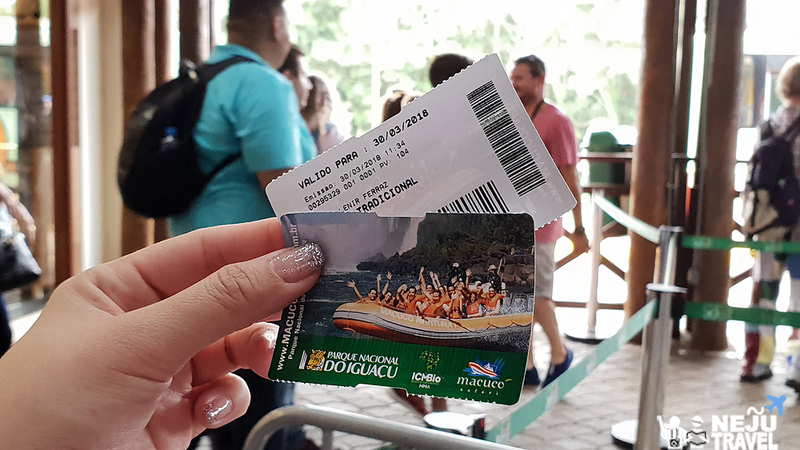 At the end, there is elevator that we can go up to enjoy the top view of the waterfall. We walk to the end and take the bus to go back to the entrance. We reached the entrance in the evening. 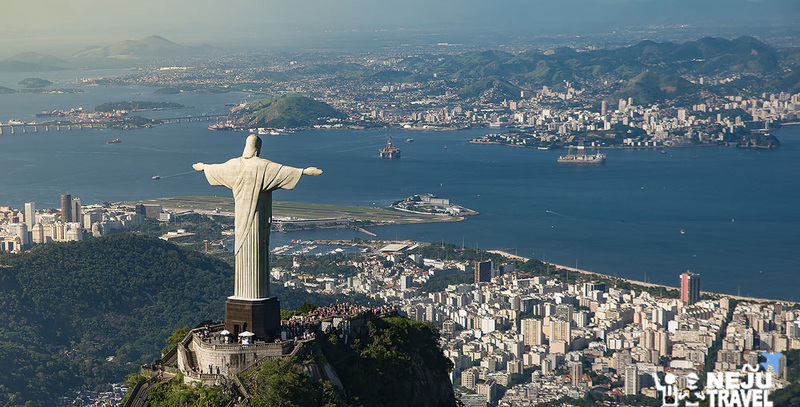 After that, we take taxi to the airport in order to go to the next city named Rio de Janeiro. 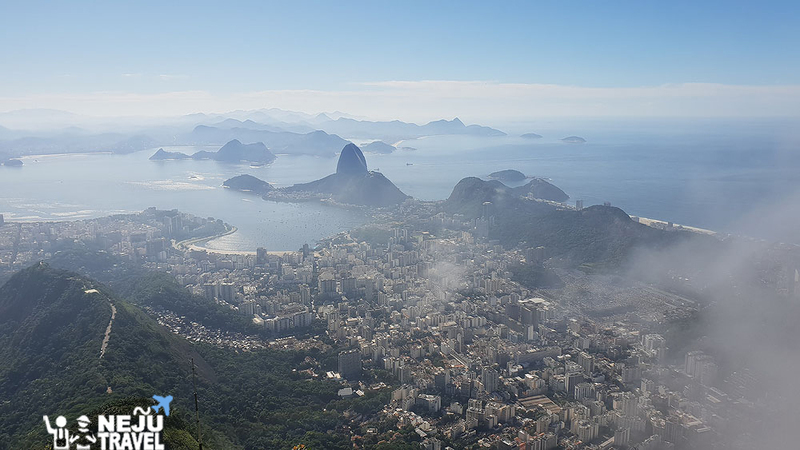 This place is the highlight of our trip because it is the city and made both of us want to come to Brazil. 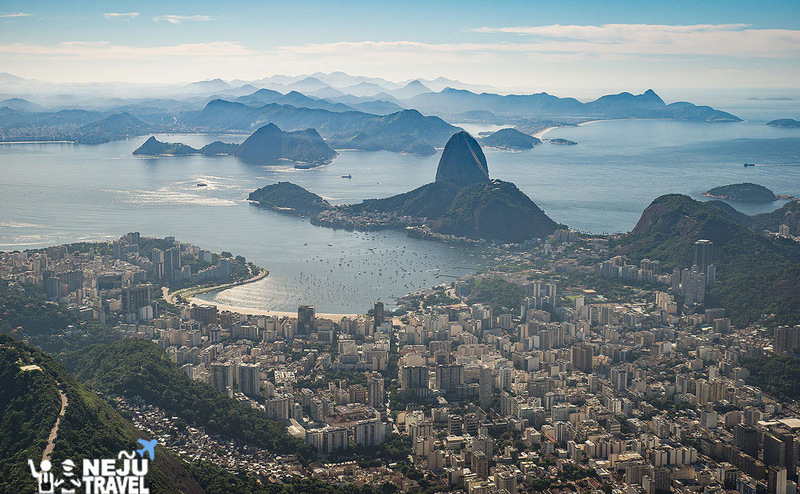 Rio de Janeiro is the last town of our trip in Brazil. 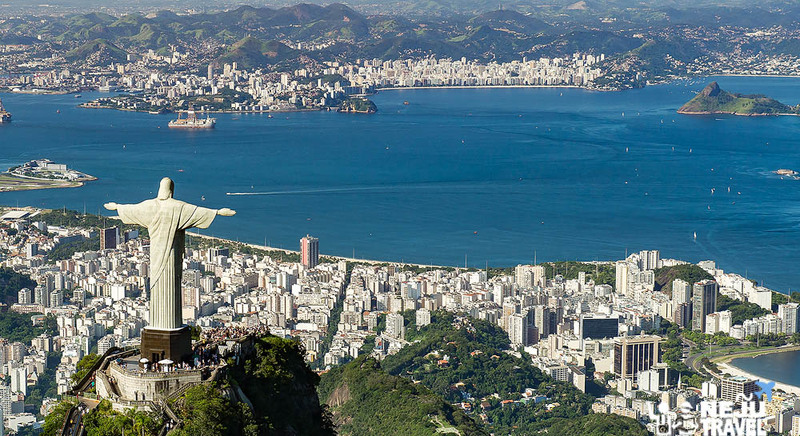 We will not miss our wish list that is Christ the Redeemer – the statue of Jesus standing on the Corcovado mountain. 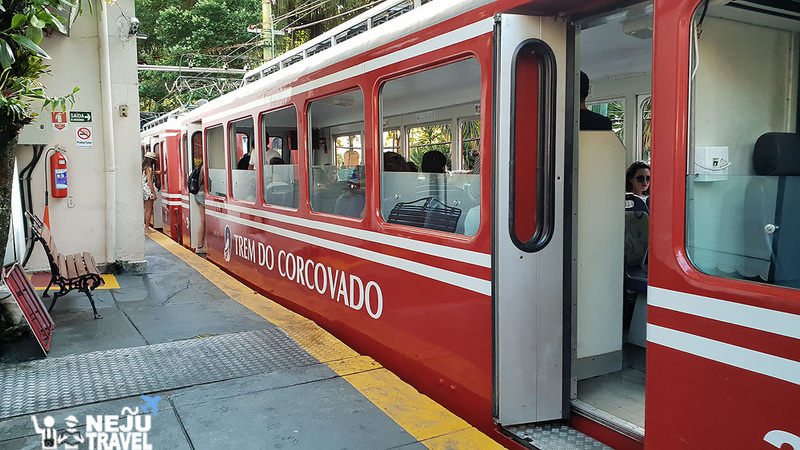 We go there by taking Trem do Corcovado train in early morning in order to avoid crowded tourists. We booked the train at 8 a.m. via www.corcovado.com.br. It should be booked in advance because the number of visitors in each round is limited. 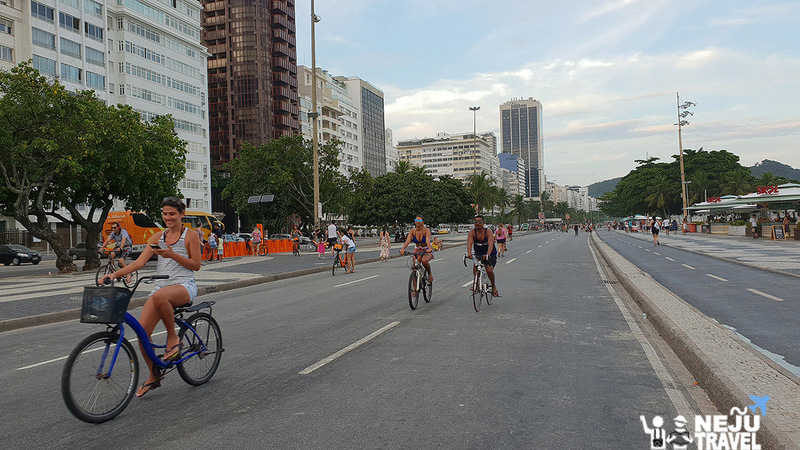 The price is 75 BRL per person. We have to arrive at least 30 minutes before the time we booked. This statue is 1 of the 7 wonders of the modern world. It was made from steel reinforced concrete and stone. The construction began in 1922 and took 9 years in total. 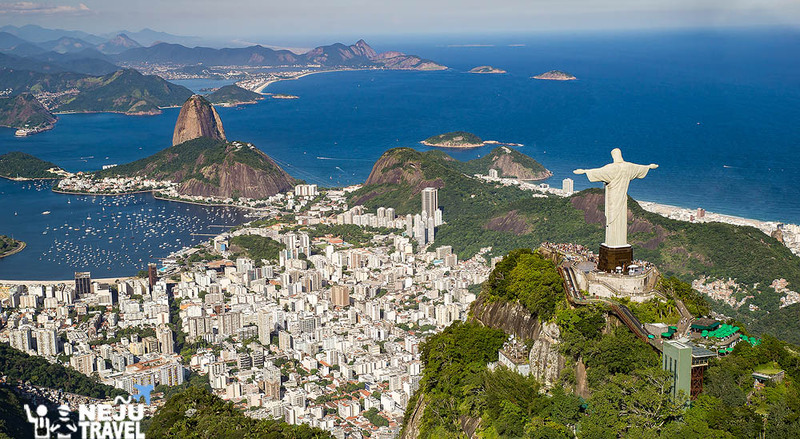 Most of the funds come from Catholics in Brazil. 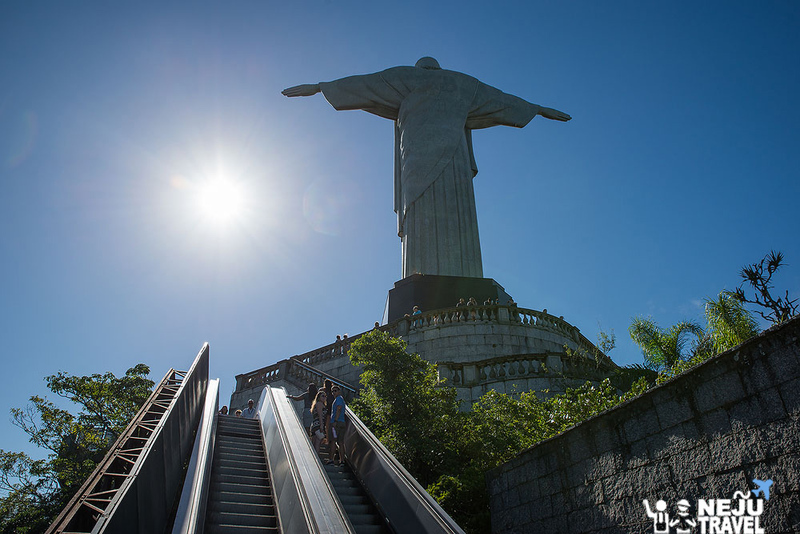 The statue is 38 meters high and 28 meters long. The average number of visitors here is around 300,000 visitors per year. The statue has to be continuously refreshed and maintained. 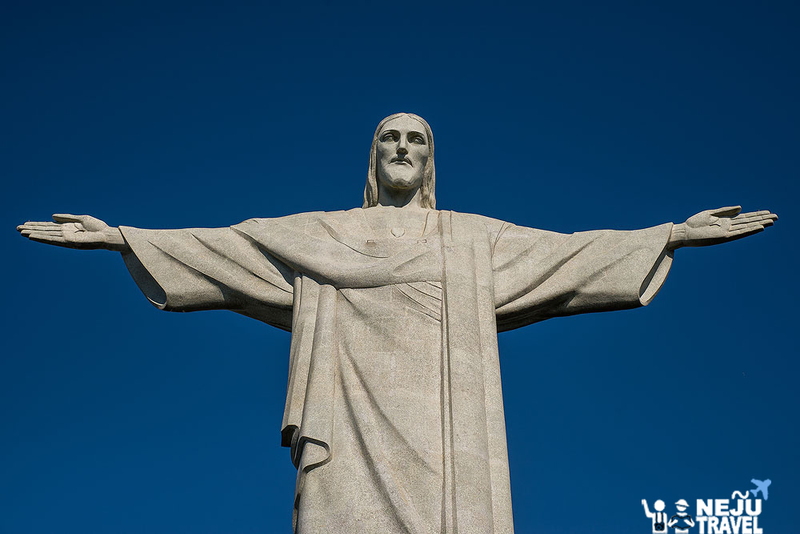 After taking train for about 20 minutes, we stunned with the elegance of the statue of Jesus Christ that we used to see in the movie named Fast & Furious. It is much more beautiful than we thought. 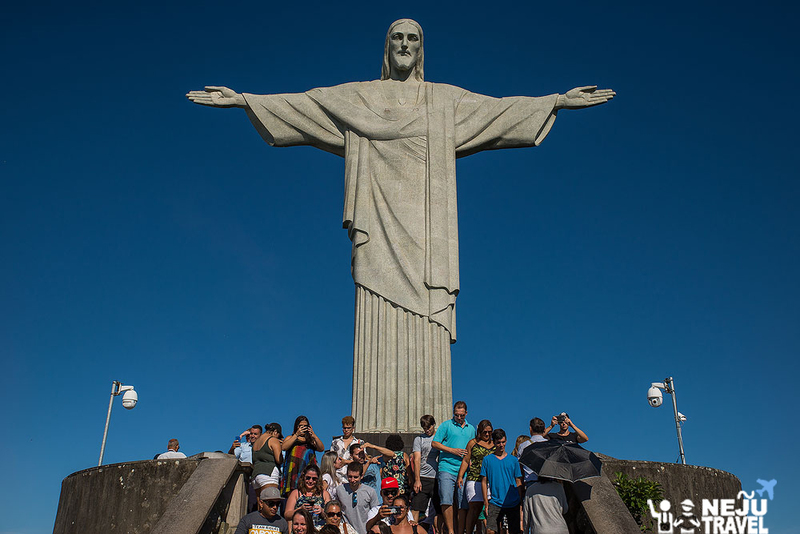 All the visitors say “WOW” when they saw the world’s second largest statue of Jesus. I took a lot of pictures here and would like to recommend you bring wide lens to take picture of the whole statue in 1 shot. 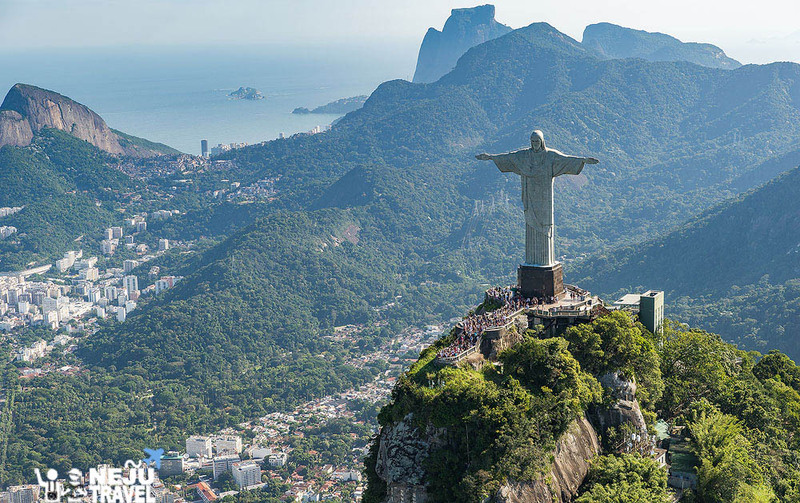 On the Corcovado mountain, there is not only the statue of Jesus but the view of nearby areas is so amazing. We can enjoy 360-degree view from here. When we go down, we feel that we still want to see the statue closely as same as we saw in the movie. 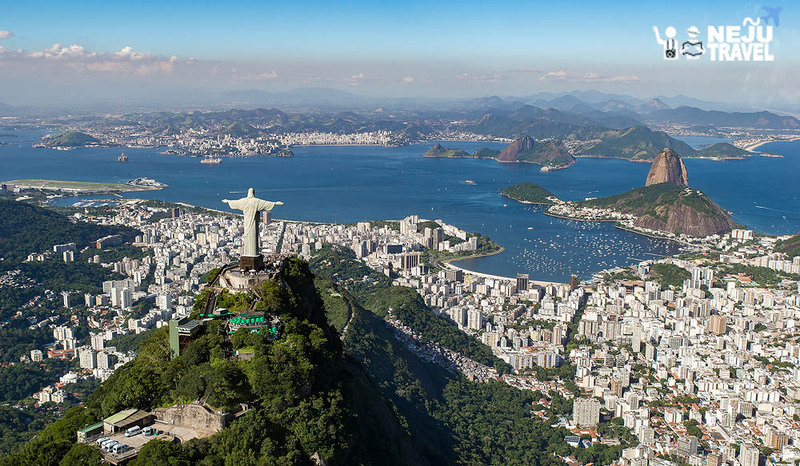 So, we decided to ride helicopter to see Christ the Redeemer from the top view. 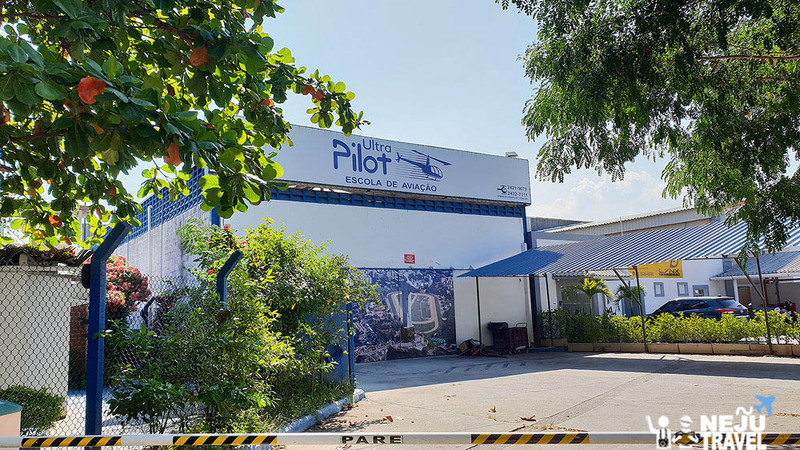 We use the service of the Ultra Pilots. 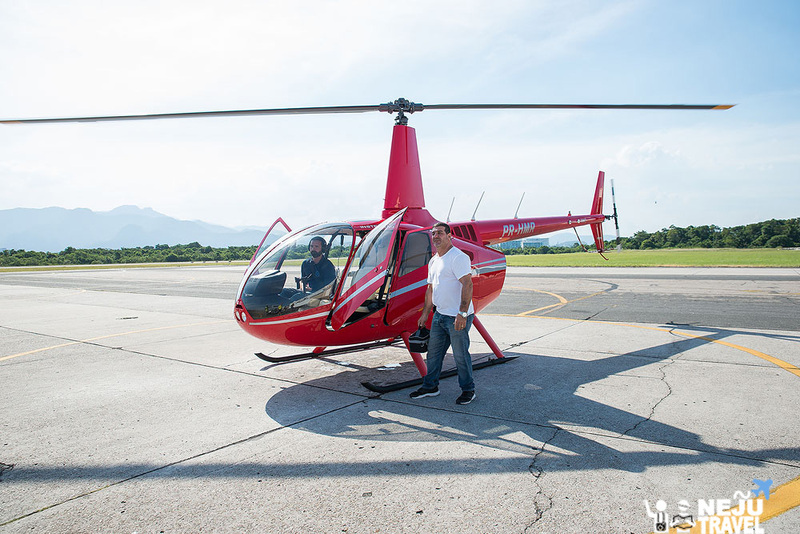 We fortunately met Italian tourist who also interested in riding helicopter, so we booked together and get special price at 350 BRL per person (price for at least 3 persons). 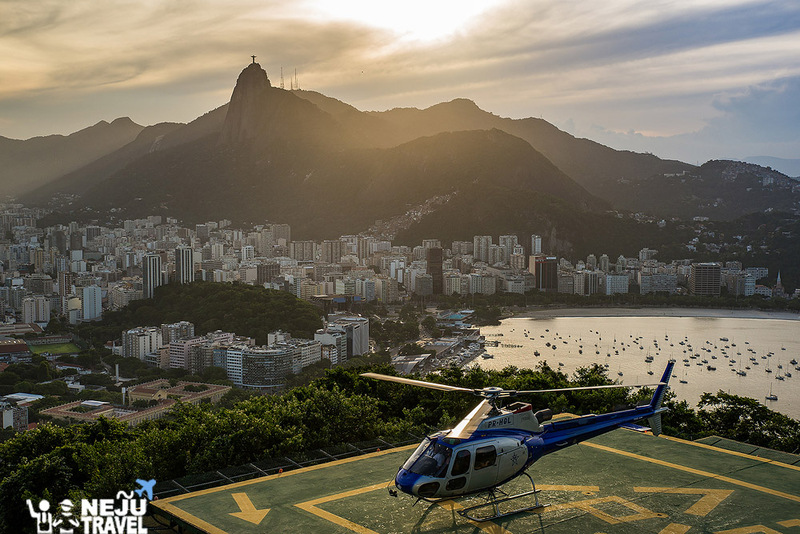 We must go to ride the helicopter at Jacarepagua Airport (we take taxi from the hotel that costs 75 BRL). The helicopter fly about 30 minutes. 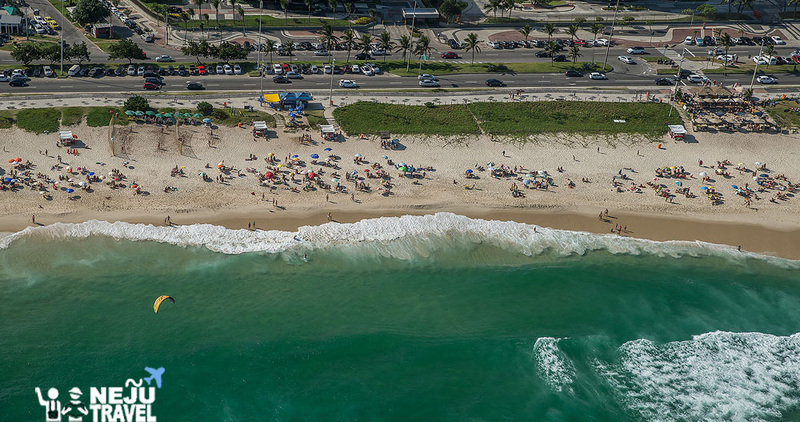 From the helicopter, we can see Ipanema beach which located in one of the most luxurious areas of Rio de Janeiro, between Leblon and Arpoador, near the worldwide famous beach named Copacabana Beach. 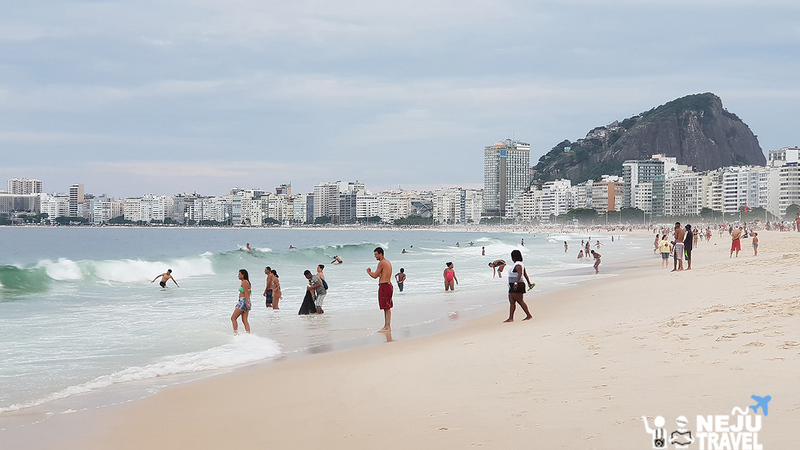 Although the word Ipanema means stinking lake, but it is not related to the white sand beaches where a lot of people come to take sunbath. 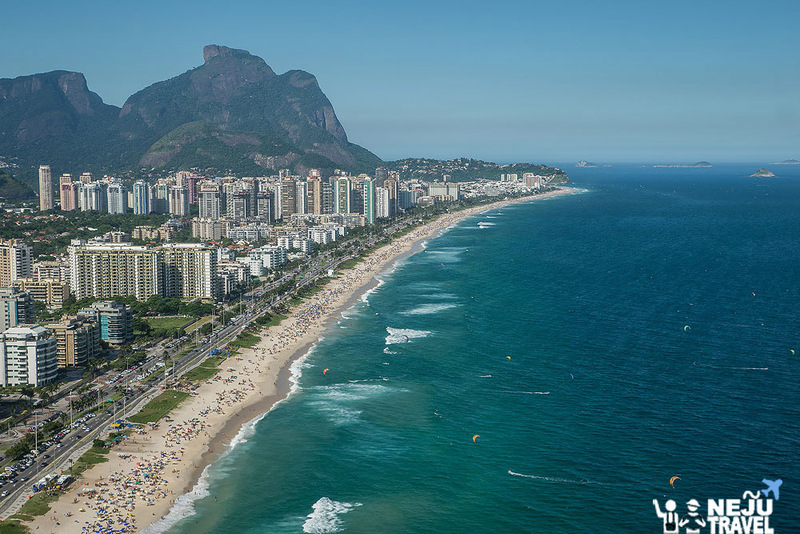 In the past, Ipanema beach was not known. 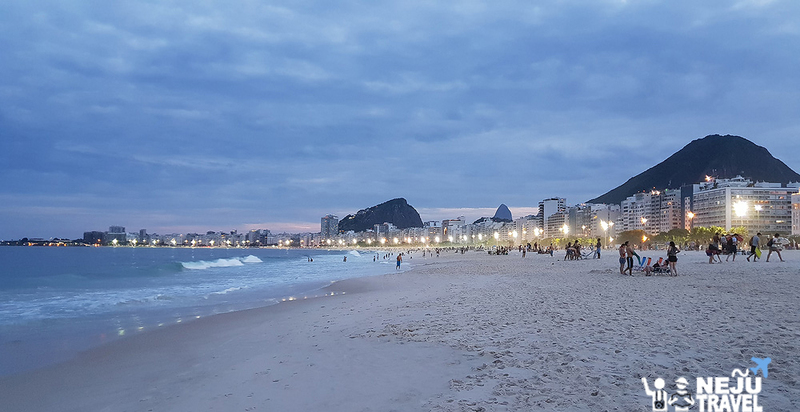 When Western culture come and there is the famous song named “The Girl from Ipanema” in 1960, this beach became widely known until now. The group of house that located on the hill is slum. 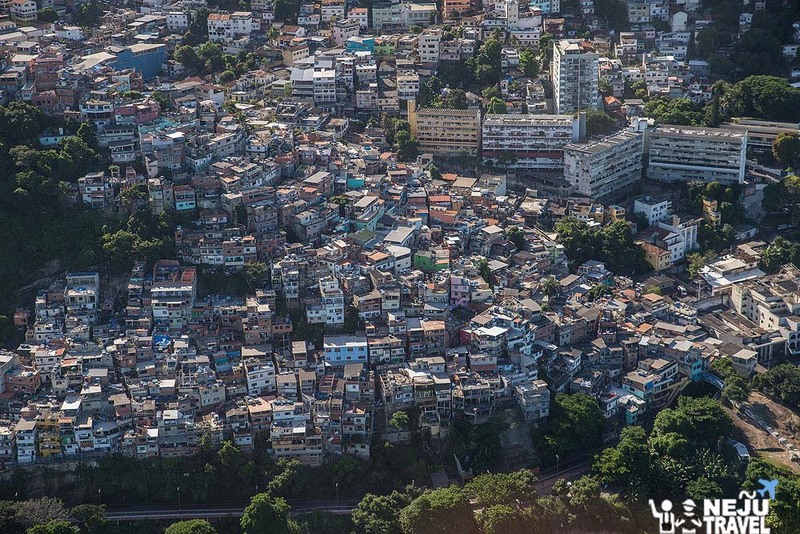 You can see how big of the slum from this picture. 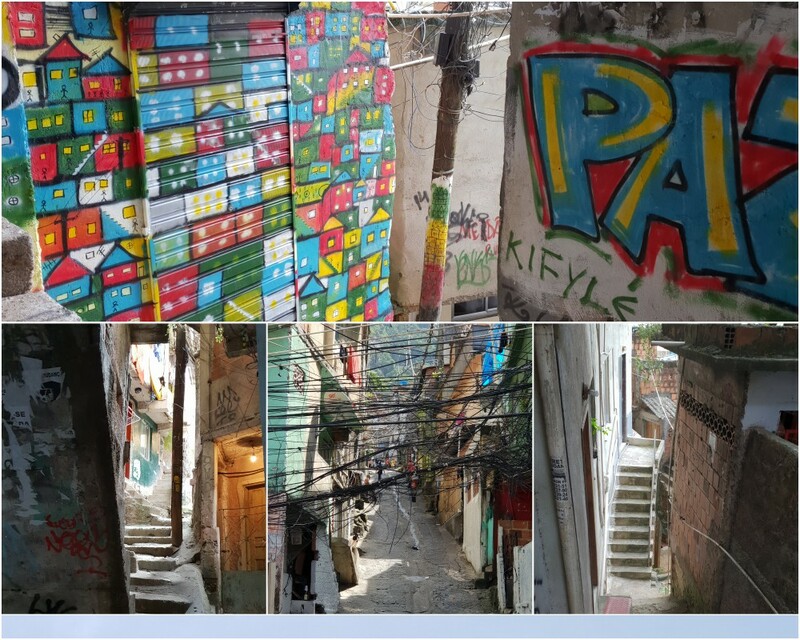 Let’s continue reading and you will find out the detail of this slum ^^. When the captain said that we are going higher and higher, we are very exciting. Ending the speech from captain, we suddenly see the statue as the one we used to see in the movie come to appear in front of us. It seems like the lively painting. 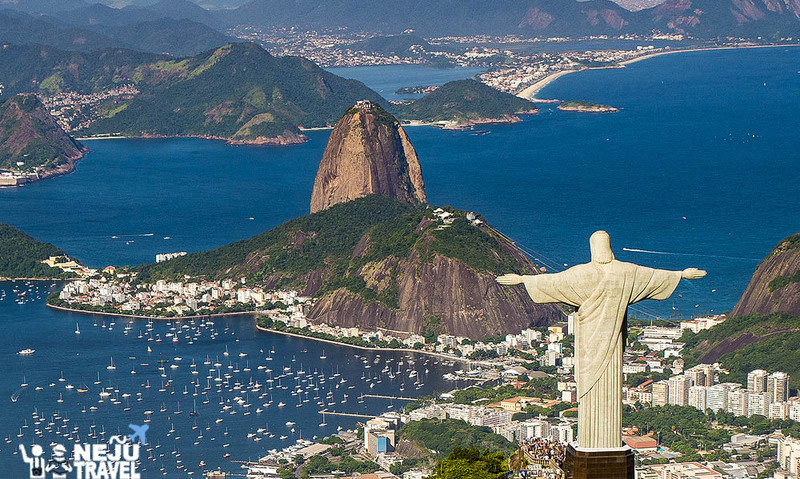 We can say that our trip to Rio de Janeiro is worth. (Please allow these pictures to tell you the story instead my words). 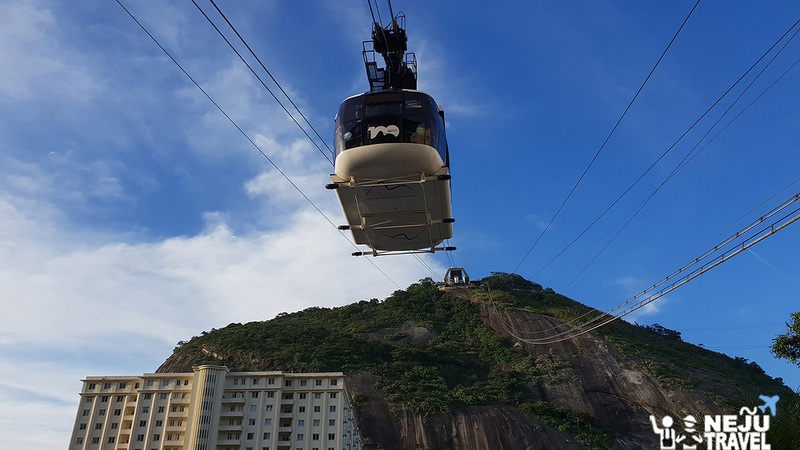 When come back from riding the helicopter, we continue to go to Sugar Loaf Mountain (Pao de Acucar) which located on the southeastern coast of Rio de Janeiro within the rainforest. 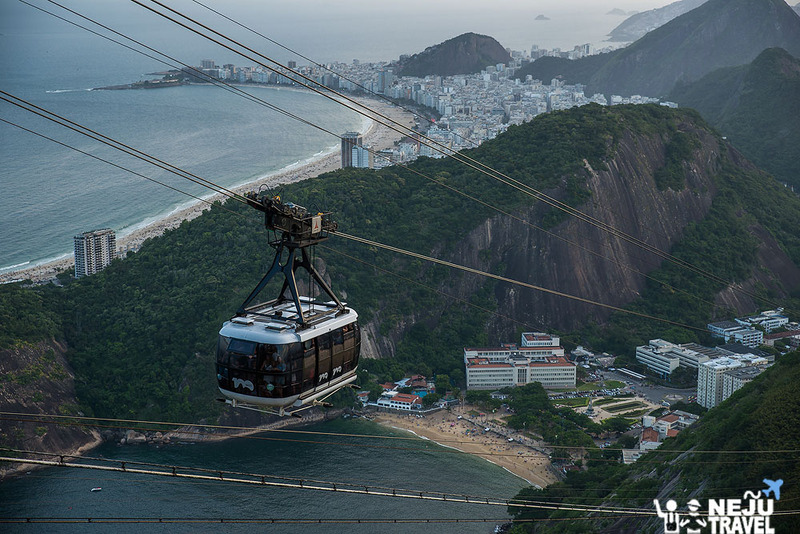 We can go there to see the beauty of scenery by taking 2 cable cars. This cable car was built in 1912. It can accommodate up to 65 people in each round. 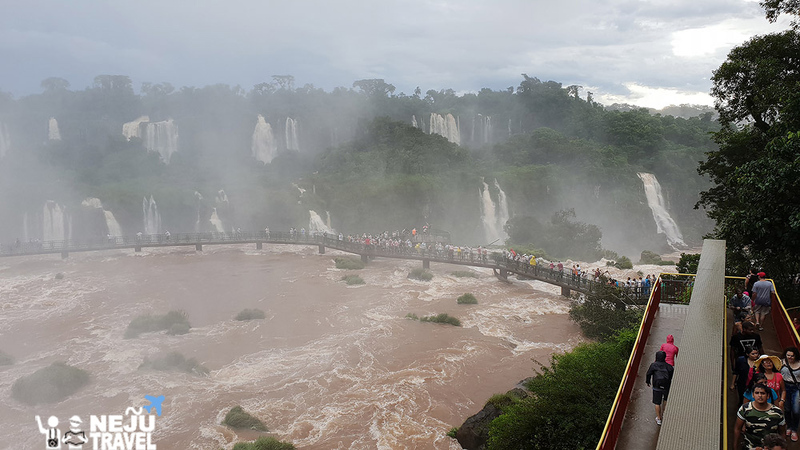 The tourists can enjoy the view along the way. 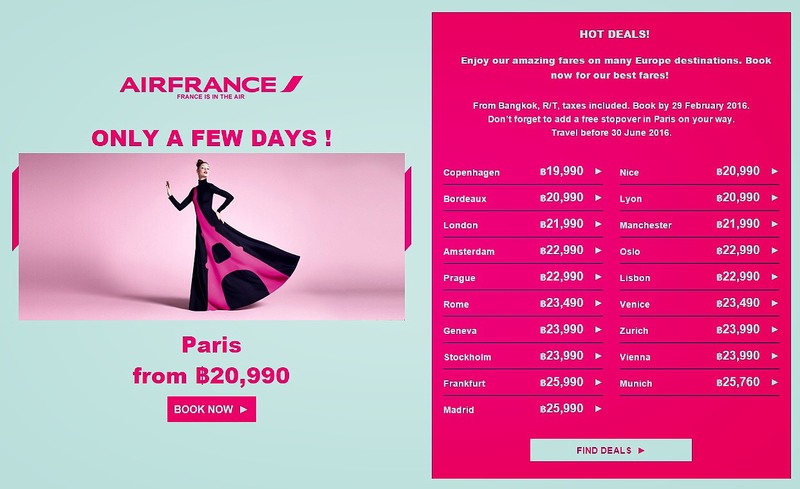 The price is 80 BRL per person. 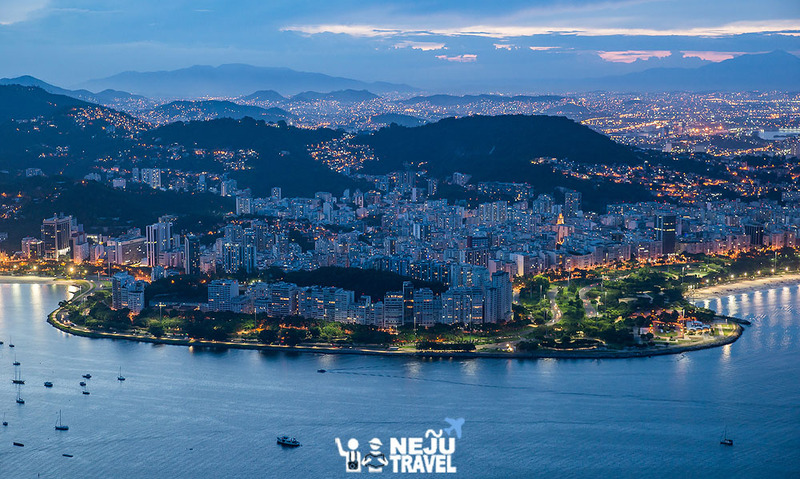 On the top of Sugarloaf, we can see beautiful views of the nearby beaches, evergreen rainforests, adjoining hills and Christ the Redeemer statue. 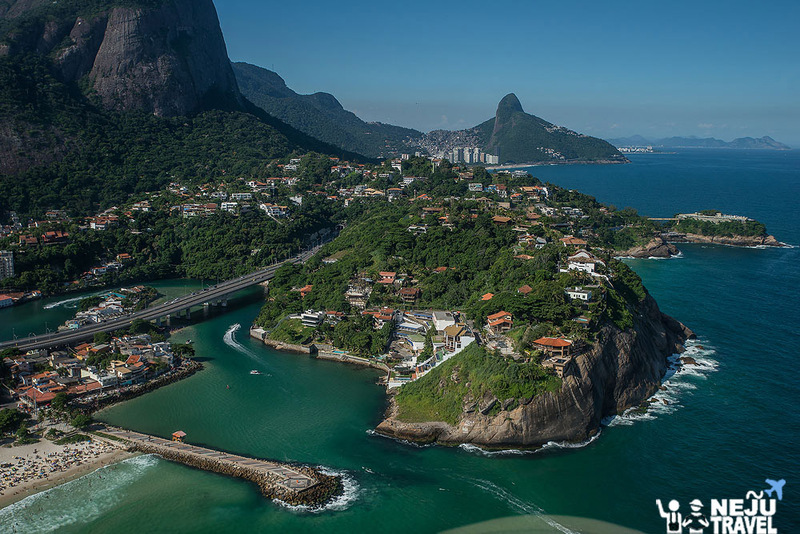 Historian named this mountain according to the sugar cone formation in the 16th century when Brazilian sugar trade was flourishing. 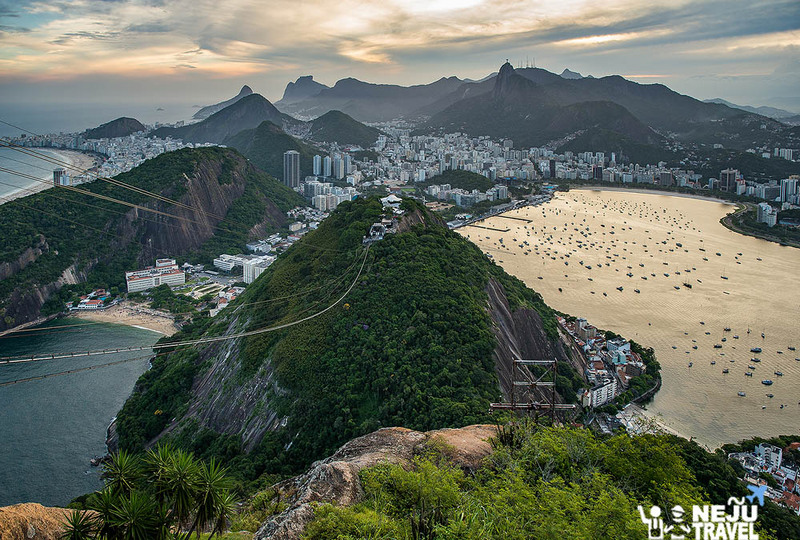 The best time to visit here is in the early morning and before sunset time because the view is very beautiful. The cable car will come every 20 minutes. Traveling up to the top, we need to take 2 cable cars. 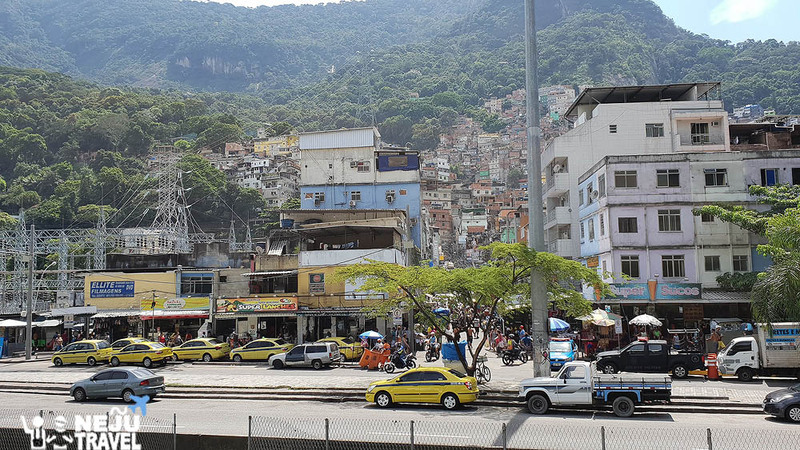 The first cable car will stop at Morro da Urca where has a lot of shops. The most popular item here is Havaianes sandals which much cheaper than in Thailand (The price here is 300-400 THB per pairs). 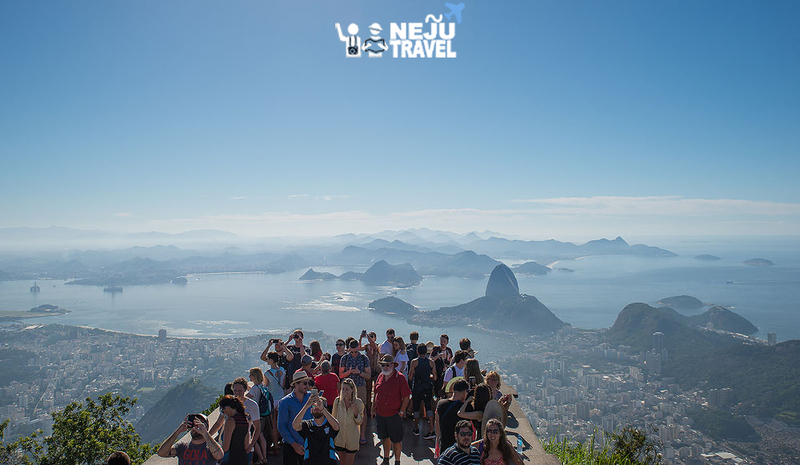 The second stop is at the top of Pao de Açúcar where is the viewpoint of the sunset. 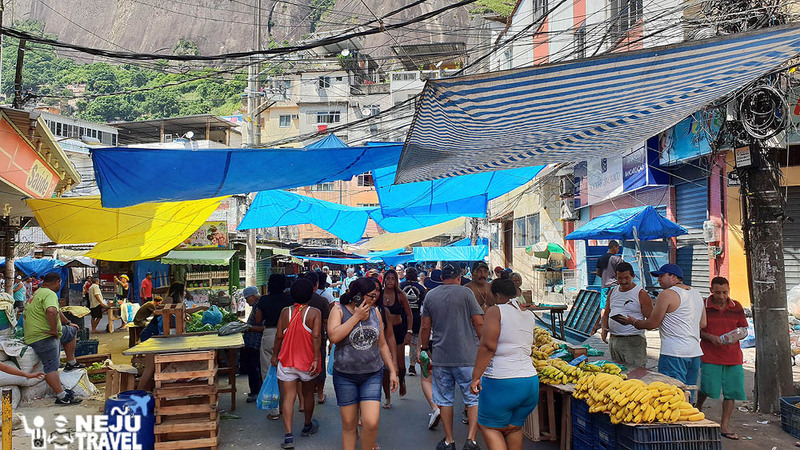 We start the new day with a little challenge that is Half Day Tour liked Favela Tour or slum tour at Rocinha where is the largest slum in Brazil. 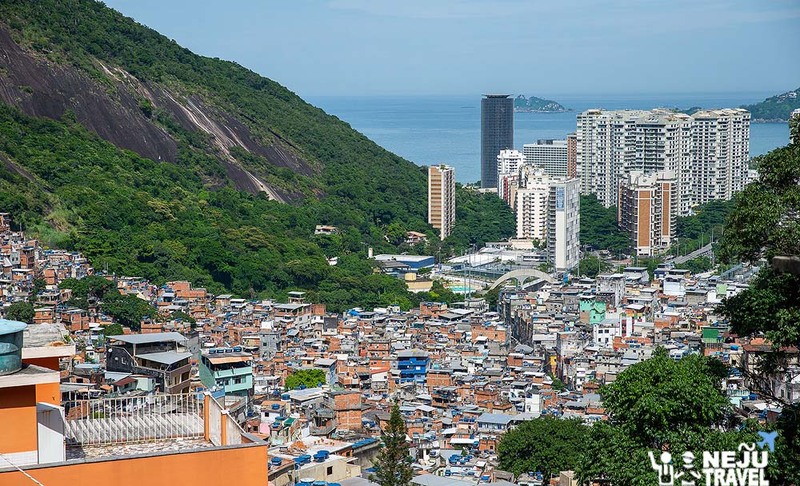 This slum has been developed in terms of health care and utilities. 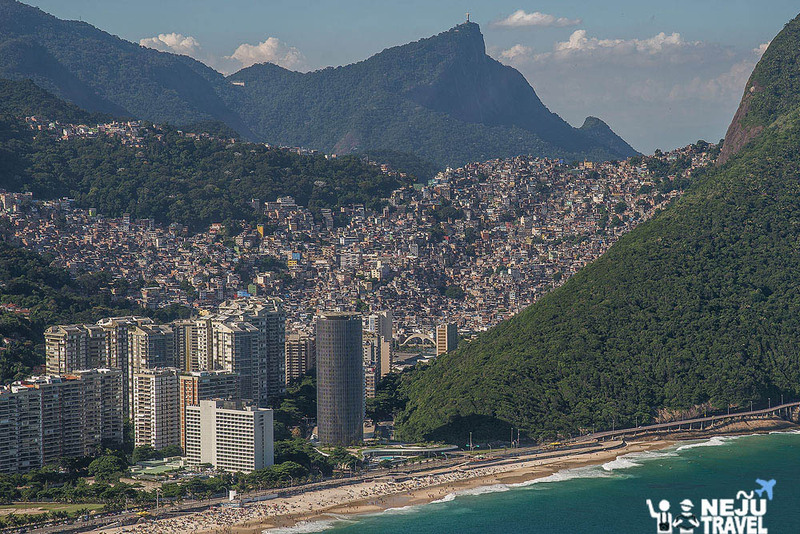 The number of people living here is about 300,000 people. 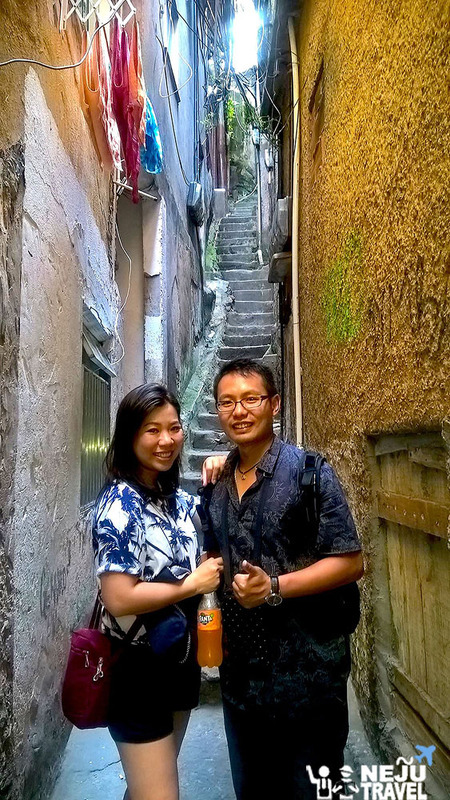 The best way to visit here is going with the people who live in slum in order to avoid the danger that may occur. 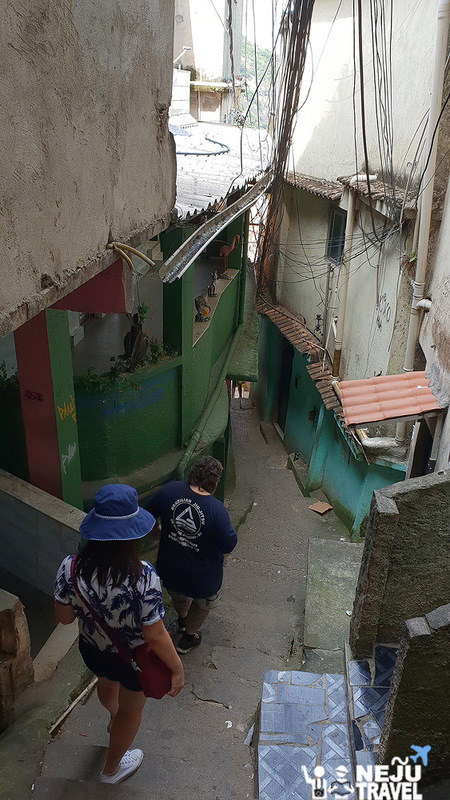 We met our tour guide at Sao Conrado station at 9.30 a.m. Then our tour guide took us to the top by taking the van and then walked down. The van is very chic because they will let the door open and there is someone collecting money at the door. 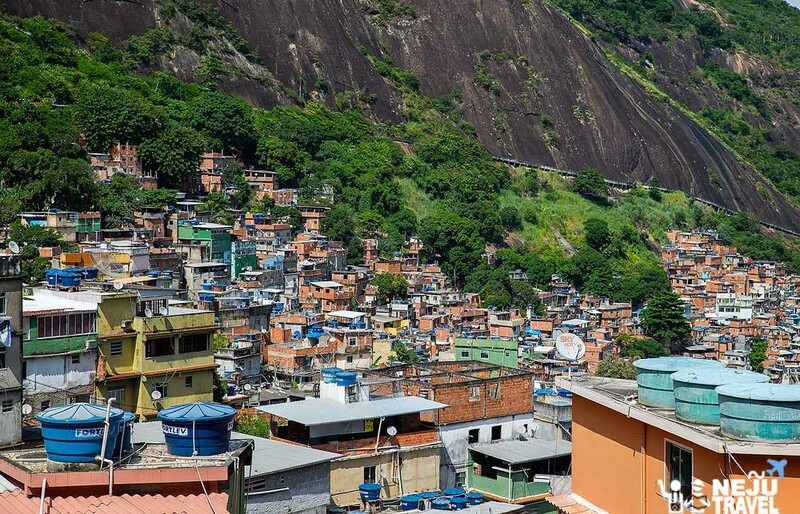 Rocinha residents live on the hill. The houses on the ground are much more expensive than the houses on the top because it is easy to reach the city and taking bus. 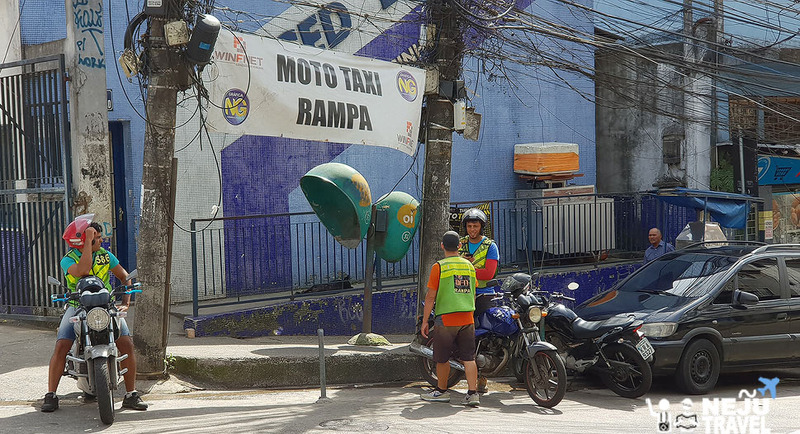 The people who live on the top go down by taking van or motor Taxi which is a motorcycle. 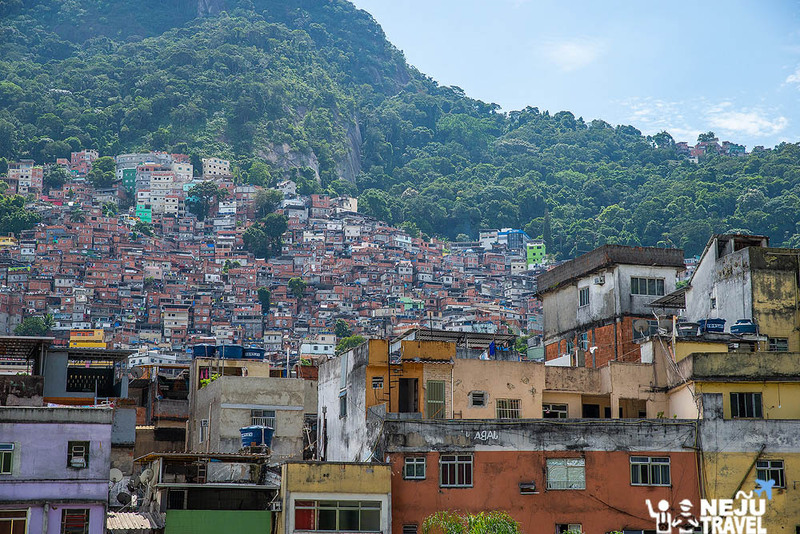 There are 3 free healthcare clinics and 6,500 stores within Rocinha. The stores is funded micro loan by non-profit organizations. 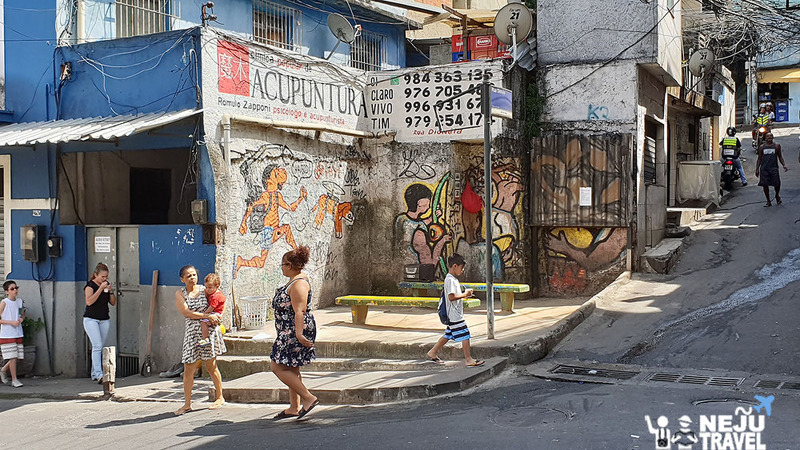 This slum is like a city in the city. 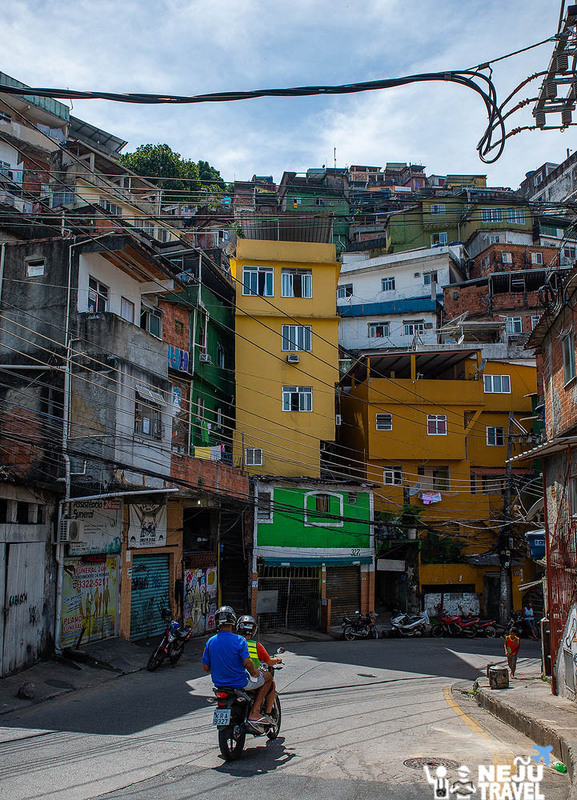 This slum is not as scary as many people thought. People in slum are very friendly. They always greet us. Our tour guide told that there are rules within the slum. If someone steals any stuff from others, his hand will be cut off. If anyone rapes others or commits another offense, he/she will be will be punished severely. These rules help to keep everyone stay safely. There are policemen along the way in slum. For the tourists, using mobile phone or big camera is safe. The problem of drugs is still inevitable problem. The main problem here is the garbage because there are a lot of people live here. 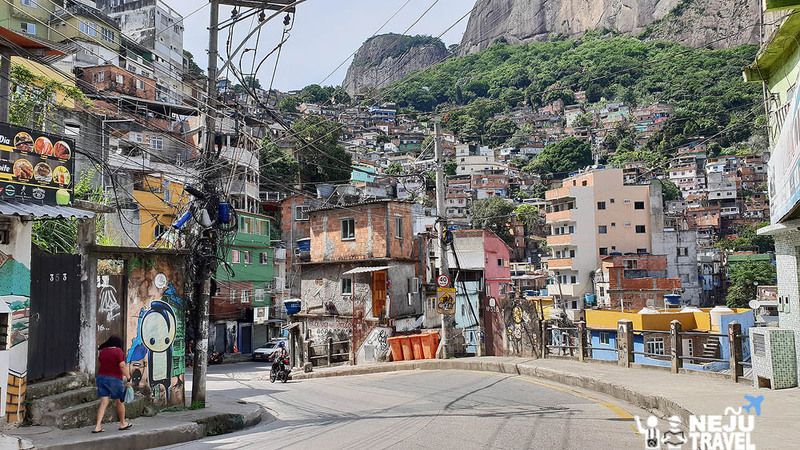 Rocinha residents are so proud of themselves. 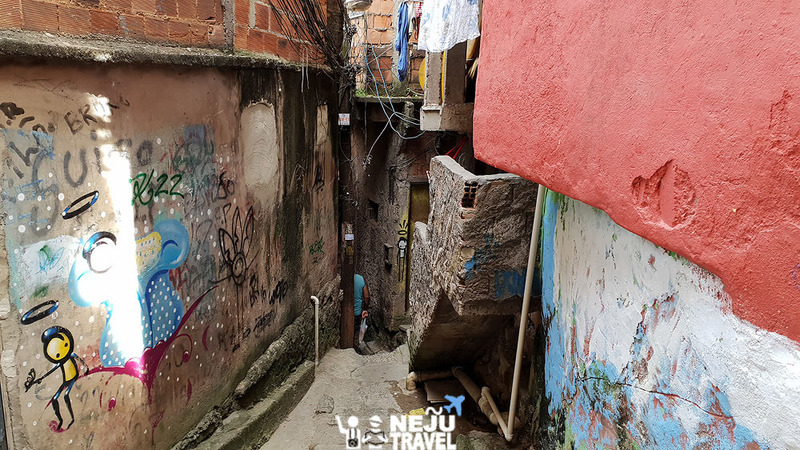 Our tour guide is half New York & half Rocinha, but he chose to live in Rocinha instead of enjoy civilization in the big city. 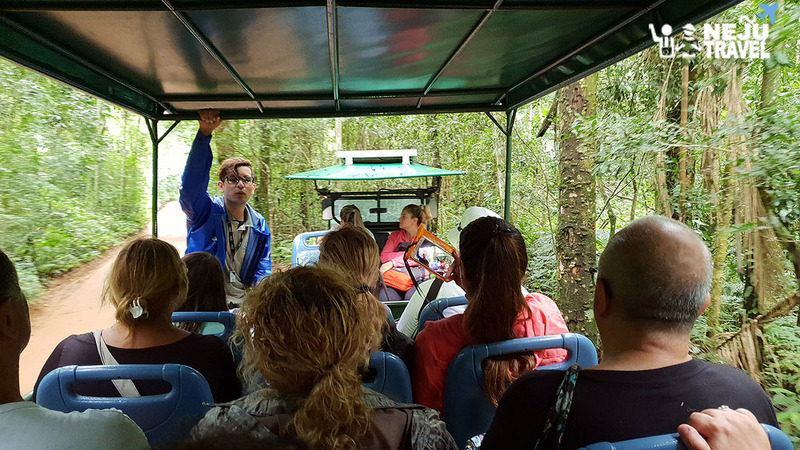 During the tour, please try to stay together with the group because the route here is quite complicated. You may get lost or someone may come to steal your stuff or to hurt you. This is a warning from our tour guide. Our tour has only 2 of us. 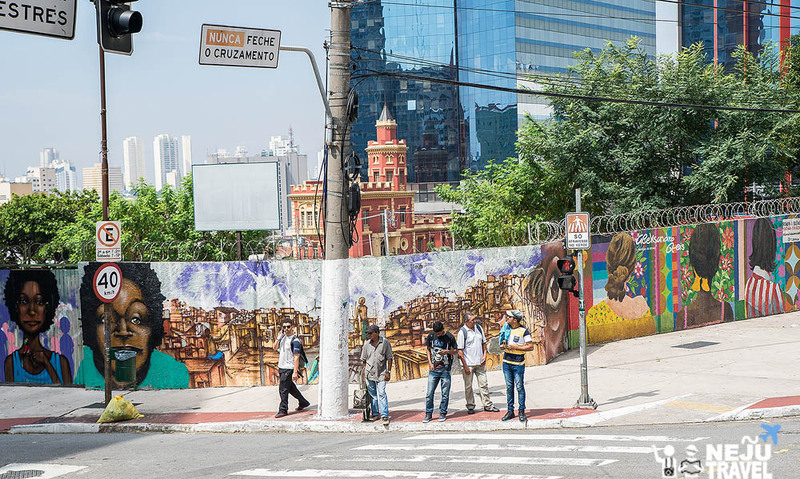 This 3-hour tour totally change our view of the slum community. We found the truth that even people cannot choose where to be born, but they always want to make their life as good as possible. They do not want to take drugs. They do not want to steal. But the necessity of each one is not the same. So, we should not judge anyone from their body or their dress. Let’s try to join this tour, you will understand them more definitely. 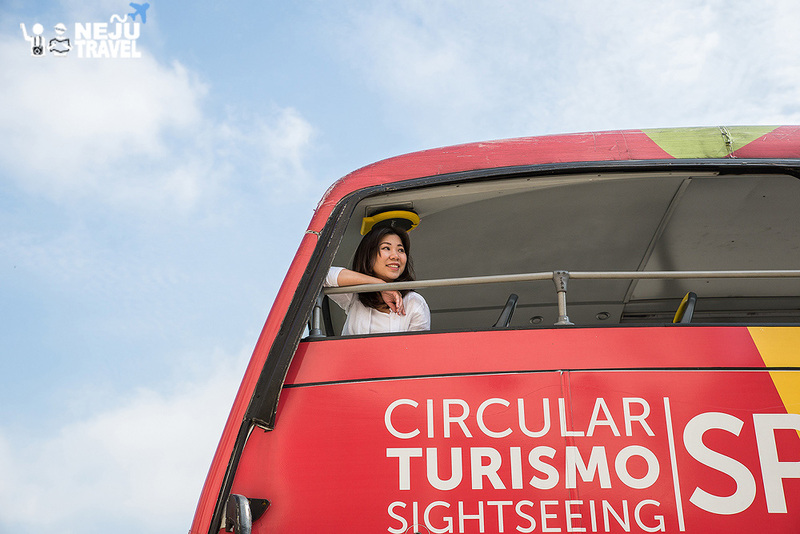 The price of our tour guide is only 70 BRL. 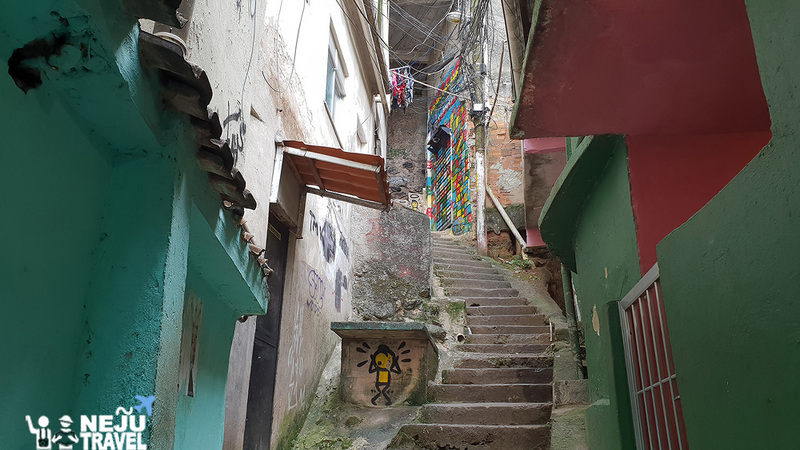 If you are interested in this tour, please visit the Favela Tour or send e-mail to visitrocinha@gmail.com. 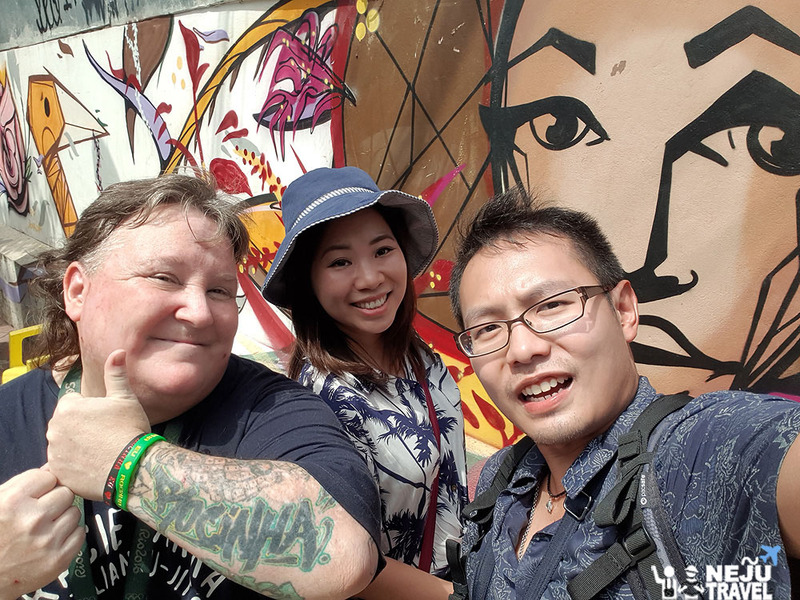 Before we go back, we do not forget to take selfie with our tour guide – Zezinho. Thank you so much for this precious experience. We will return here again in the near future. Let’s change the mood to see the beauty. 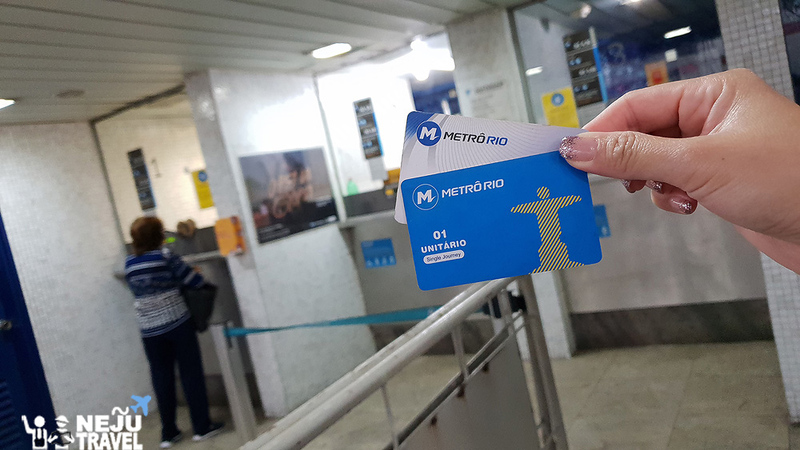 We take MRT to Cinelandia station to visit the stairs of the city which is a large public art in Rio de Janeiro. This place is filled with colorful mosaics. 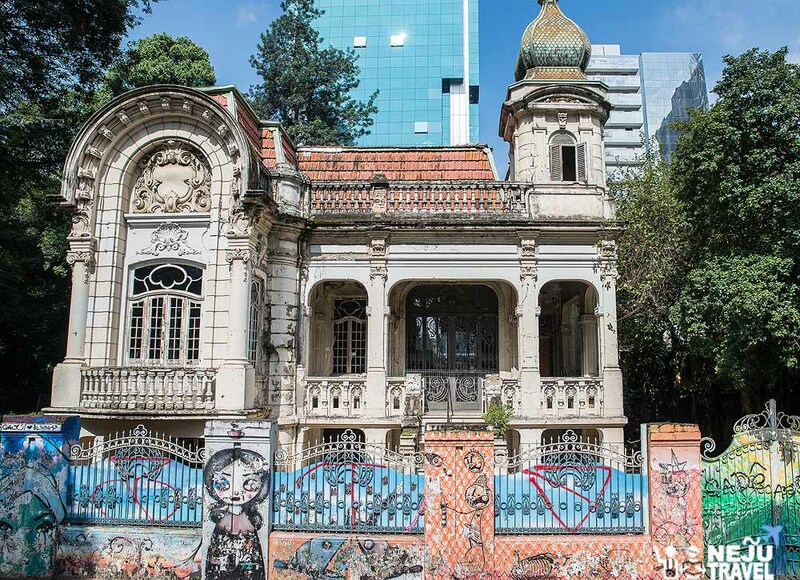 Although Rio de Janeiro is full of public art, but no artwork is famous and can be used as Selarón (Escadaria Selarón). 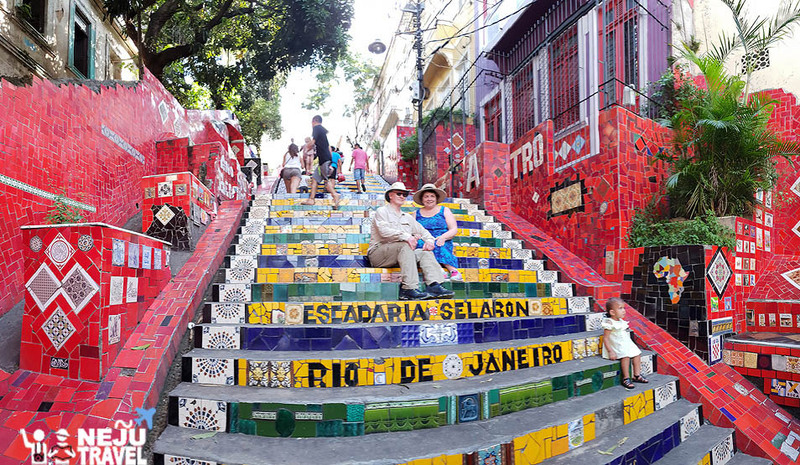 In 1990s a local artist named Jorge Selarón transformed the public utility in the town to be colorful steps by decorated them with colorful mosaics. 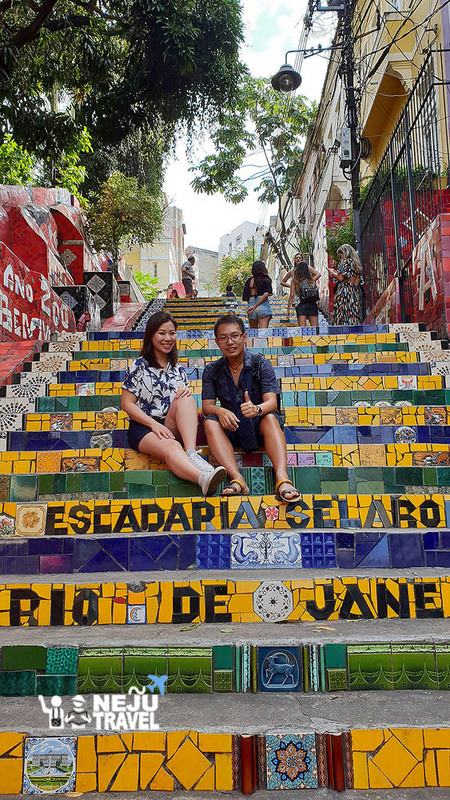 When we walk along the steps, we can see the beauty of various tiles from all over the world. 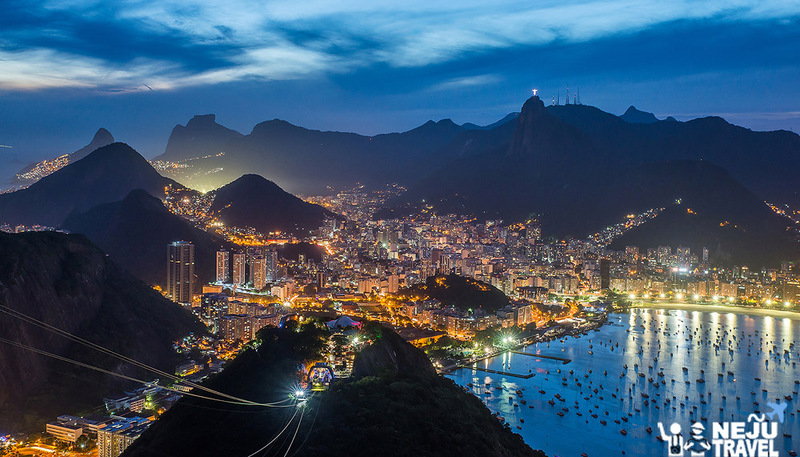 Selarón was born in Chile and moved to Rio de Janeiro in 1983 after traveling all his entire life. 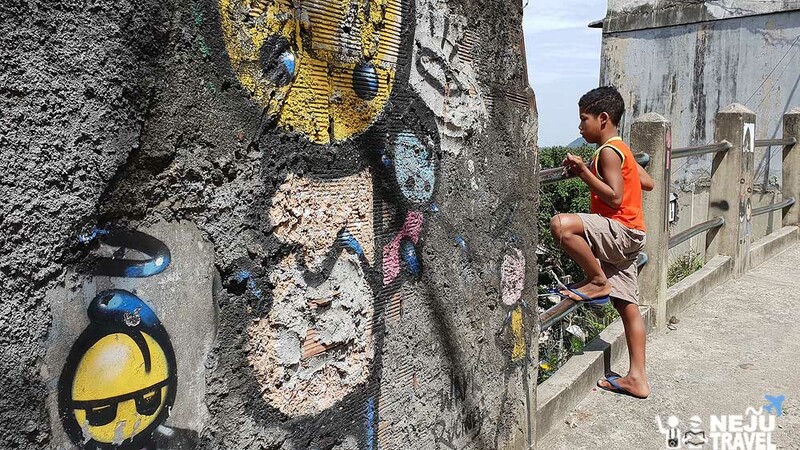 In 1990, he decided to decorate the stairs near his house with ceramic tiles that are not used. 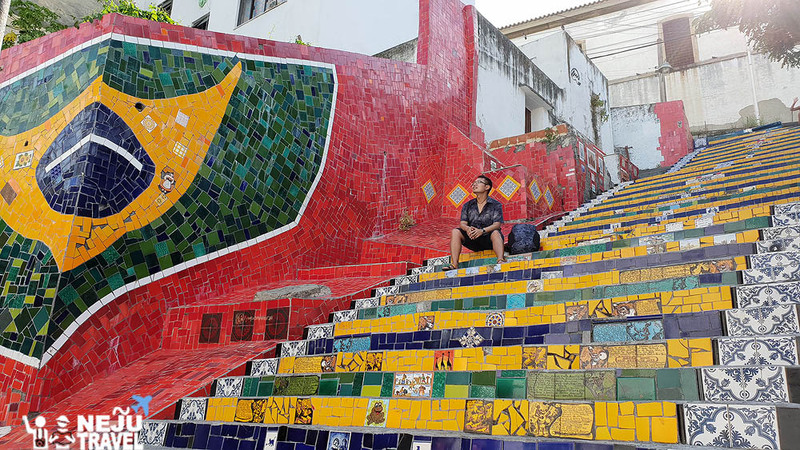 He transformed the 250 steps into a large mosaic. 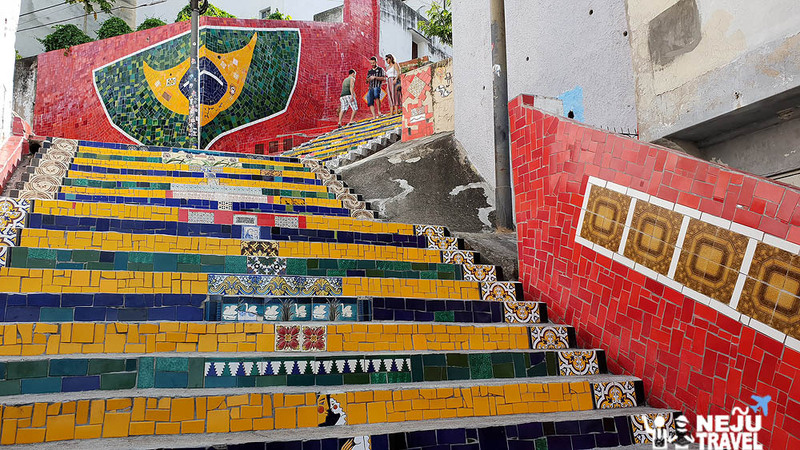 You will see a unique mosaic art in front of each step. Most of them are yellow and blue tiles. 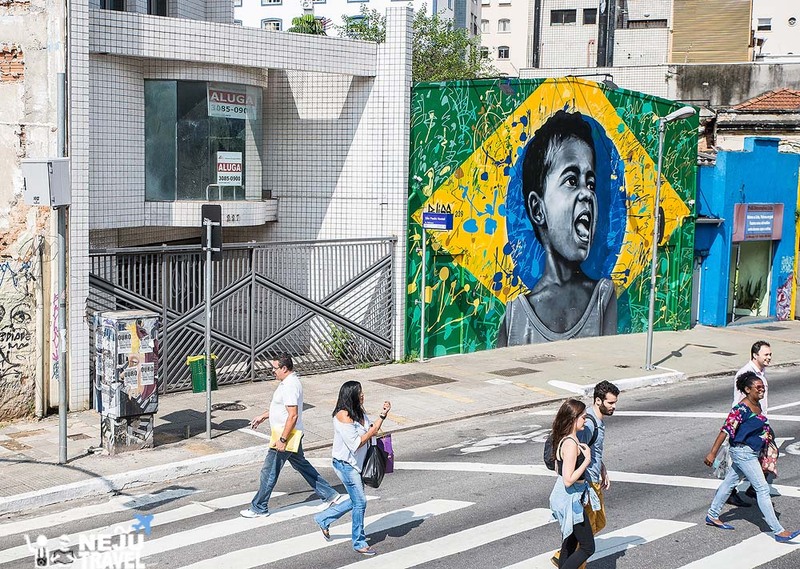 Walk up to the top, then you will find Brazil flag mosaic. This staircase is decorated with the tiles of visitors from around the world including Princess Diana of Wales and the President Barack Obama. 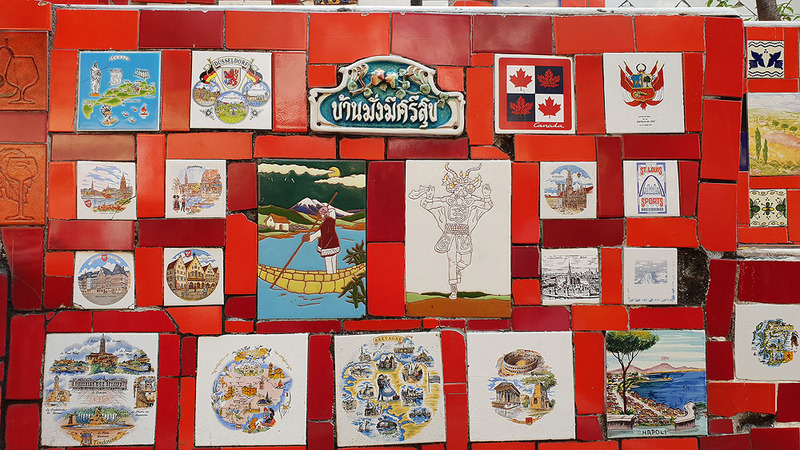 There are over 2,000 tiles from over 60 countries. 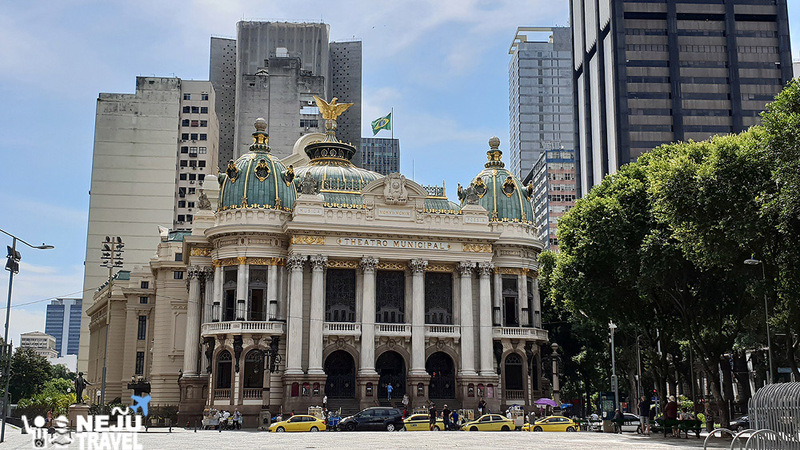 Not far away from the staircase, we can see the beauty of the opera Theatro Municipal. This ancient French-style opera house was built in 1905. The decoration inside is the works of Italian artists. 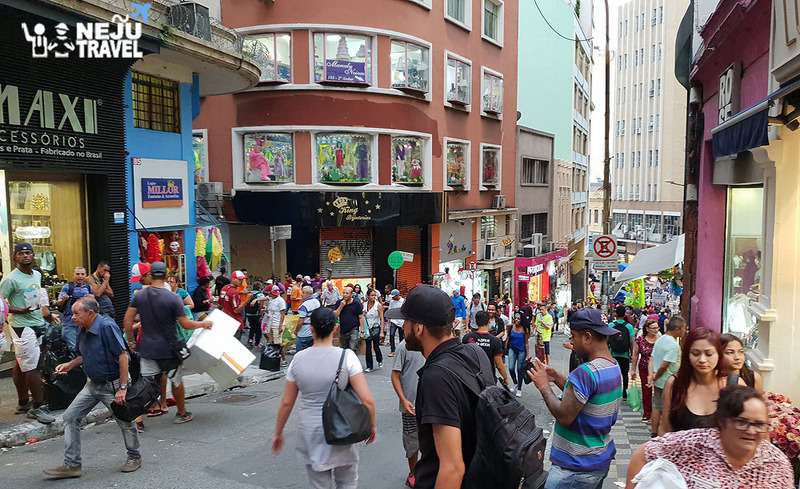 Next, we go to Lapa district where is one of the places that we can experience Brazilian musical diversity. 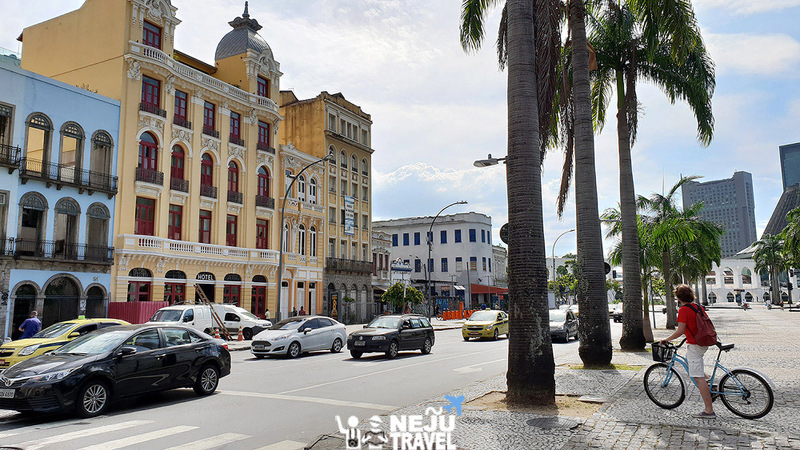 Lapa is one of the oldest districts in the city. 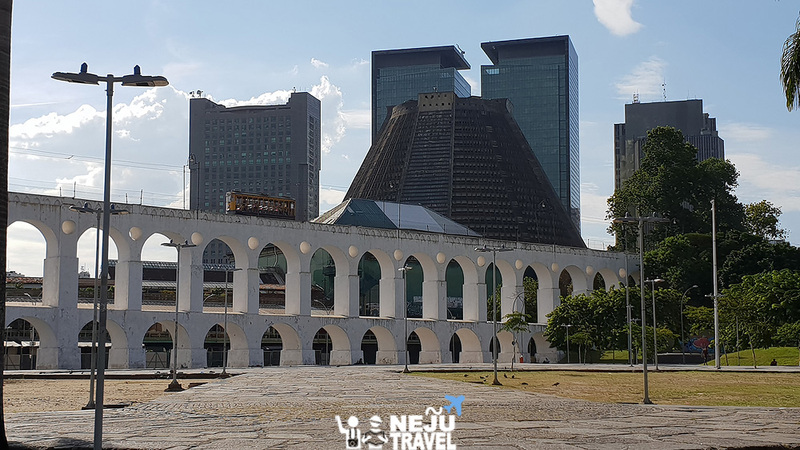 Visitors can visit the architectural landmarks such as Arcos da Lapa – a 270-meter-long Roman-style waterfront bridge built in Brazil’s colonial era and the Metropolitan Cathedral which is the 75-meter-tall tower that mimics the pyramid of Maya. 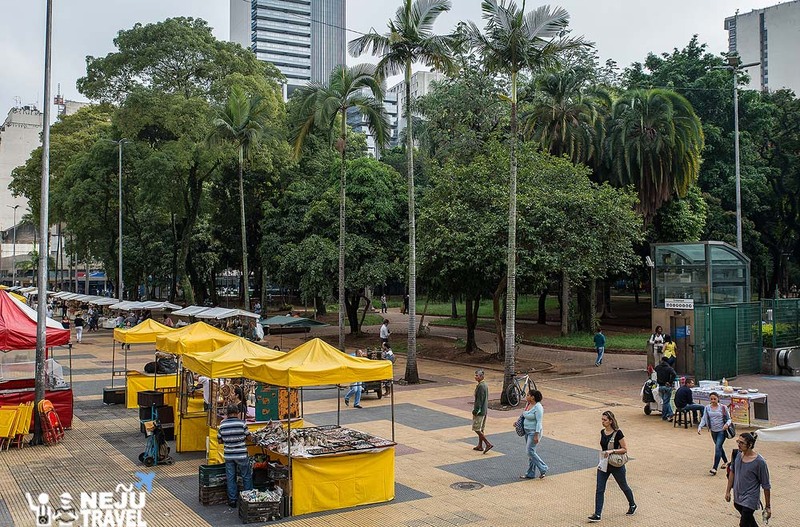 In the nearby area, there is Passeio Publico that is the oldest park in Rio de Janeiro. It was built in 1783. 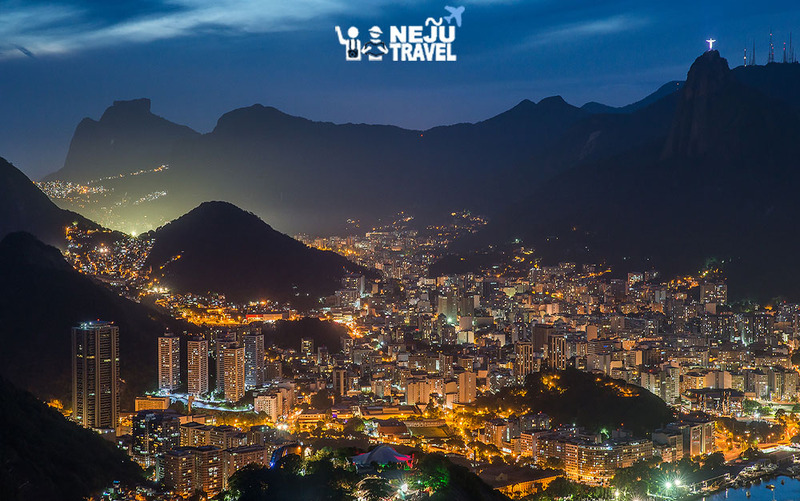 Lapa is recognized as the nightlife of Rio de Janeiro. We can meet a lot of music lovers and dancers here every night. 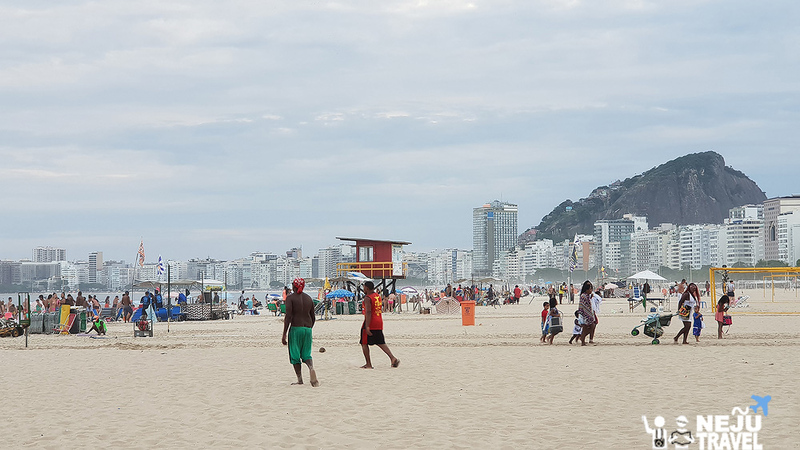 Before heading to the hotel, we stop by at the most famous beach in the south of Rio de Janeiro. 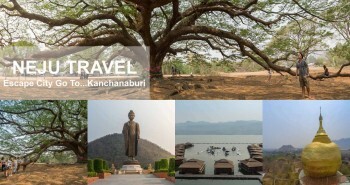 This place is where local people and tourists from around the world come to relax. 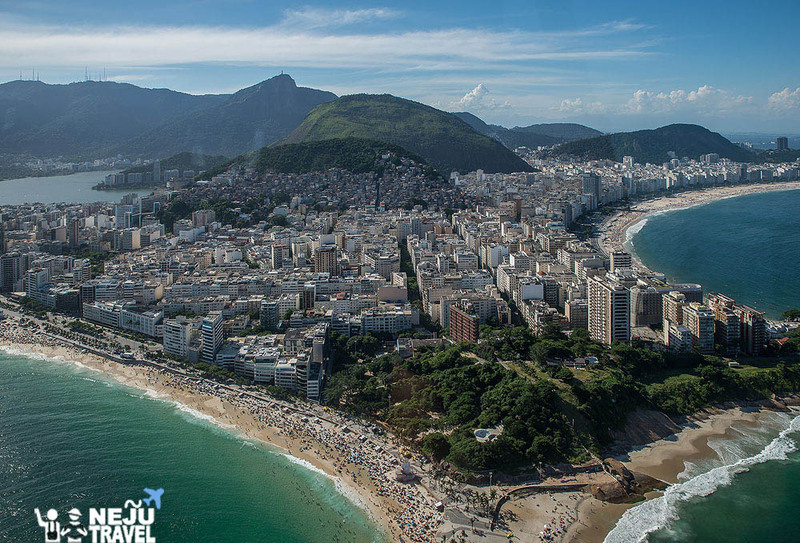 It is Copacabana Beach where is one of the most popular beaches in the world. It was titled as the princess of the sea. 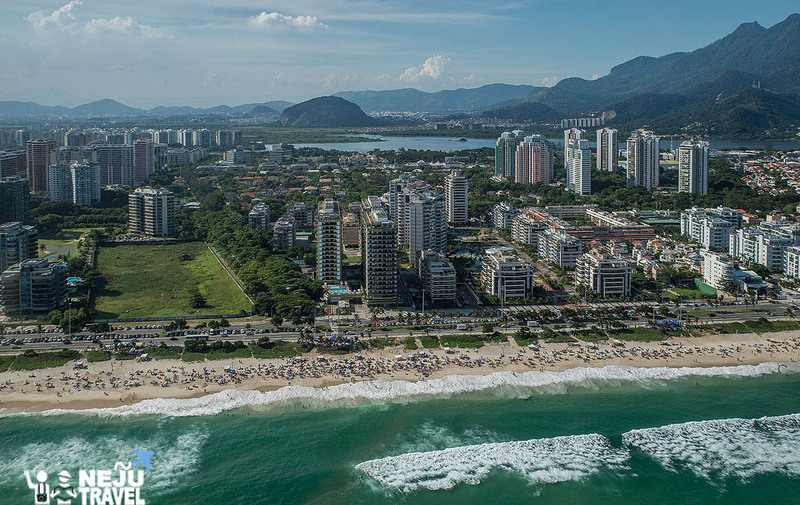 The beach is about 4 kilometers long. It is crowded almost all the time. 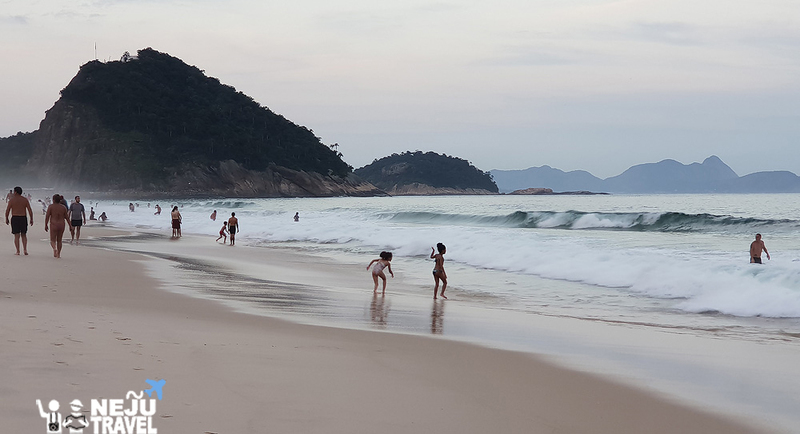 Visitors come to do activities such as swimming, kicking the beach ball, running, cycling along the beach, sleep on the beach chair, and picnic. 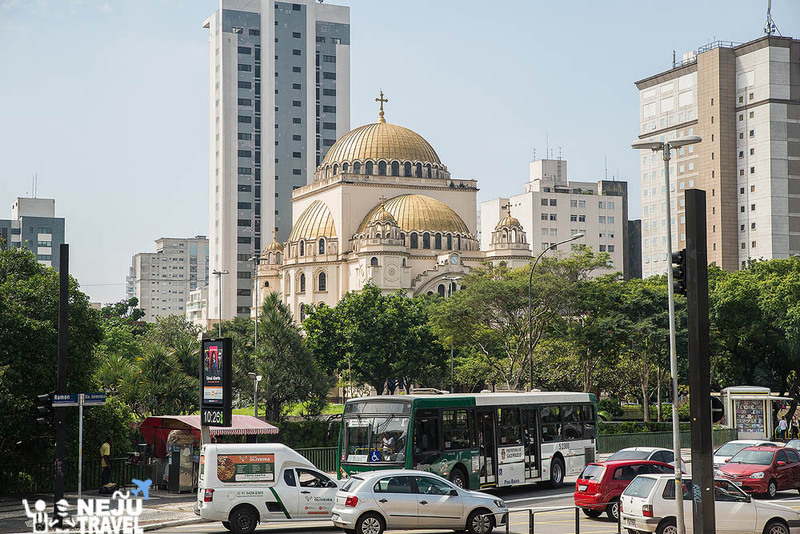 We look for the accommodation in Sao Paulo from the list in Traveloka website. 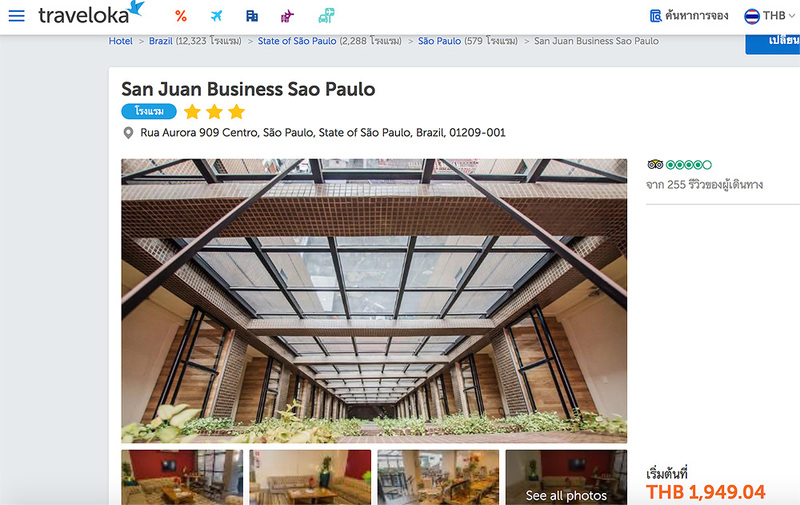 Finally, we chose to reserve San Juan Business Sao Paulo which located near MRT Republic Station. 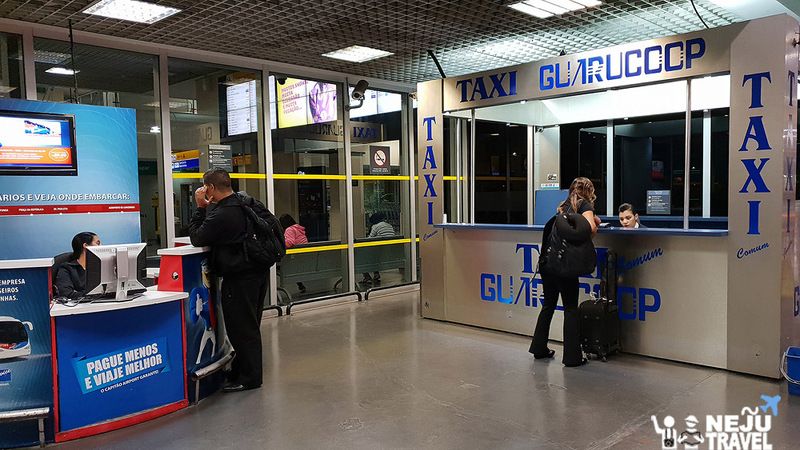 Taking taxi from the airport will take about 40 minutes. There are many shops around the hotel. The atmosphere was not terrible. 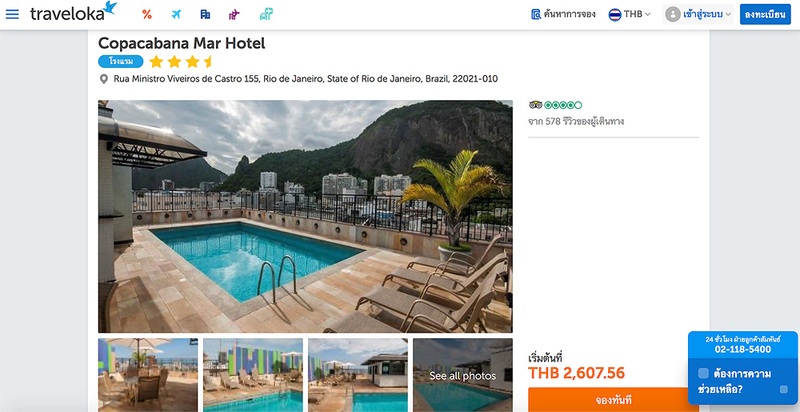 The price was 1,9xx THB per room per night, which was 3 times cheaper than walk in and reserve. We can see the city view from the hotel. The room is equipped with TV, refrigerator, safe box, and hairdryer. But there is no drinking water served in the room. We have to buy from outside shop. The bathroom is a sizeable. There is rain shower. The bed is comfortable queen size bed and very soft. อาหารเช้าที่โรงแรม เป็นแบบบุฟเฟ่ต์ แม้ตัวเลือกจะไม่เยอะ แต่รสชาติของอาหารดีทีเดียว ขนมปังเนื้อนุ่ม เอามาอบอีกเล็กน้อย กรุบกรอบน่าทาน ทานคู่กับแฮมและชีสก็อร่อยแล้ว นอกจากนี้ยังมี Cold Cut ต่างๆ คอนเฟลก ขนมหวานมากมาย ที่อร่อยสุดๆ คือ โดนัท ส่วนเครื่องดื่มก็มีให้เลือกมากมายทั้งน้ำส้มสดๆ มะนาวผสมมิ้นต์ มะละกอ แตงโม รวมถึงกาแฟ และชากลิ่นต่างๆ ห้องอาหารเช้าอยู่ที่ชั้น 1 เปิดให้บริการเวลา 6:00 – 10:00 น. 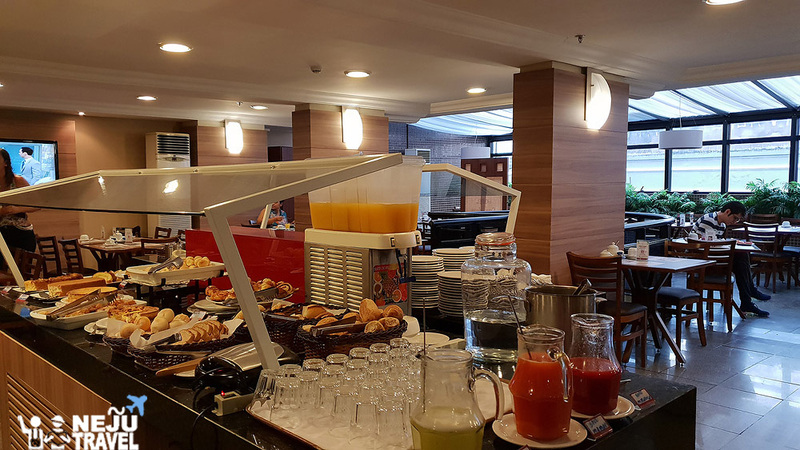 Breakfast at the hotel is served in buffet style. Even the options are not too much, but the taste of food is quite good. If we bake bread a bit more, it will be crunchy and very delicious. Let’s try to eat with ham and cheese. Moreover, there are cold cut, cornflake, and various sweets. My favorite one is donut. 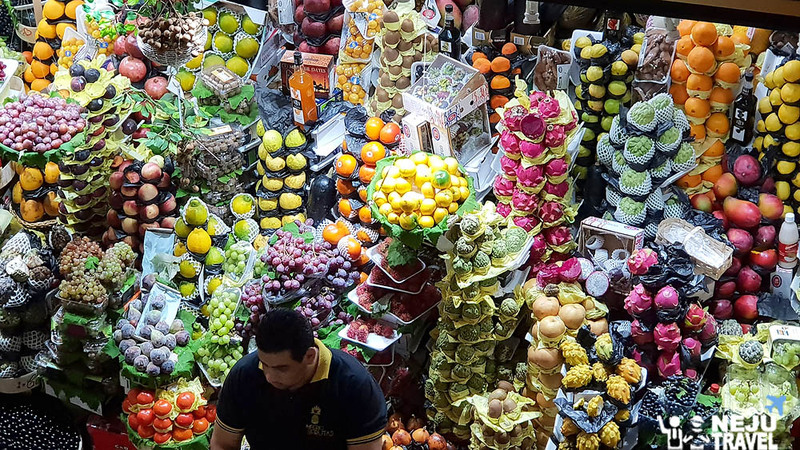 There are a lot of drinks such as fresh orange juice, lemon mint, papaya juice, coffee, and tea. 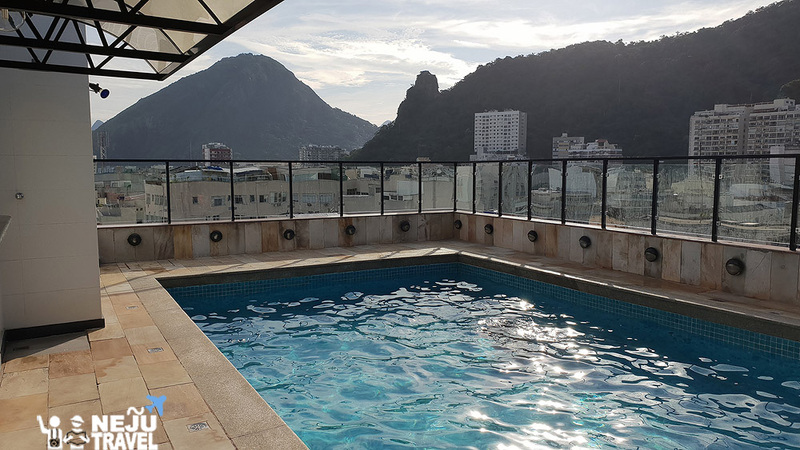 The restaurant is located on the 1st floor and open from 6-10 a.m.
We look for the accommodation in Rio de Janeiro from Traveloka website as well. 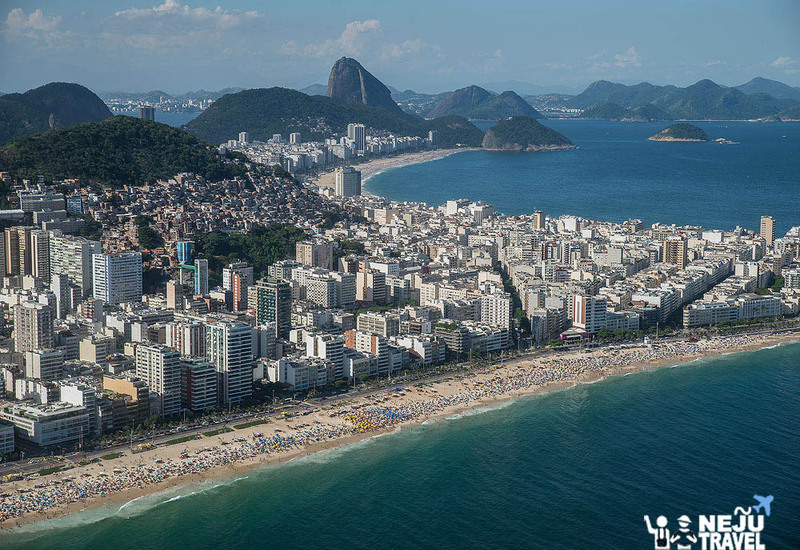 We chose to stay at Copacabana Mar Hotel that is in the heart of the tourist spot. A lot of tourists walk pass the hotel all night. It is not so scary. There are many restaurants and shops around the hotel. Exterior hotel looks a bit old, but interior is good. There are queen-size bed, TV, refrigerator, and hair dryer. In the bathroom, there is rain shower. There is also a swimming pool upstairs. The price is 2,6xx THB include breakfast (for 2 persons). 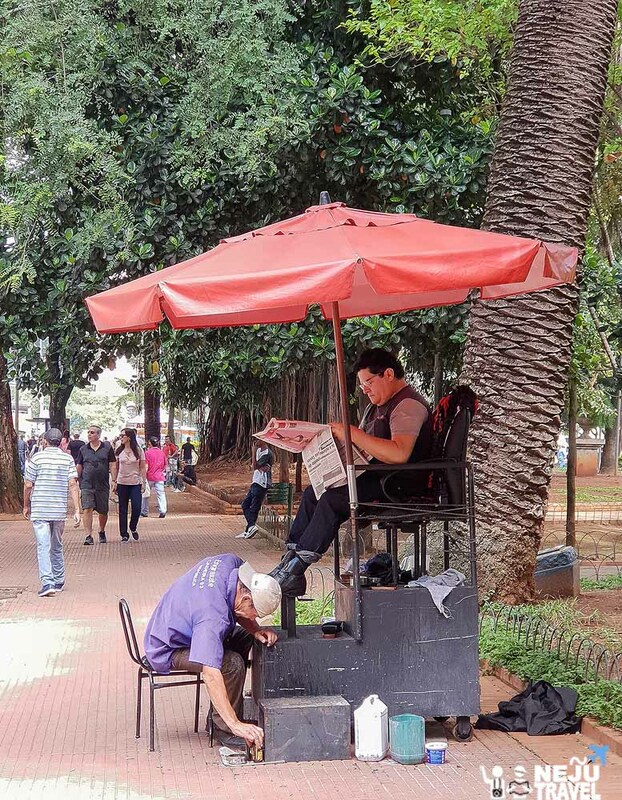 Brazil…many people have bad image about this country. But if you try to visit by yourself, you will fall in love unconsciously. 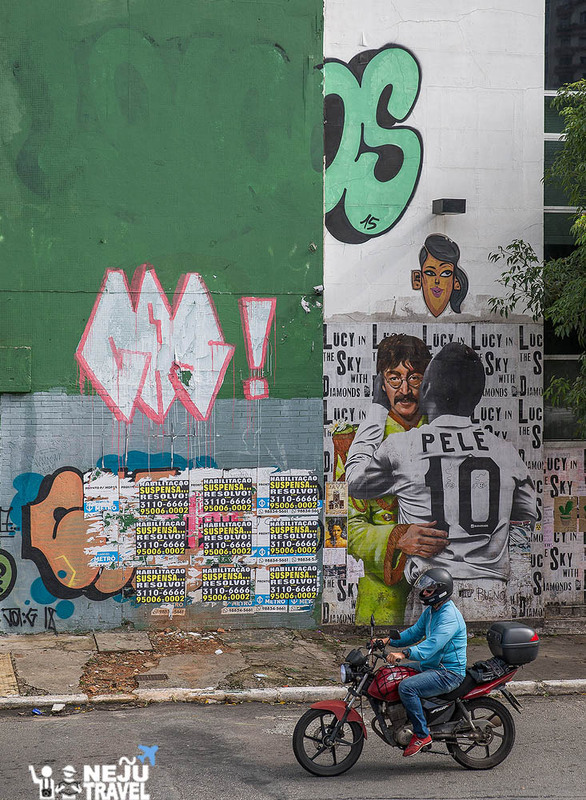 The people in Brazil are very friendly. You will get all change when you pay for taxis or for food at the restaurants without asking for additional tips. The cost of living is reasonable and not so expensive. 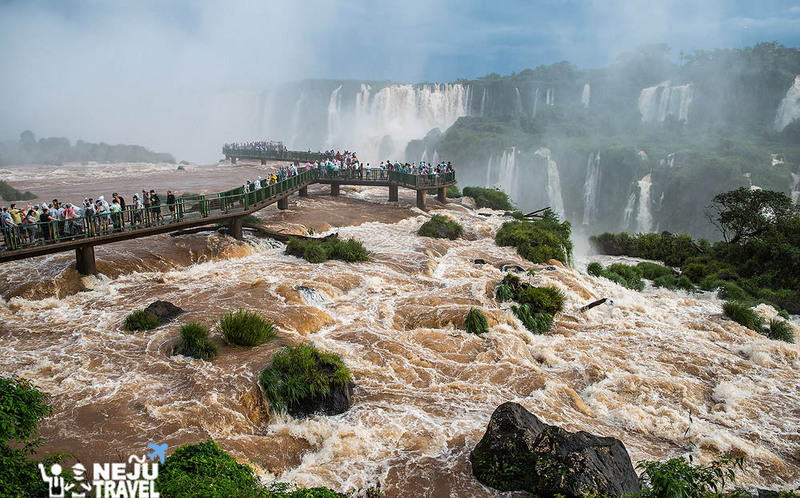 There are a lot of beautiful attractions that many tourists want to visit. 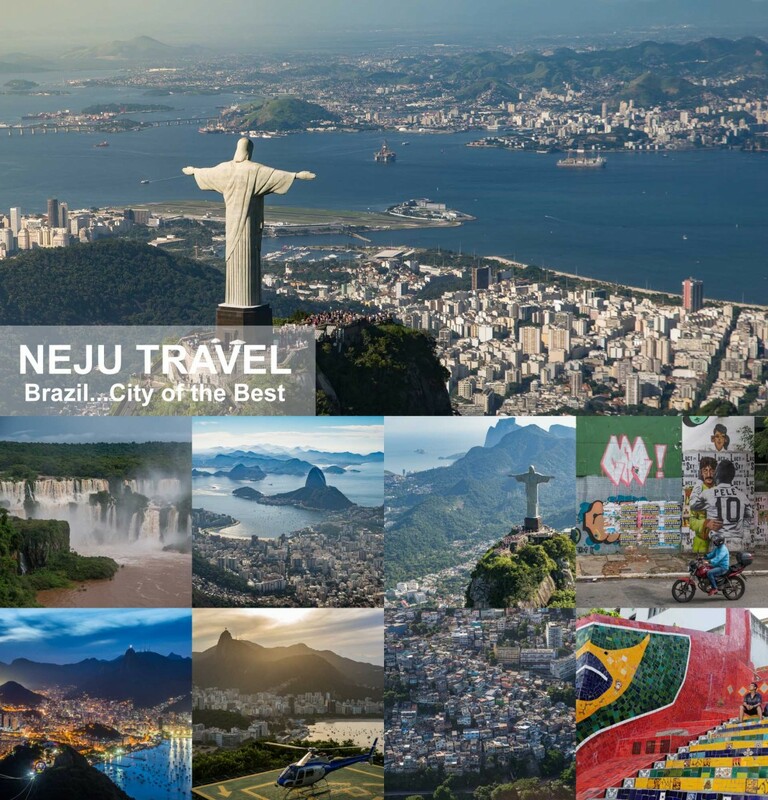 Brazil is one of the countries I wish to visit again…“Brazil – City of The Best”. 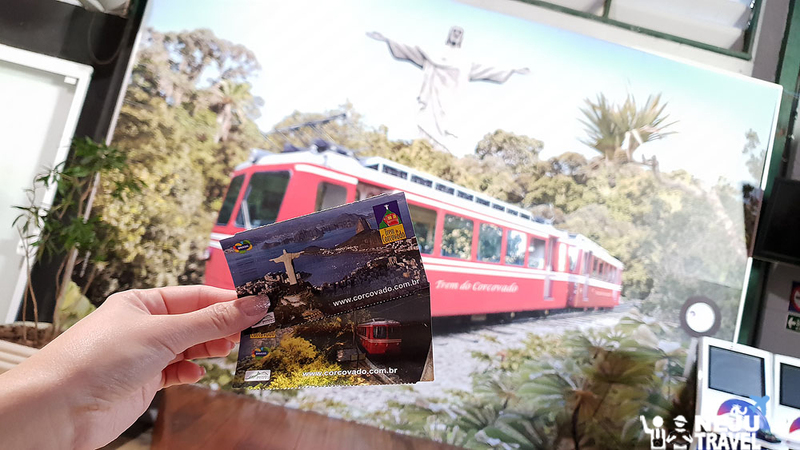 Beyond enjoy the beauty of landmarks in Brazil, we will take you to discover the mystery of Inca in Peru in the next chapter. You will find out that why many people really want to visit Machu Picchu. Is it beautiful as we saw in the pictures? Let’s meet up again in the next chapter. 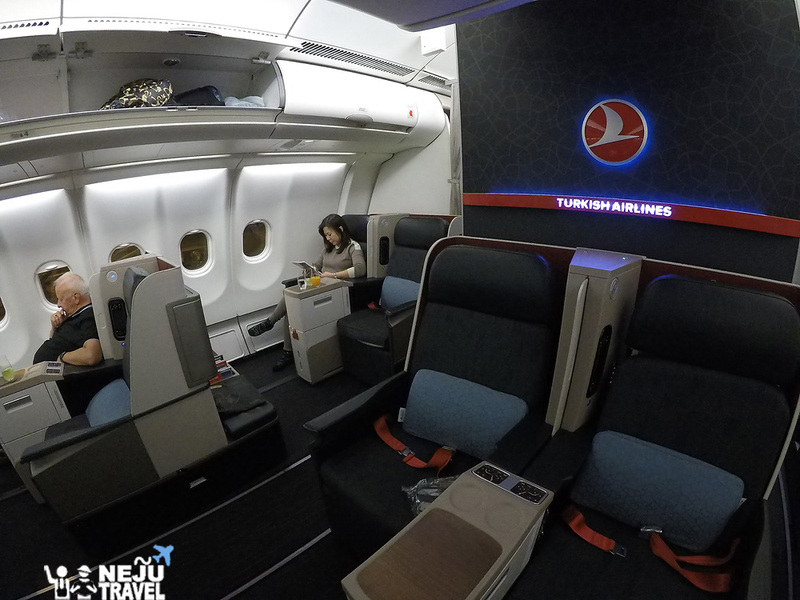 Special Thanks to Turkish Airlines for business class tickets that made us complete our trip in 3 countries in South America and 1 country in Europe. 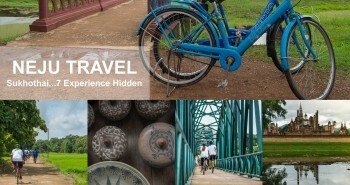 Special Thanks to Traveloka – the leading hotel booking website. You can find affordable accommodation in many countries around the world. 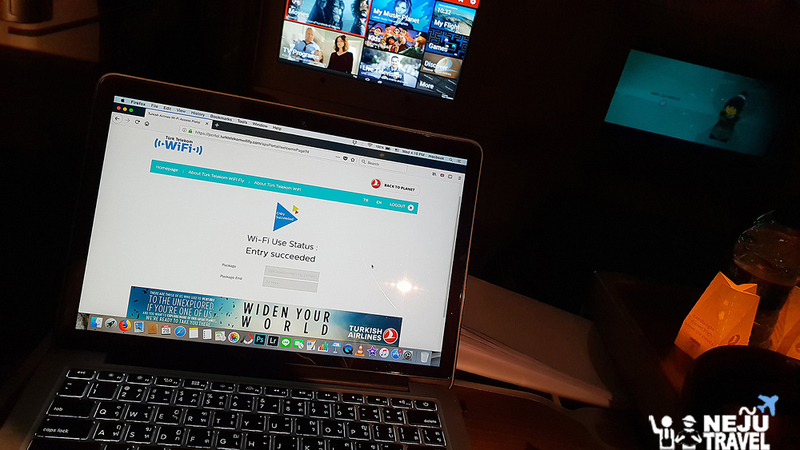 Special Thanks to Smile Wifi for the great signal throughout the trip. Special Thanks to Anello for the affordable waterproof lightweight backpack. 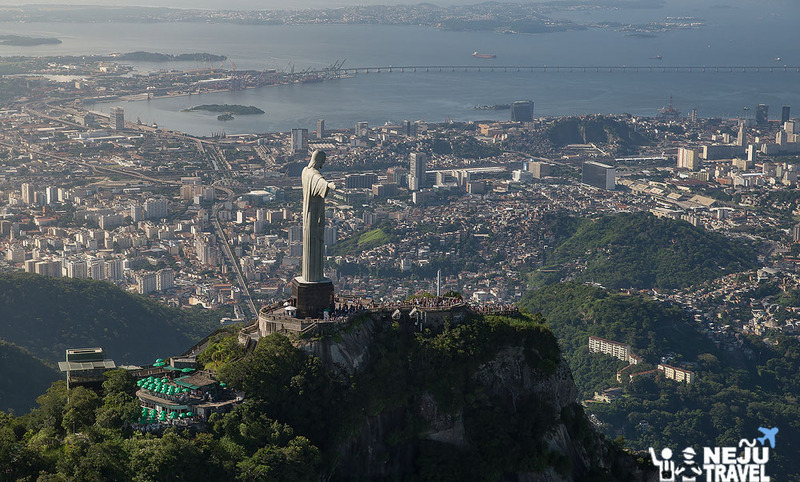 And thanks to Brazil – the city that has fascinating charm that makes us dream to come again and again.